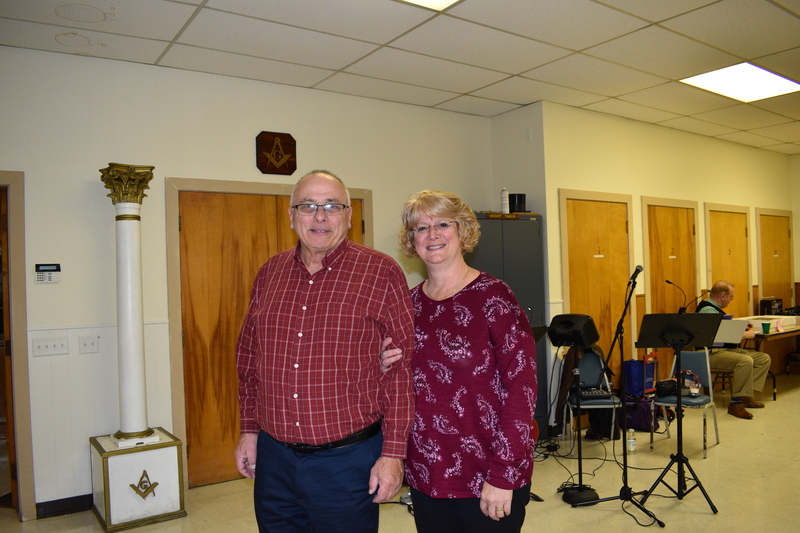 Past Events – MANCHESTER LODGE A.F. 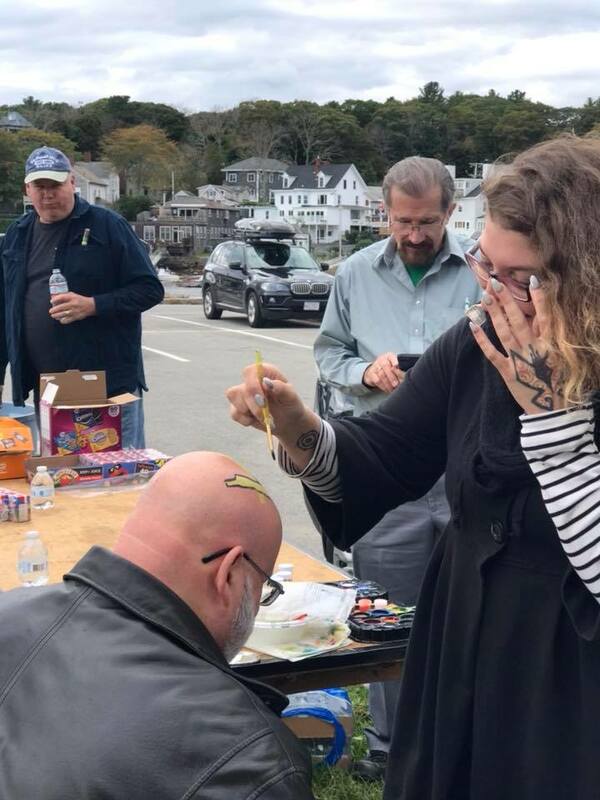 & A.M. 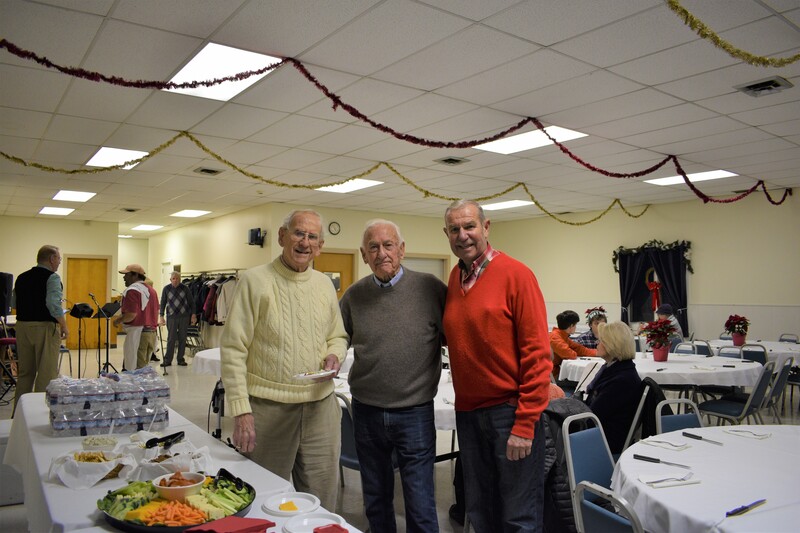 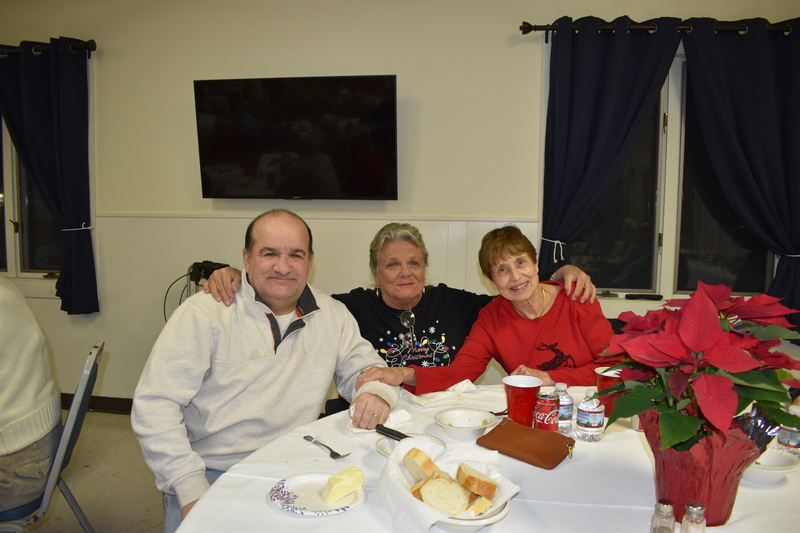 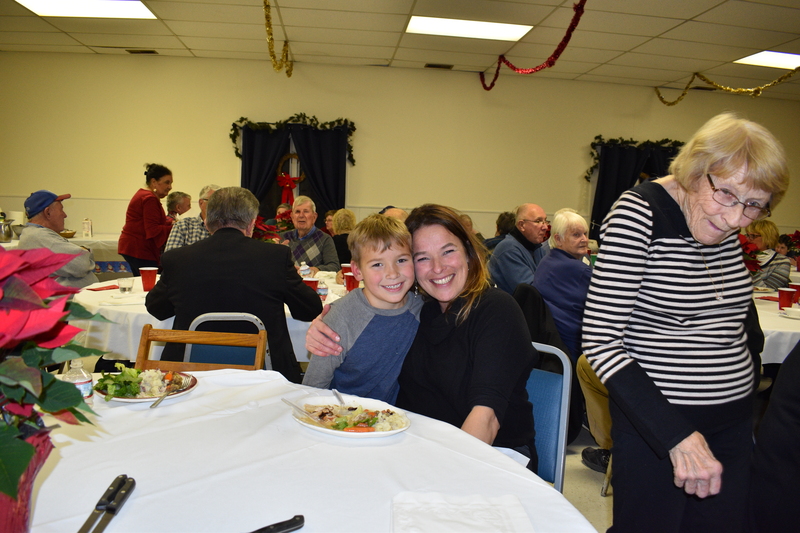 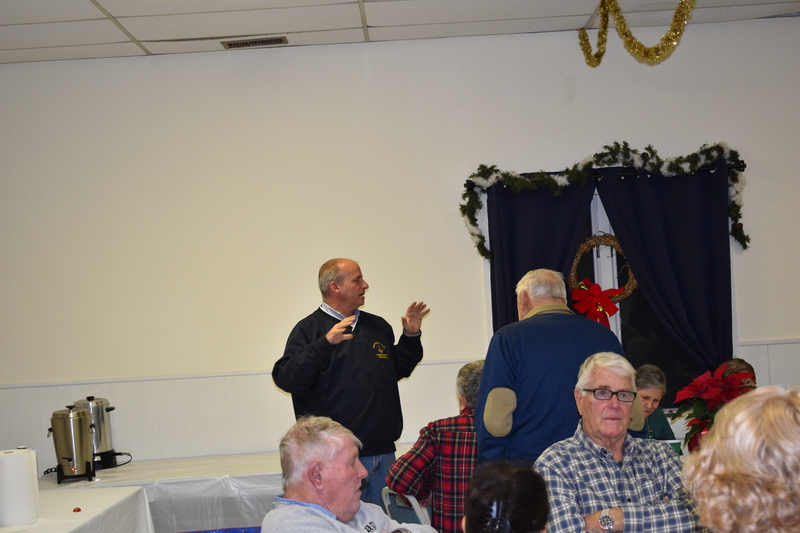 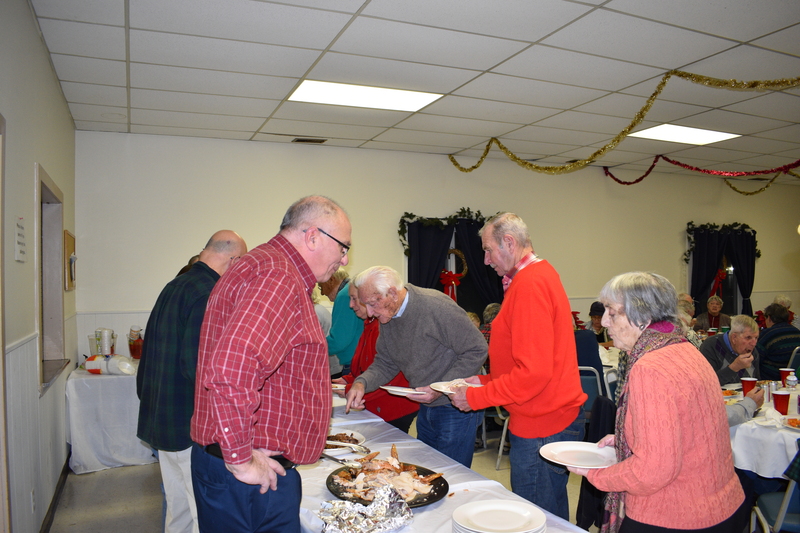 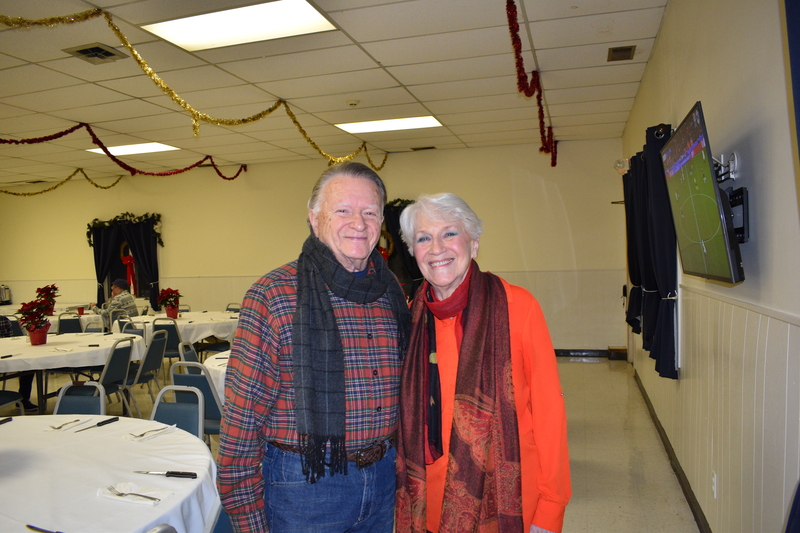 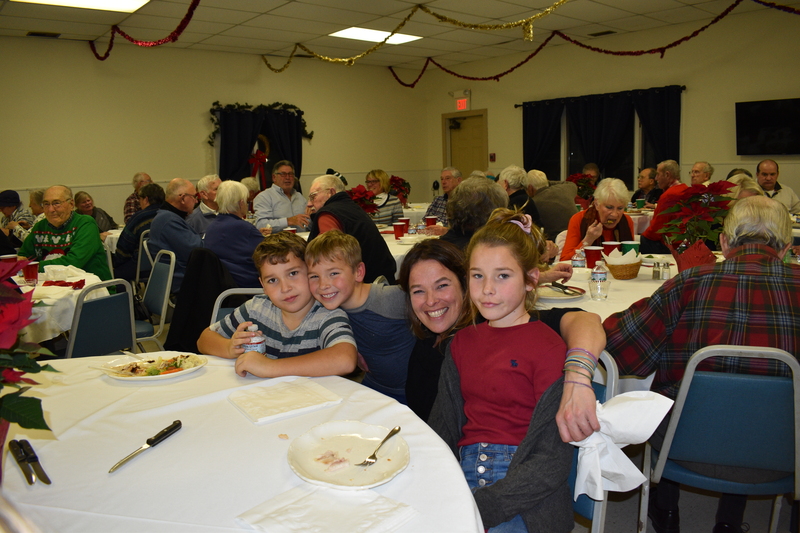 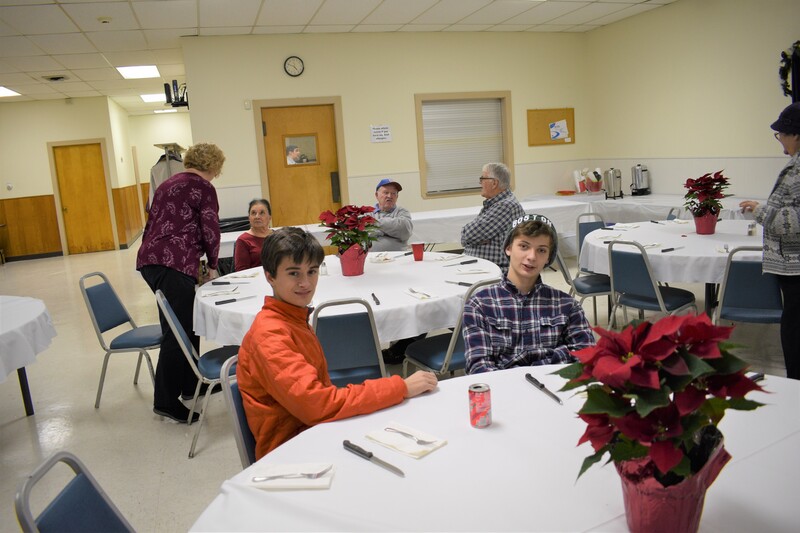 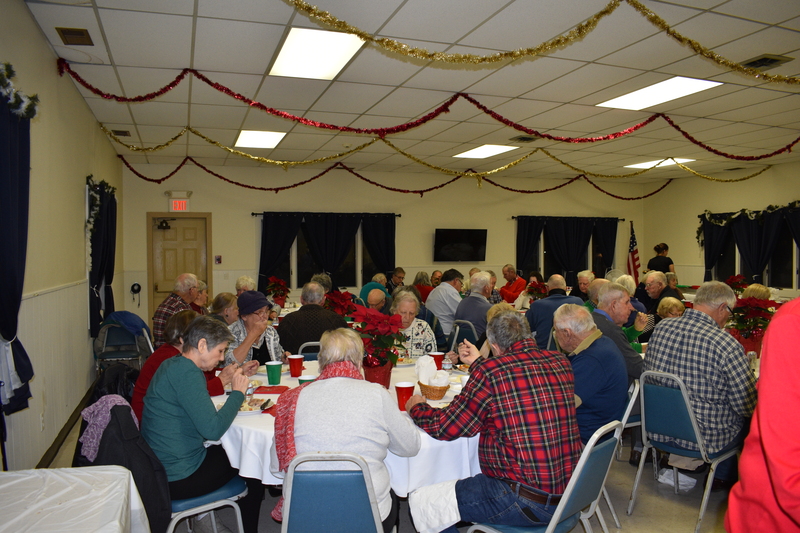 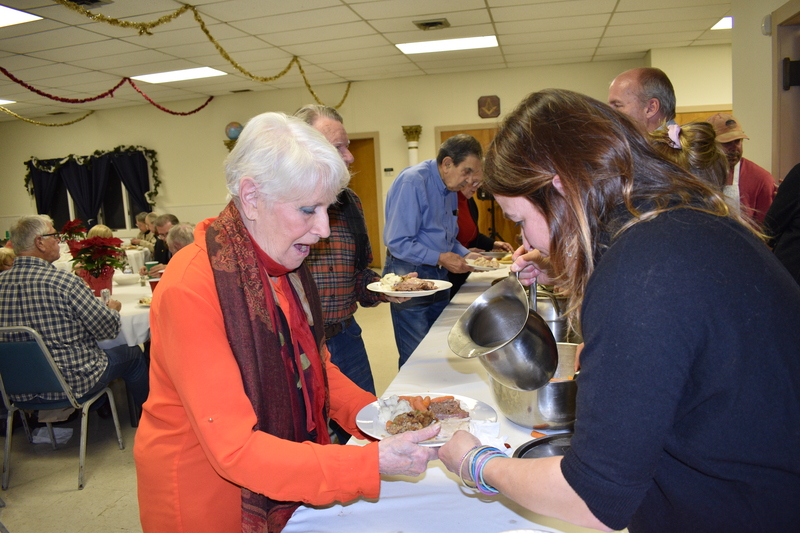 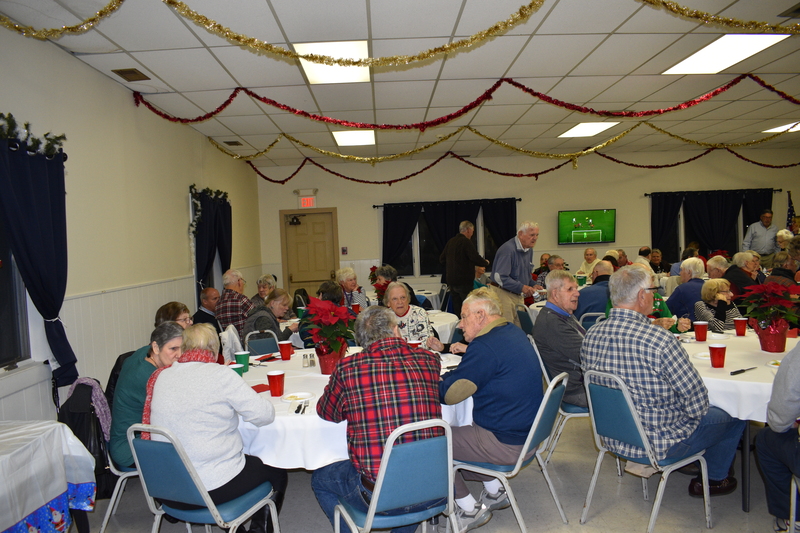 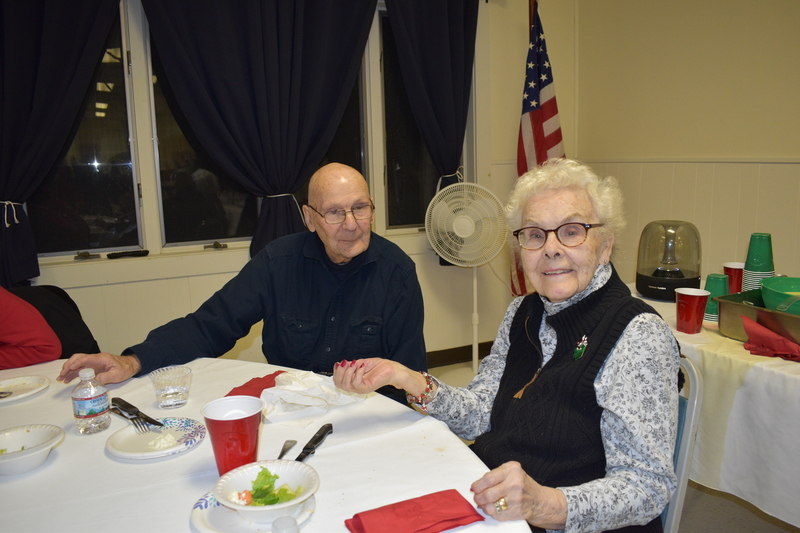 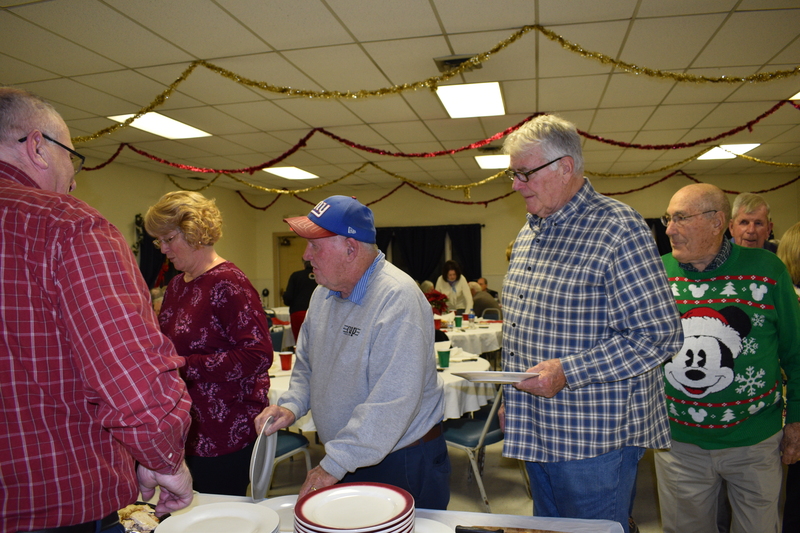 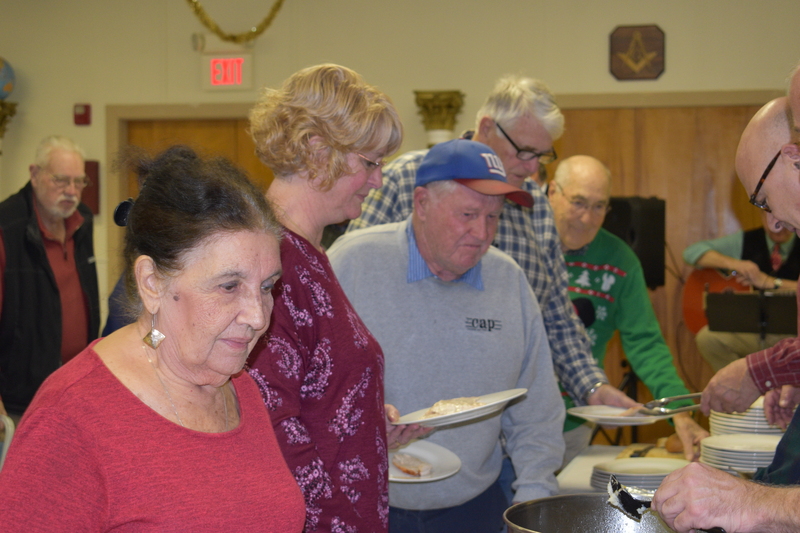 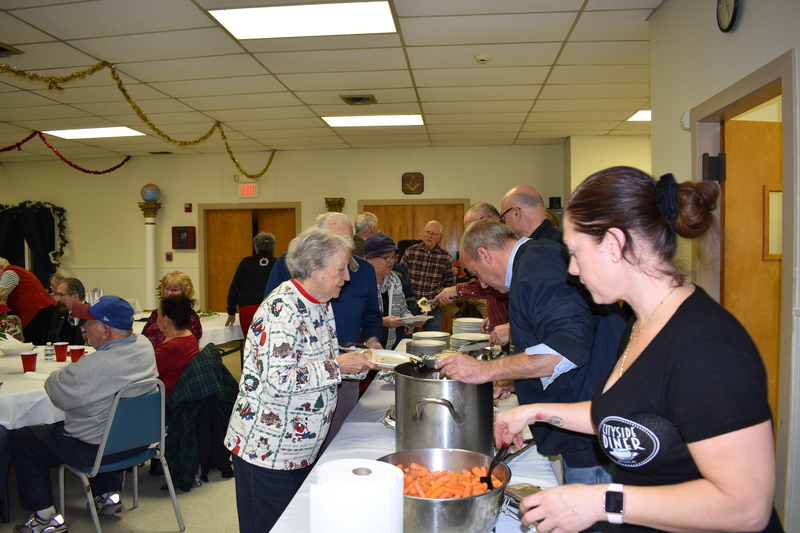 The Manchester Lodge hosted its annual Community Christmas Dinner on Wednesday, December 12th. 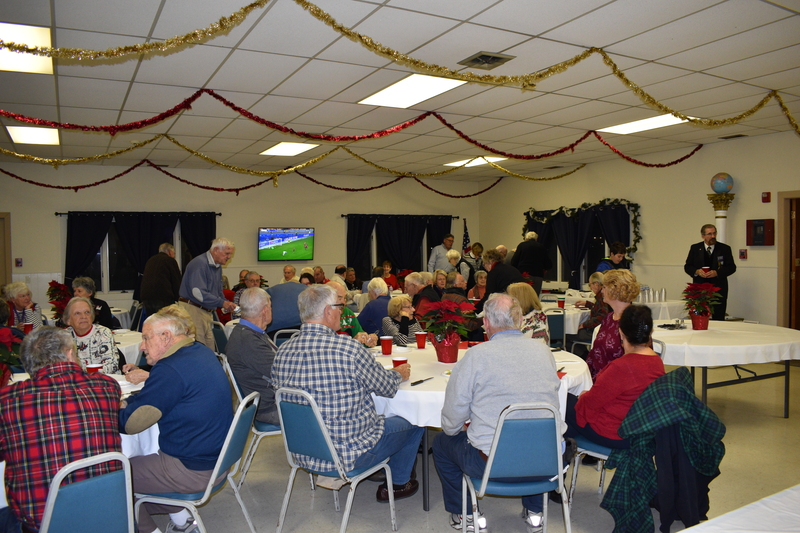 With over 60 guests attending, the evening was a huge success. 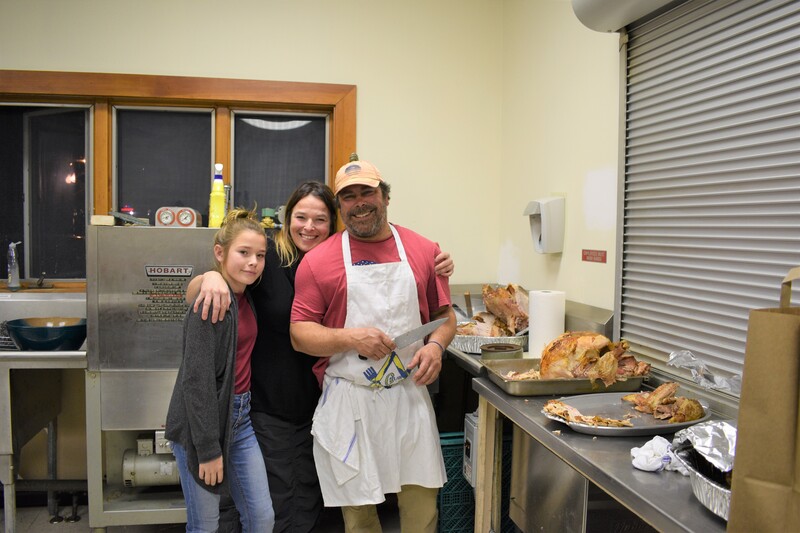 Once again, the kitchen crew served a delicious meal including roast beef, roast turkey and all the fixings. 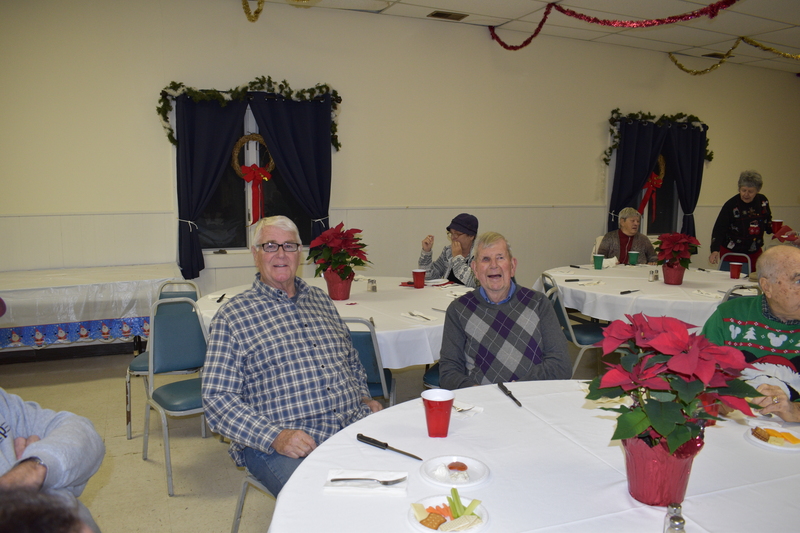 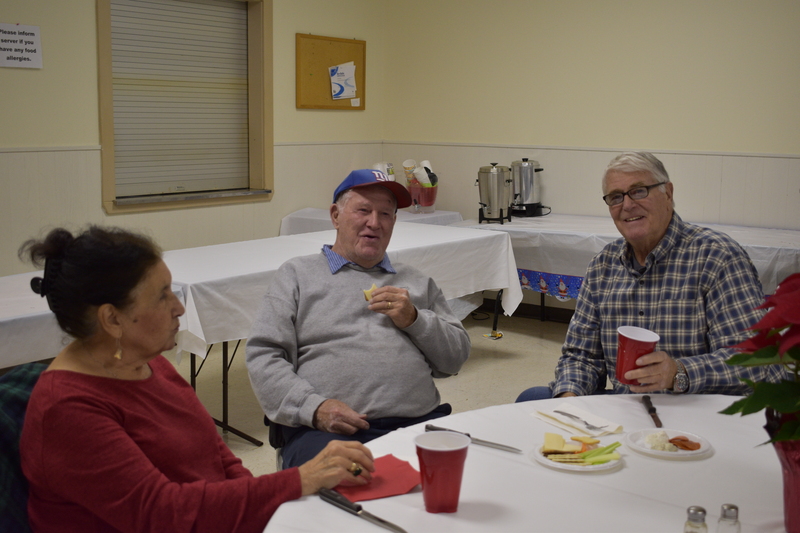 Attendees enjoyed live Christmas music as well as the opportunity to catch up with friends and family. 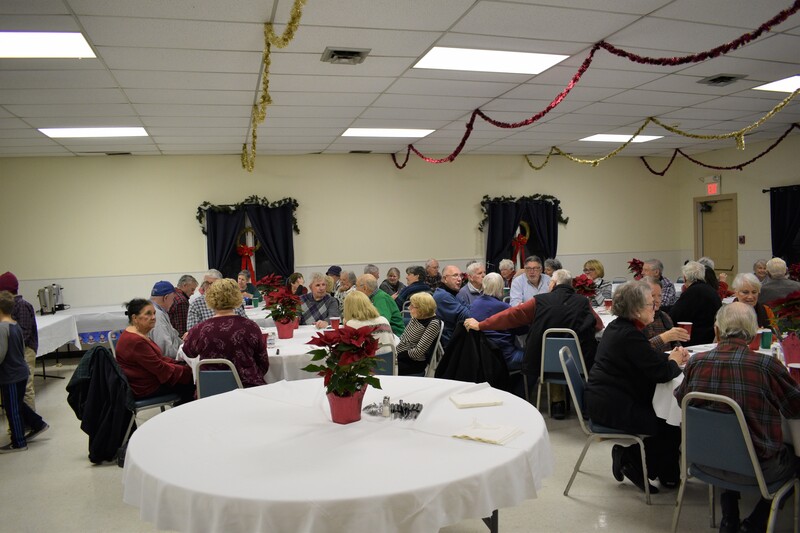 We would like to thank those of you that attended and we wish you a healthy and happy new year! 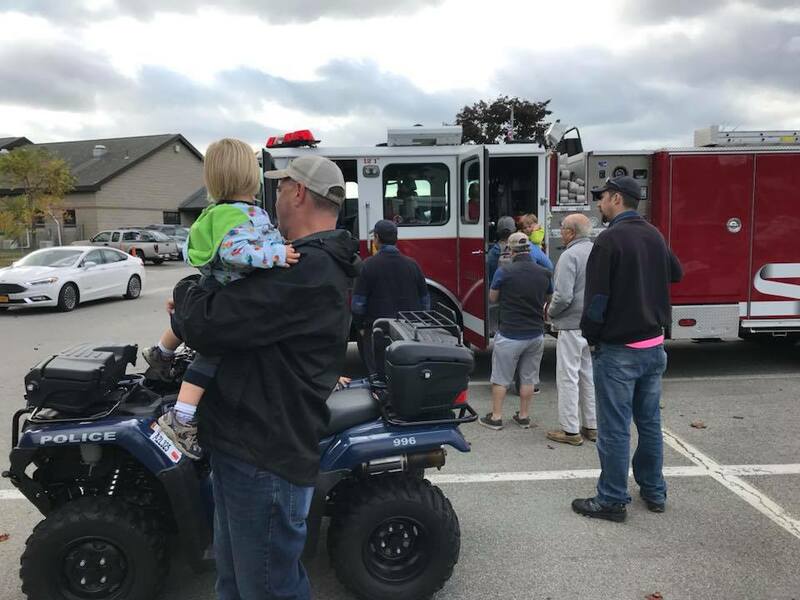 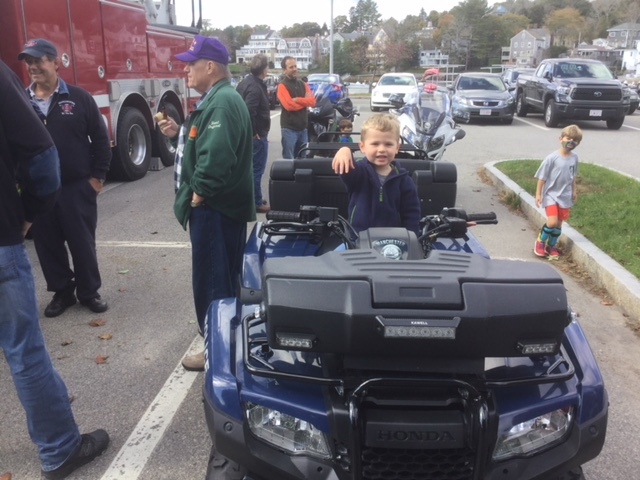 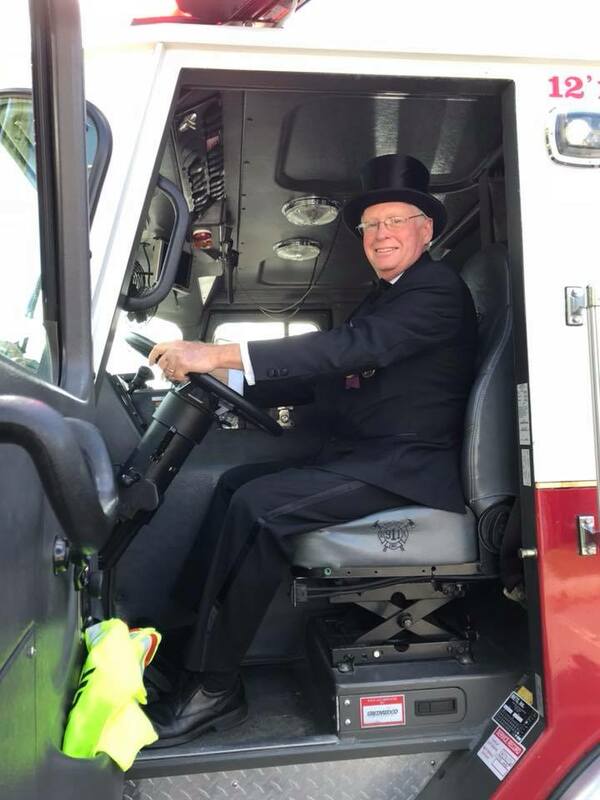 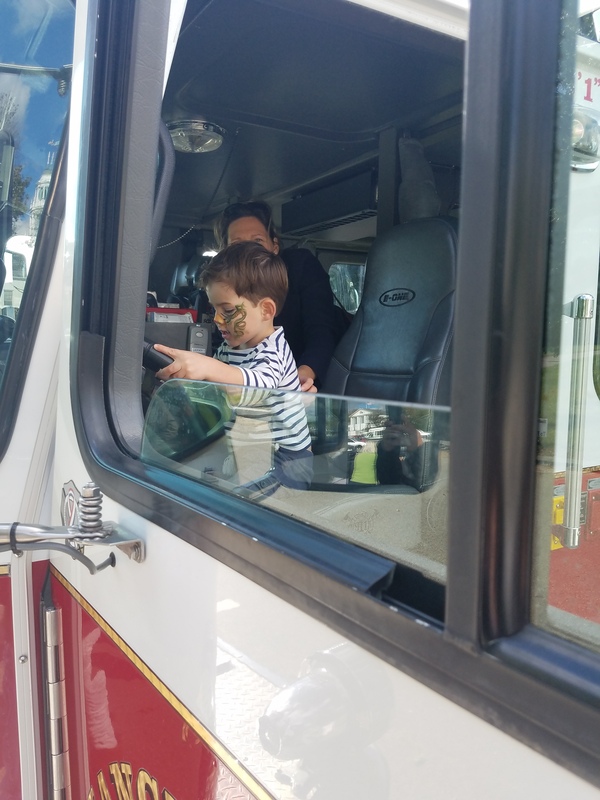 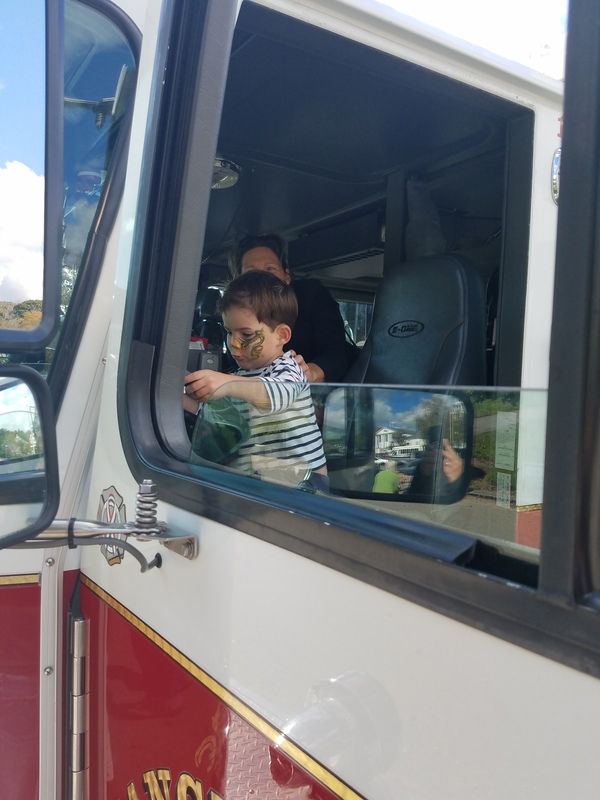 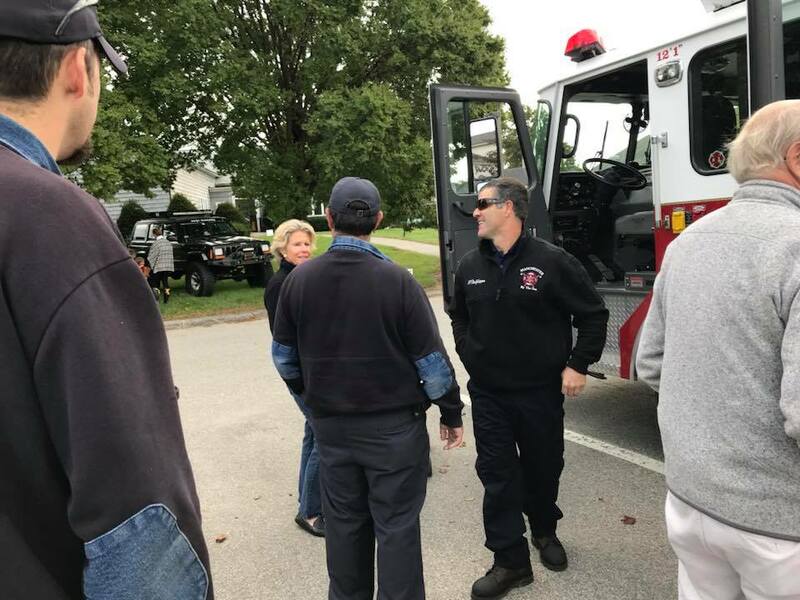 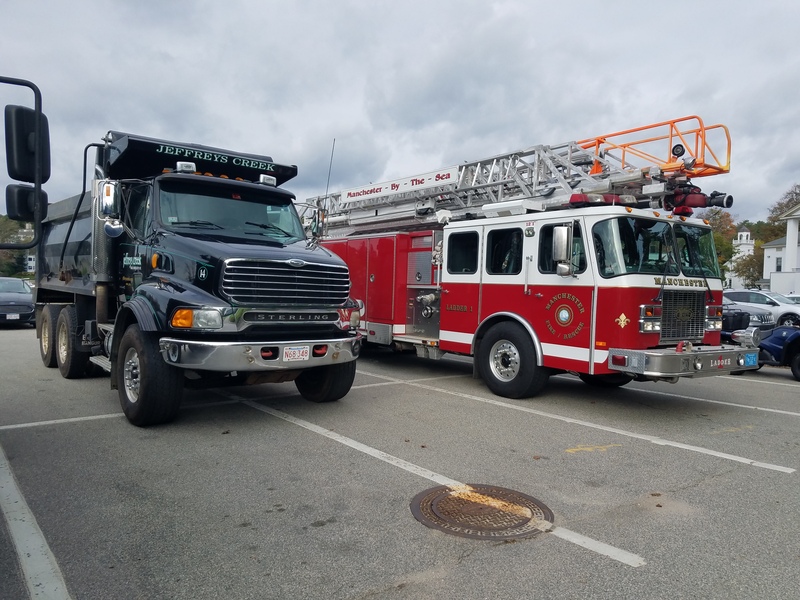 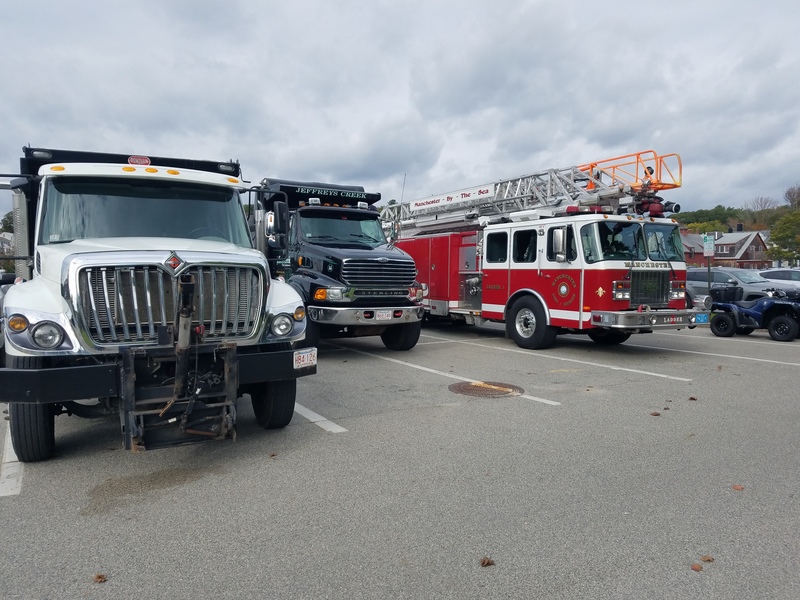 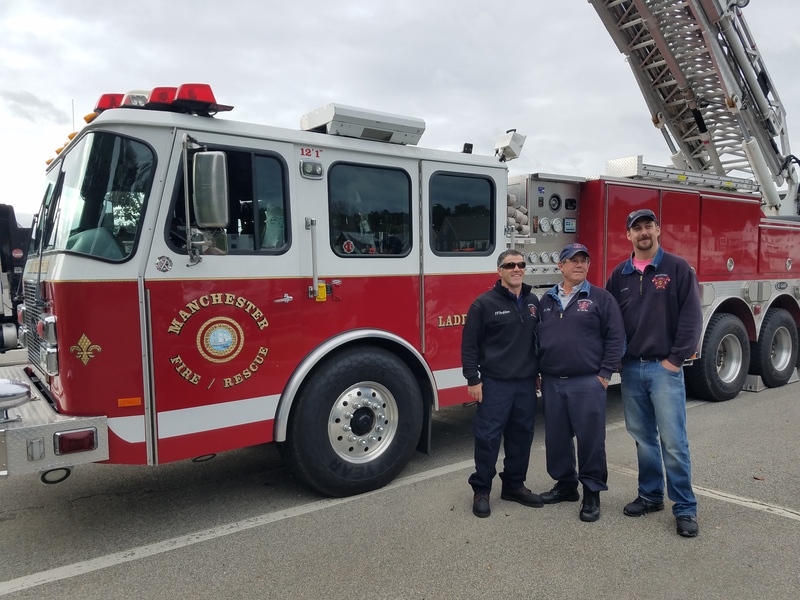 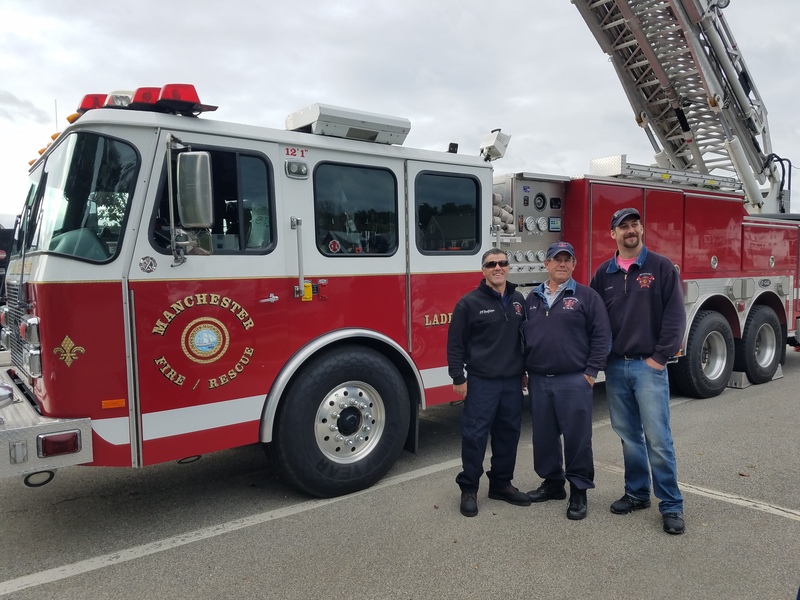 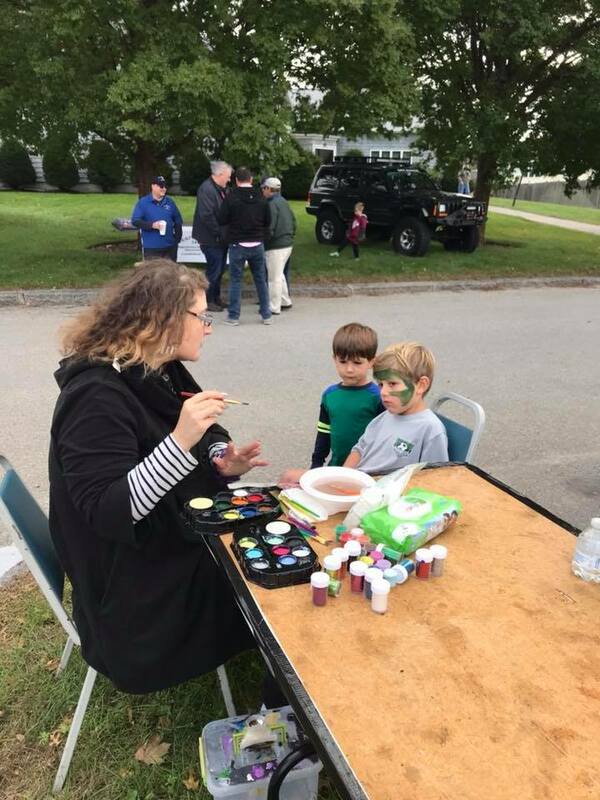 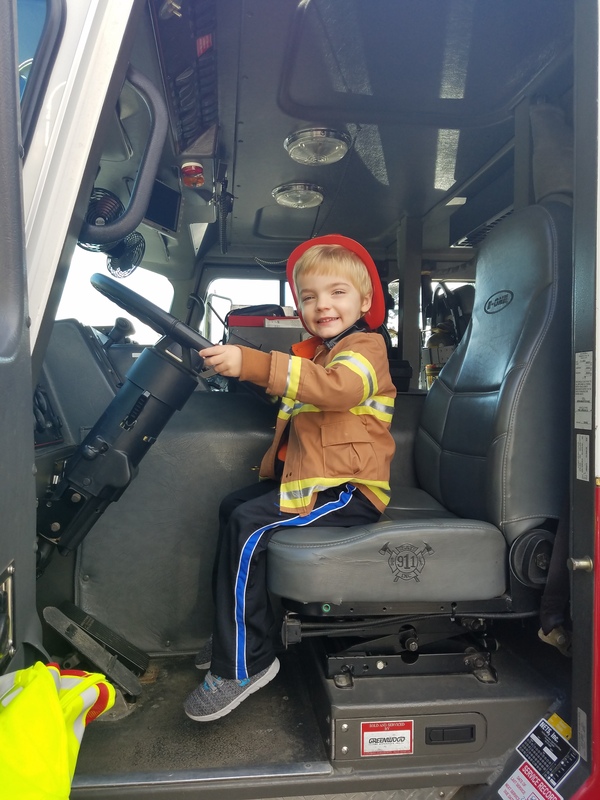 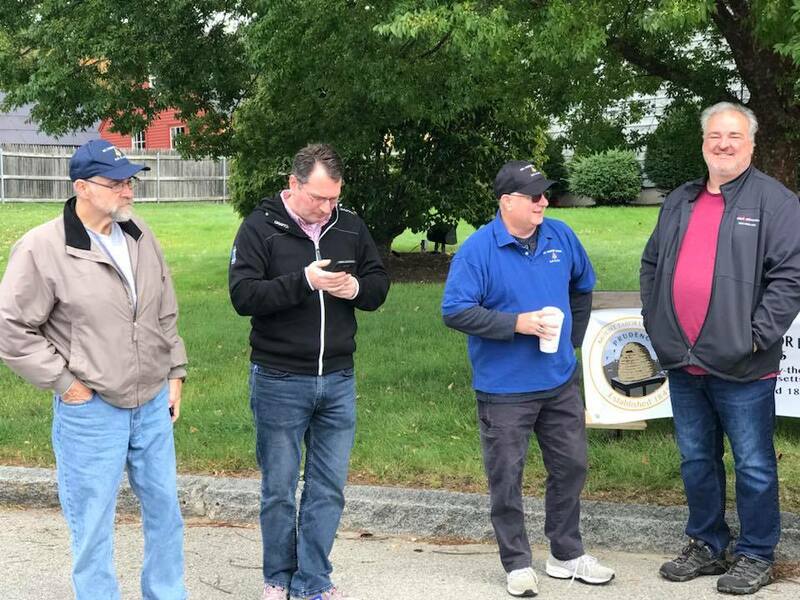 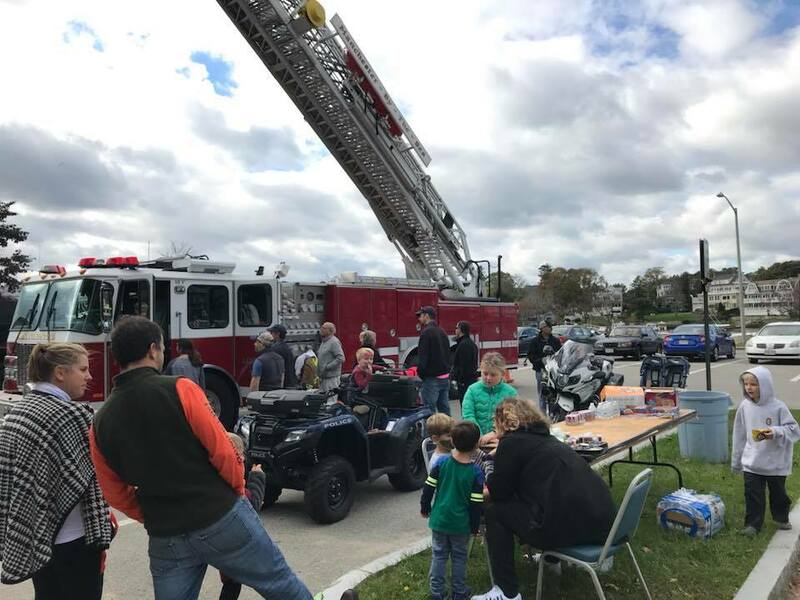 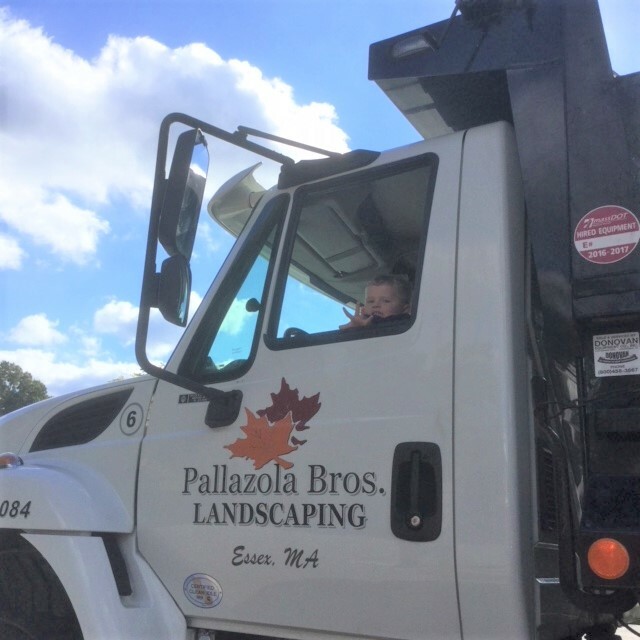 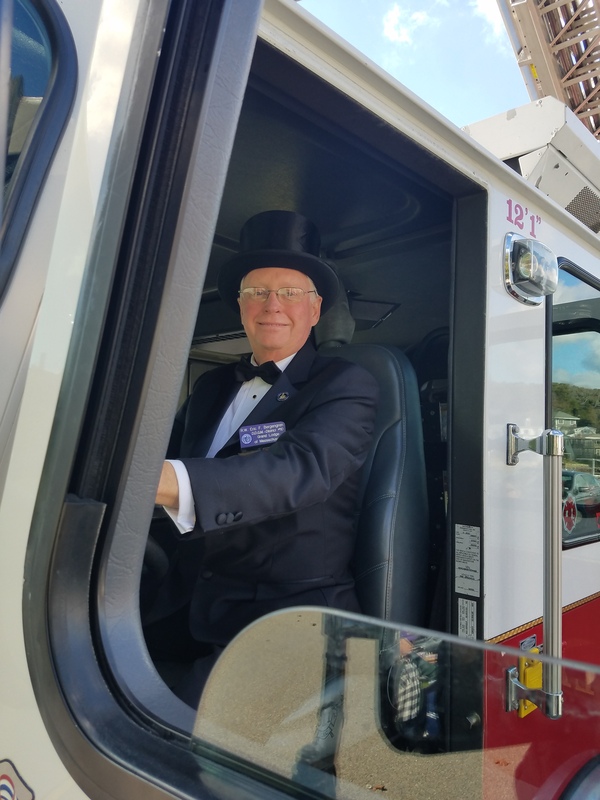 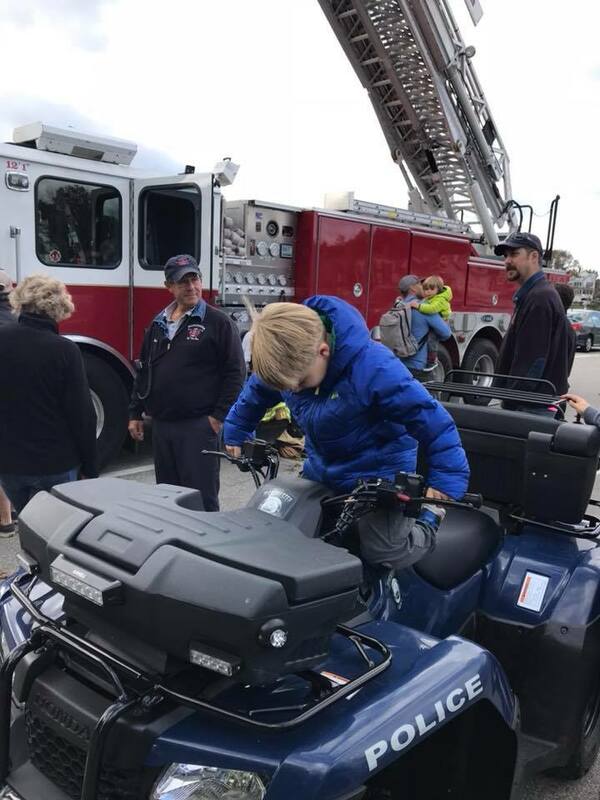 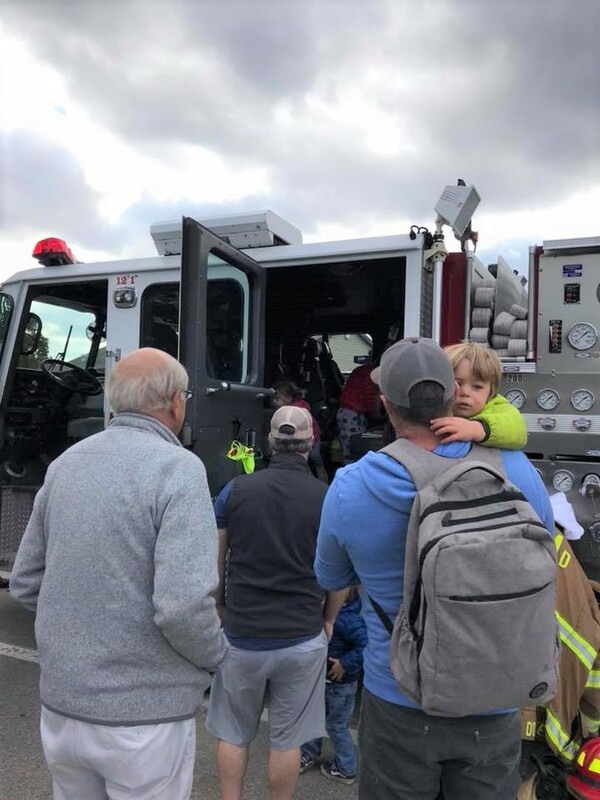 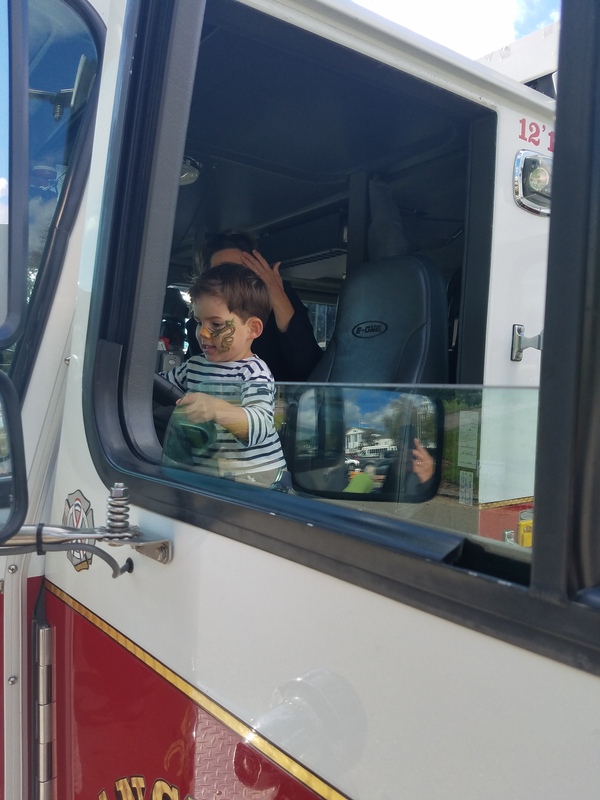 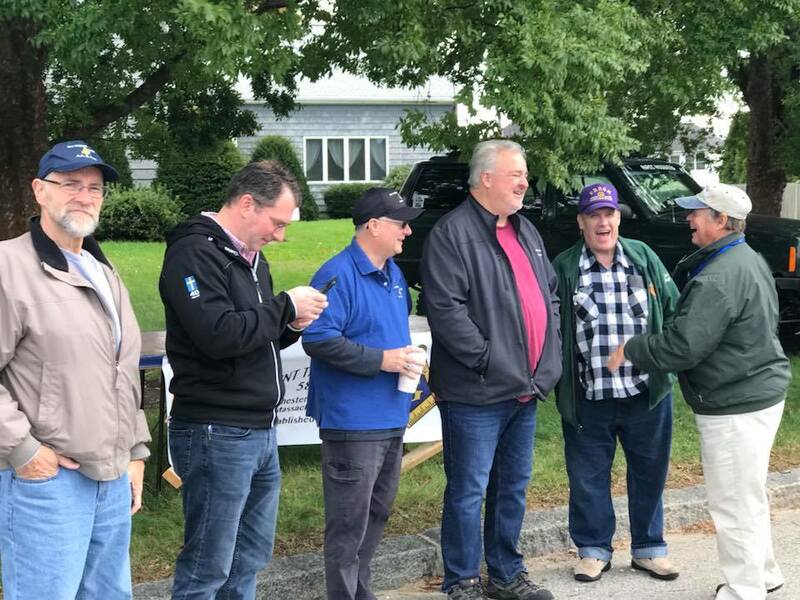 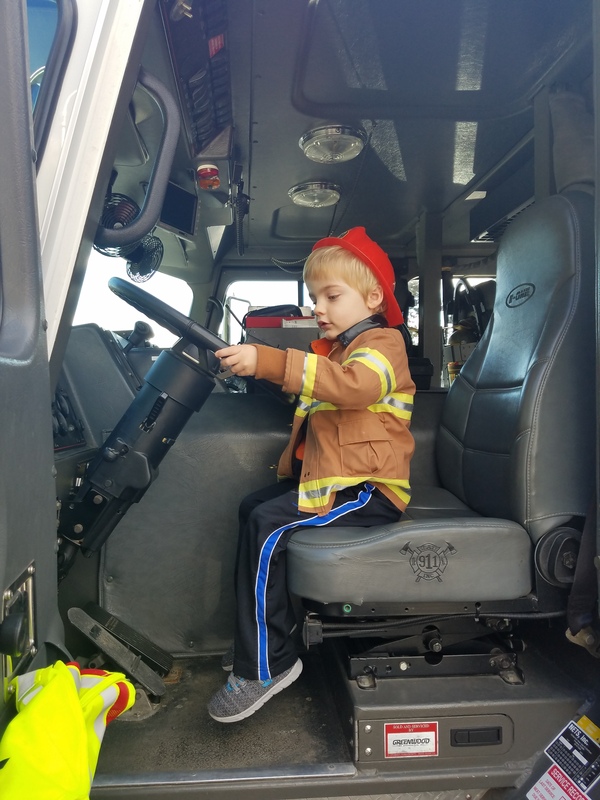 We would like to thank the members of the community that came out yesterday to support the Manchester Masonic Lodge by participating in its Annual Open House and Touch-a-Truck event. 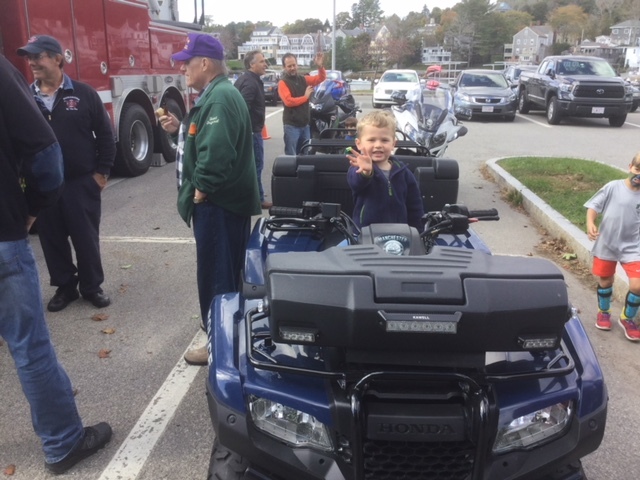 Special thanks and gratitude go out to the businesses and town departments that participated. 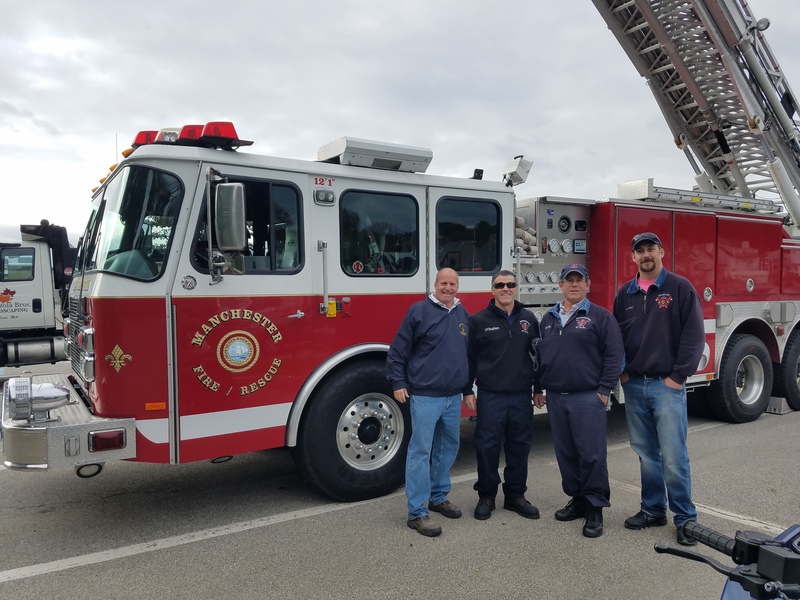 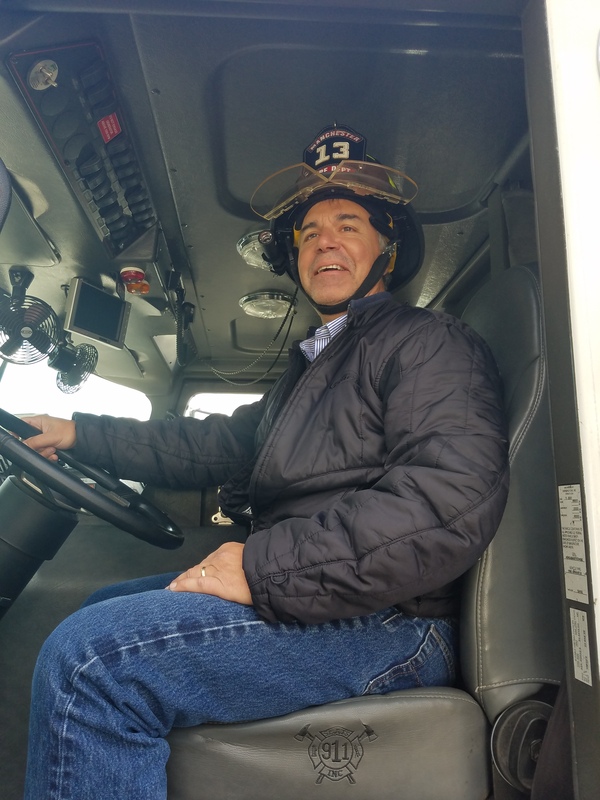 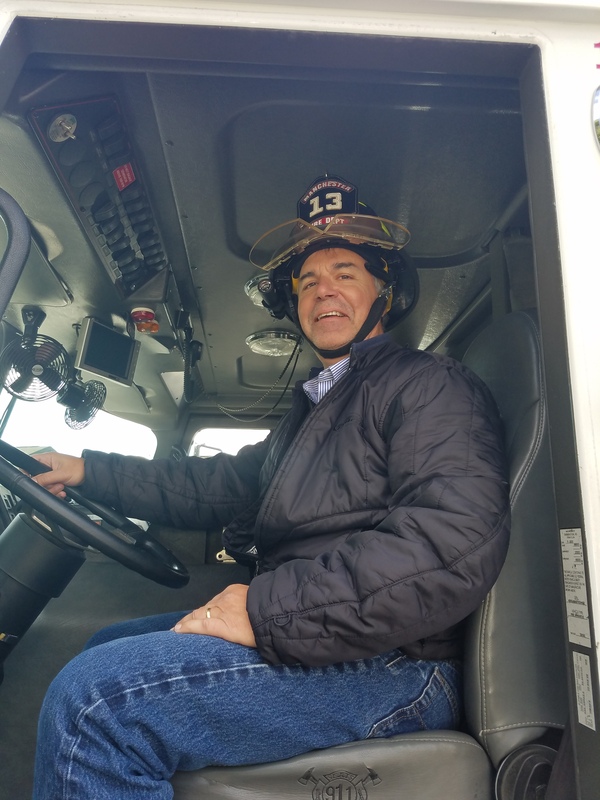 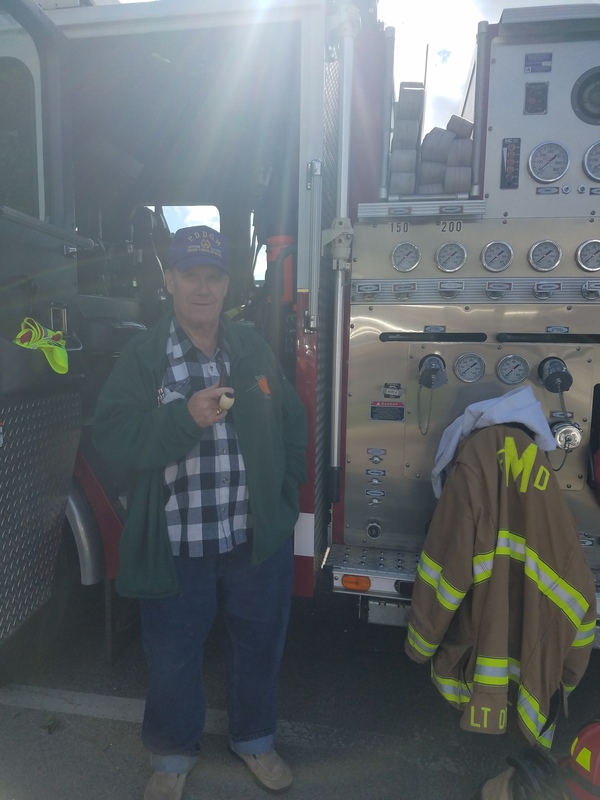 This event would not have happened were it not for the generous support in both time and valuable equipment from the Manchester Fire Department (Jim Doucette was absolutely the best! 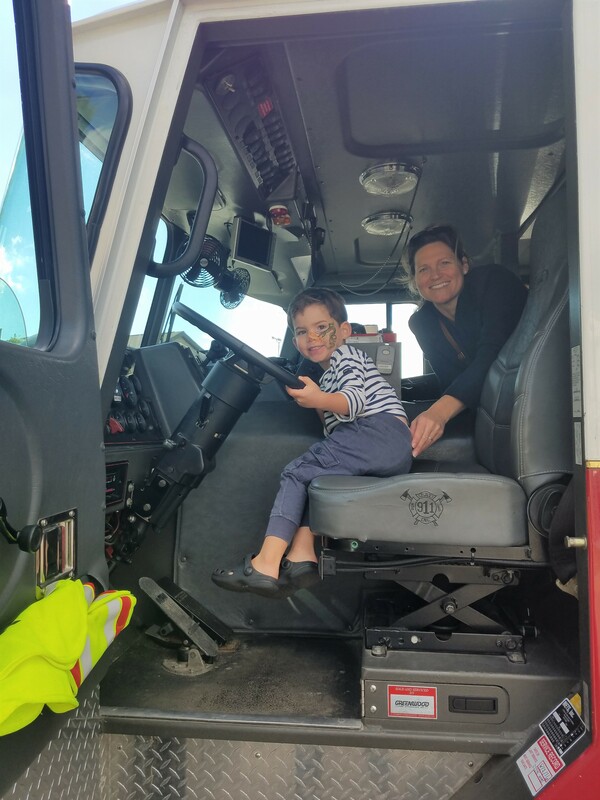 Patiently answering all sorts of questions for visitors, working with the kids as they filed by the ladder truck, and just being there with a great smile and positive attitude. 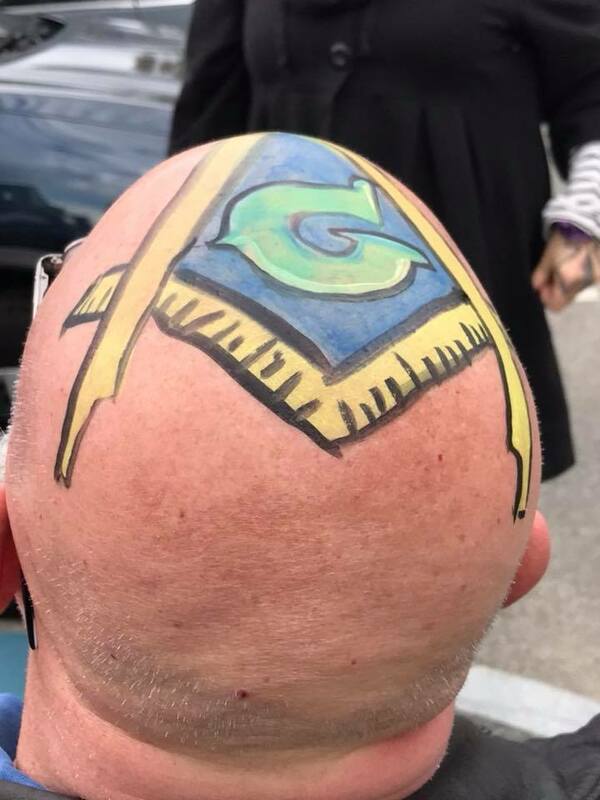 Greatly appreciated. 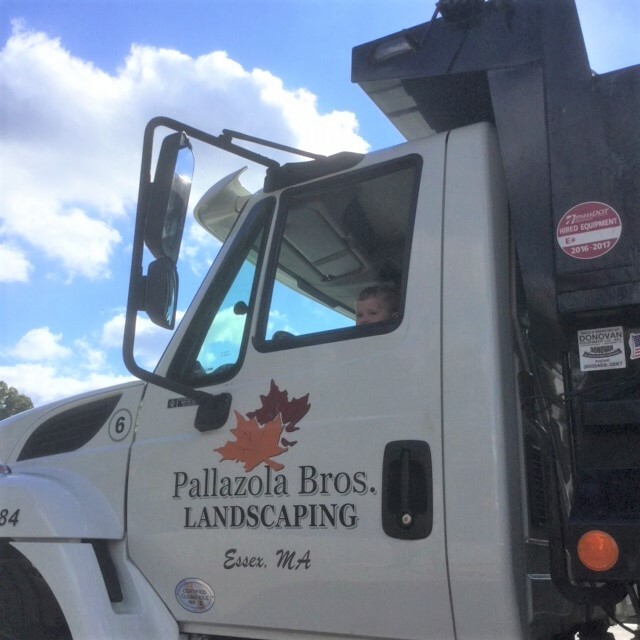 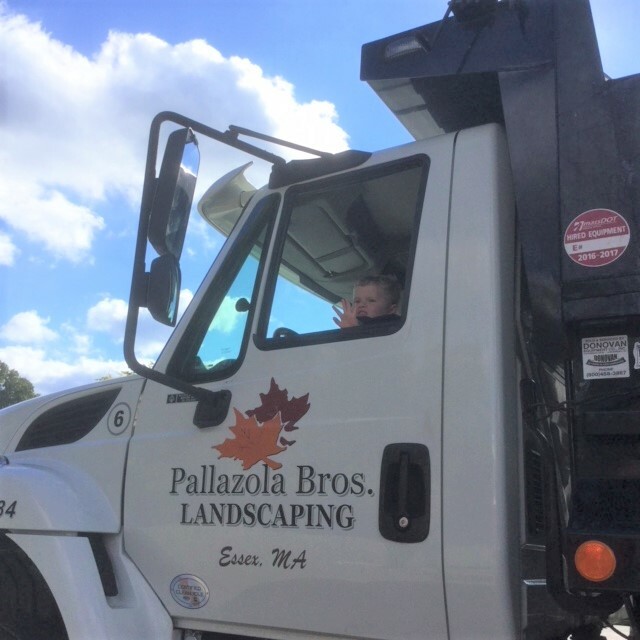 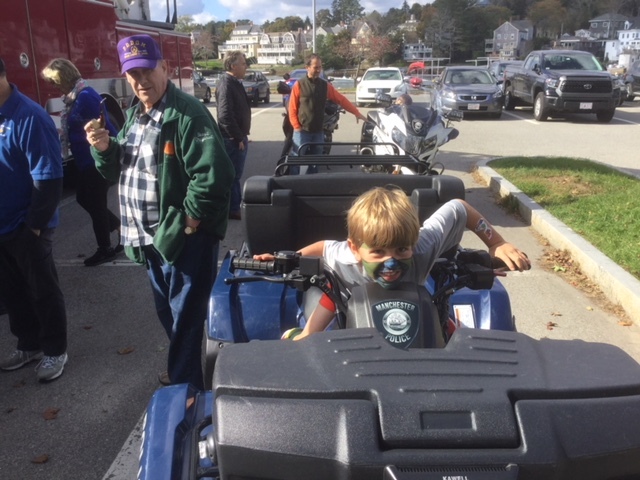 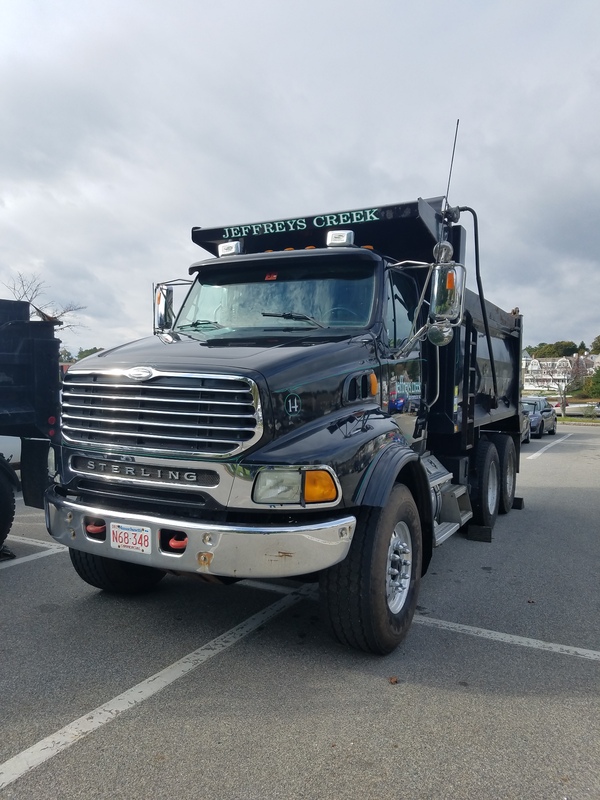 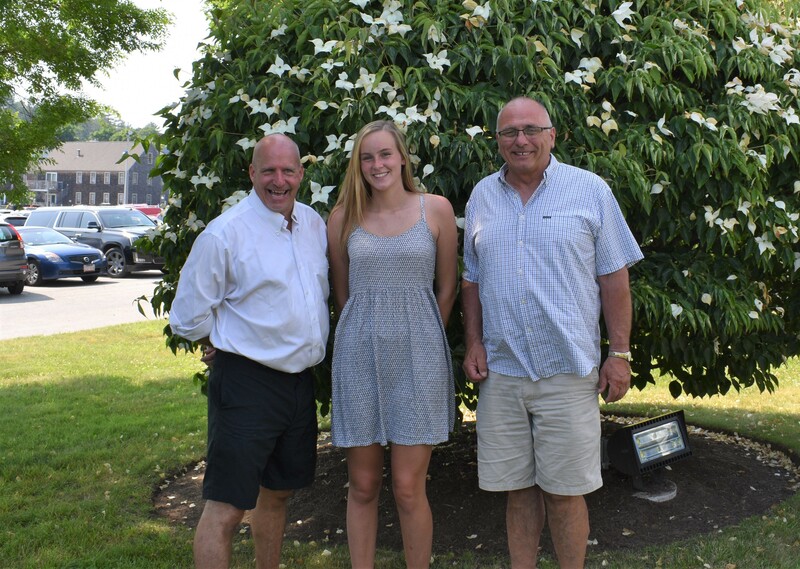 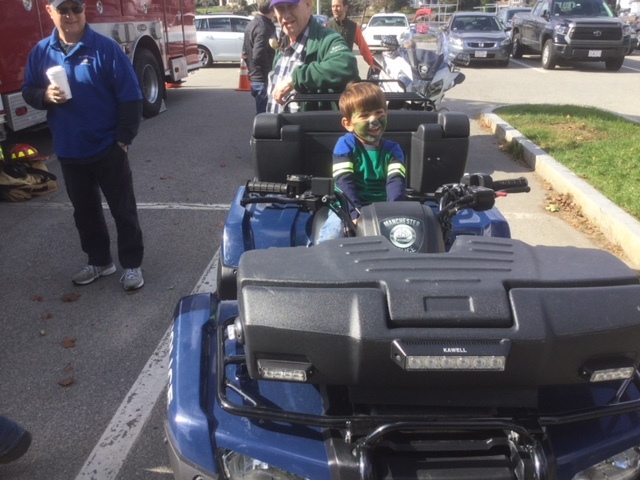 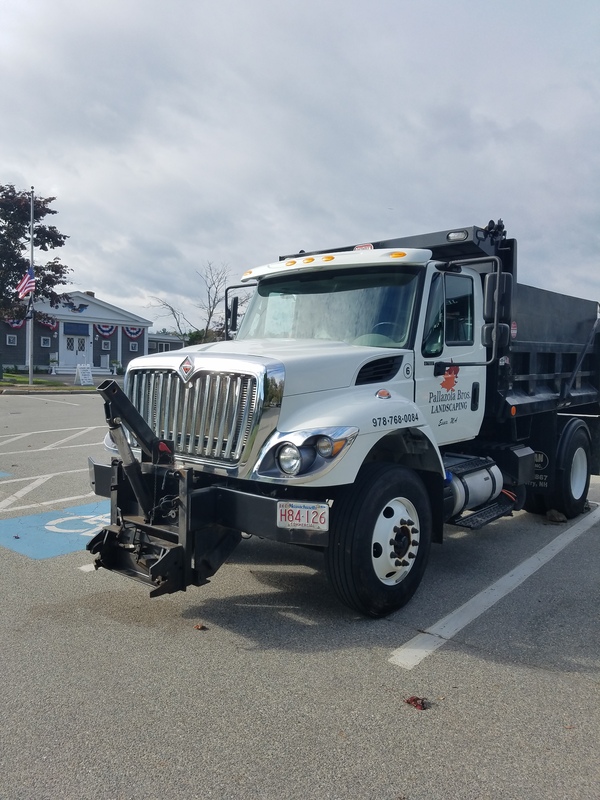 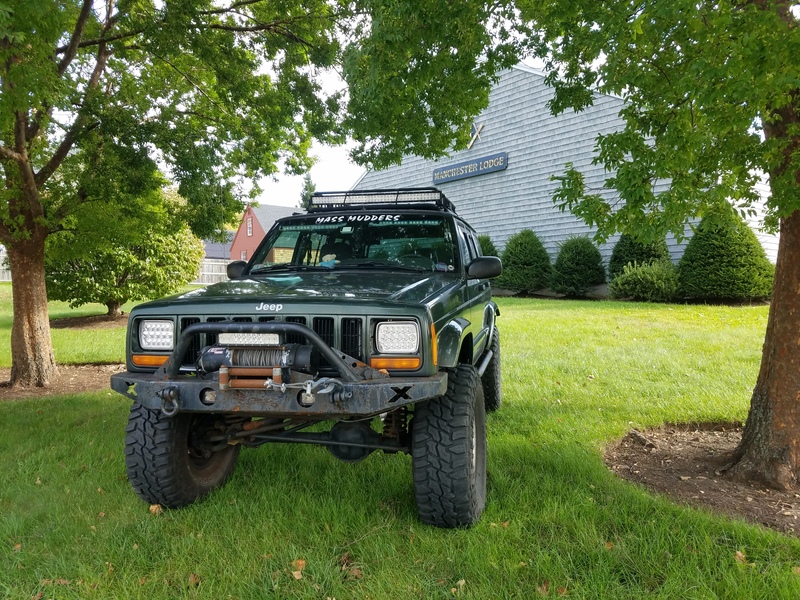 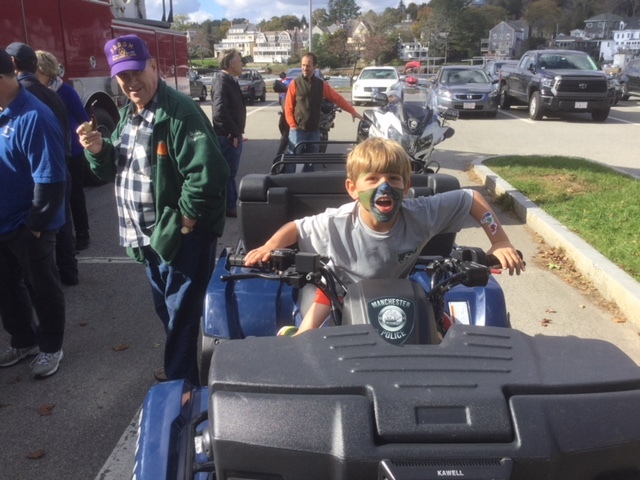 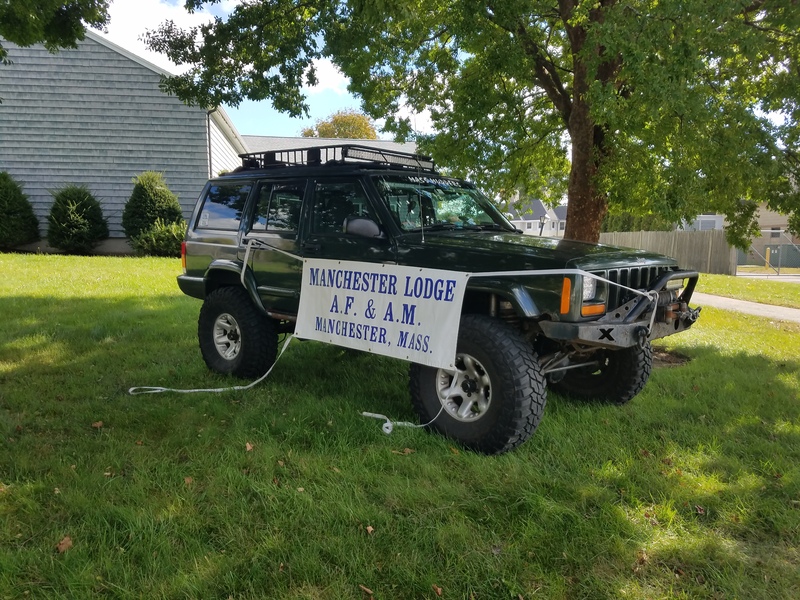 ), David Ellis and the Mass Mudders 4×4 Club of Gloucester, John Filias and Jeffreys Creek Land Contractors, Joe and Tom Pallazola and Pallazola Brothers Landscaping, and the Manchester Police Department. 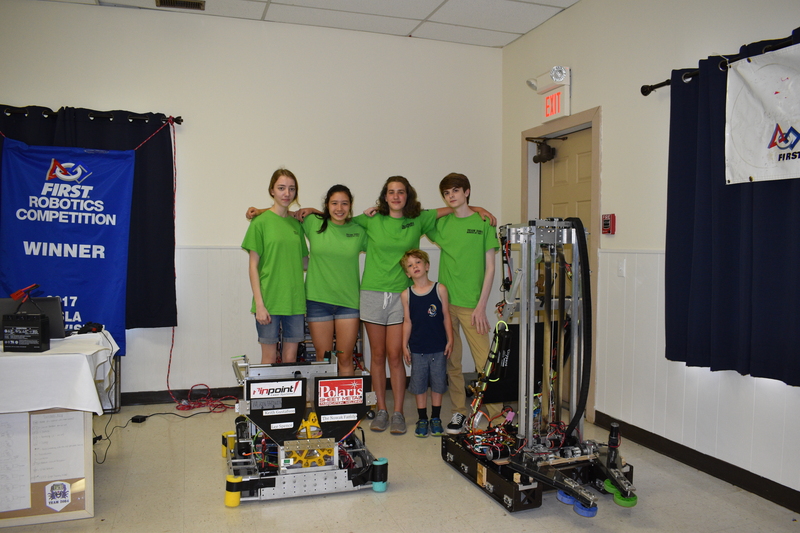 Thank you to everyone who came out on this night to support the Manchester Essex High School Robitics Team, 2084 Robots by the C and the Manchester Masons. 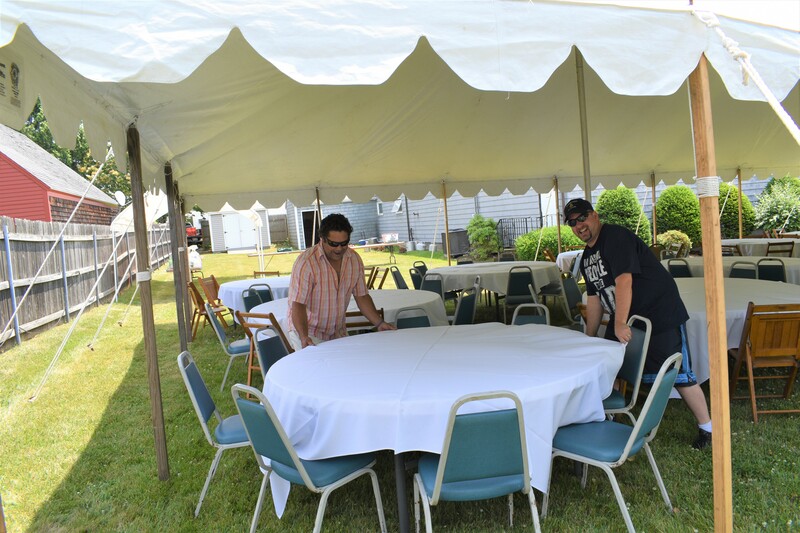 Also, many thanks to Scamps Comedy Productions and specifically Dave Rattigan for a great set of comedy and his help in setting up and promoting the event. 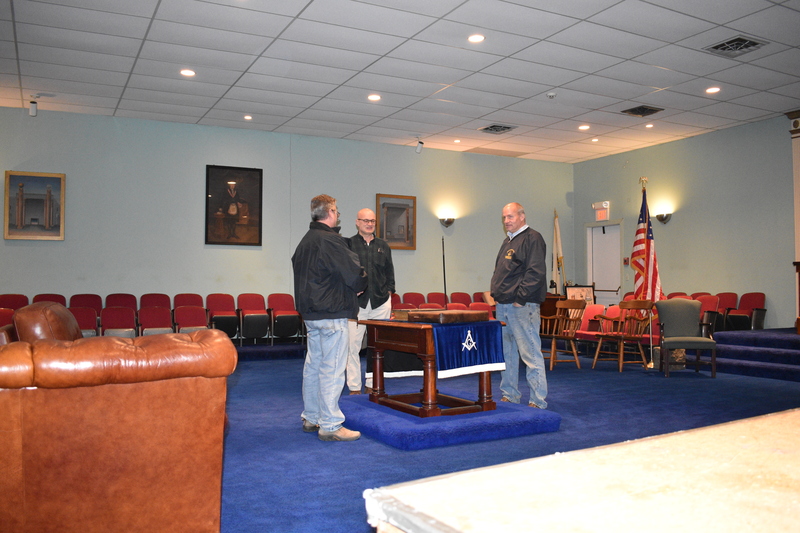 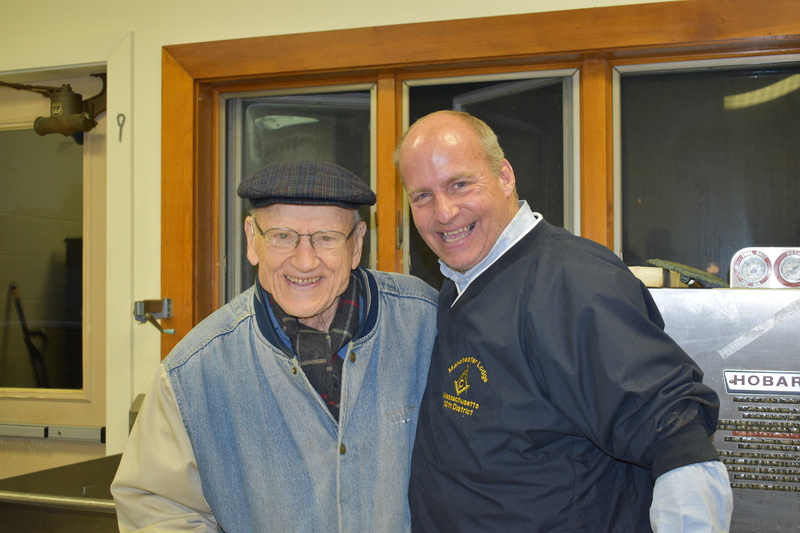 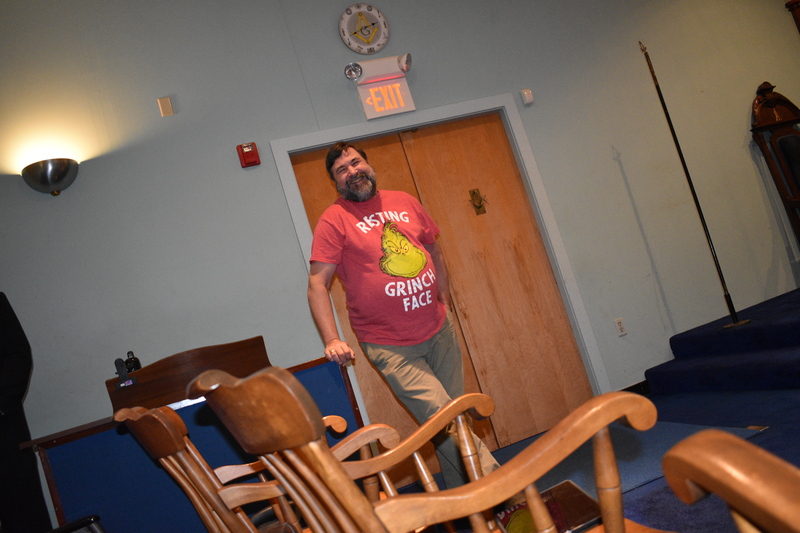 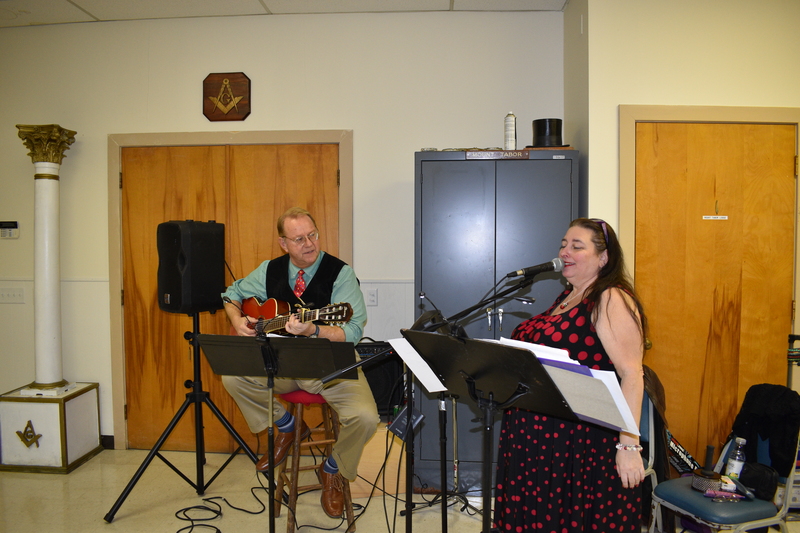 The North Shore Cornerstone Club held its 1st annual Cigar Night at the Manchester Masonic Lodge on March 23rd. 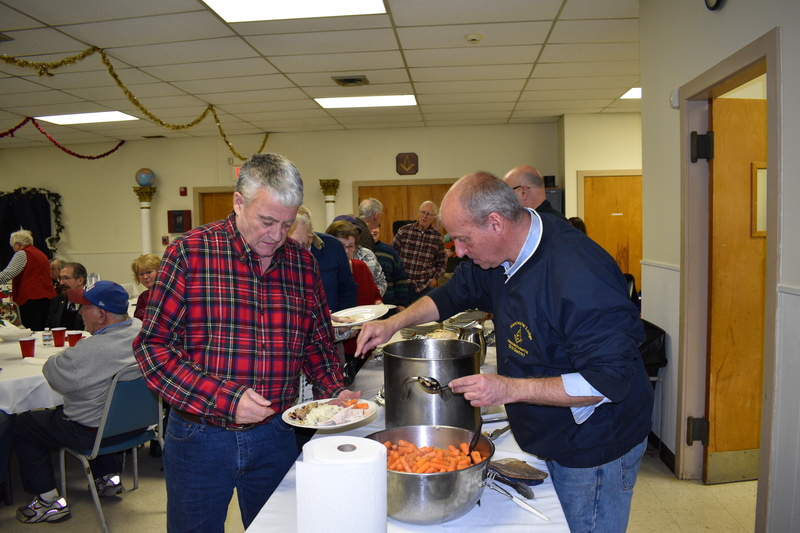 An exceptional prime rib dinner, prepared by Todd Crane, was enjoyed by a large group of Brothers and guests. 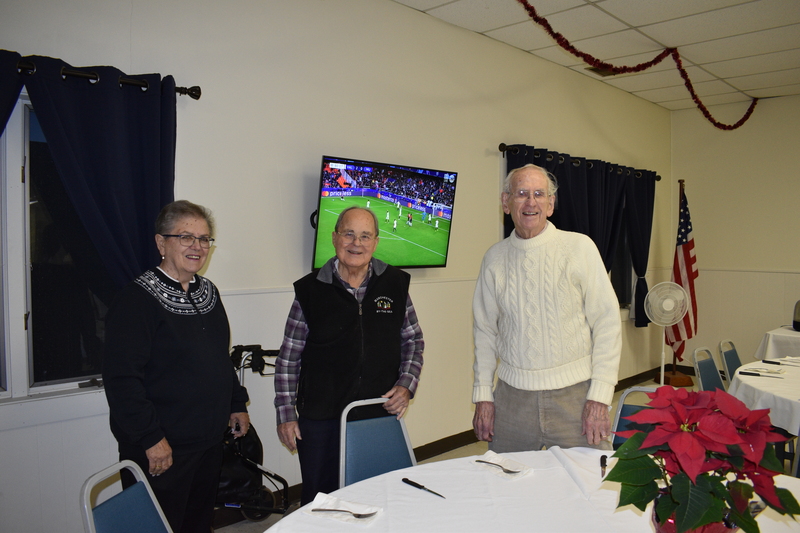 Many thanks go out to Dave Lapointe, Howard Scott Van Dyke along with other members of Mount Tabor lodge that worked very hard to pull this together. 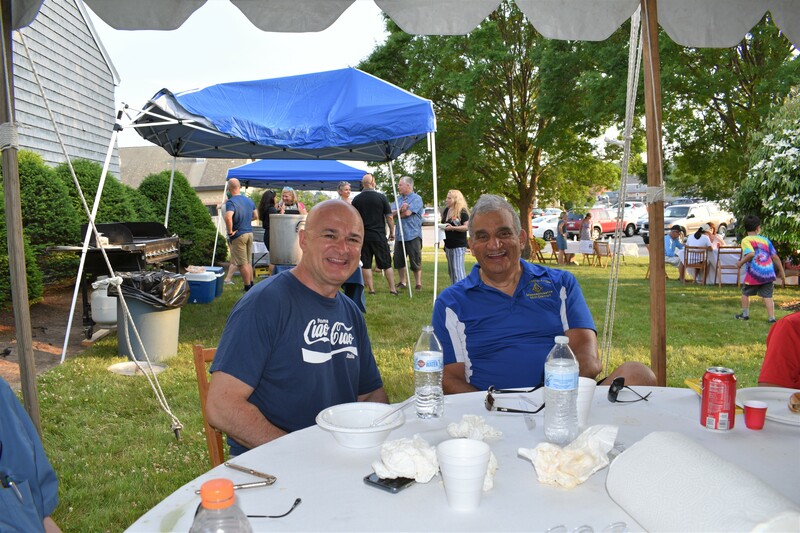 This event truly exemplified the camaraderie of Freemasonry and the positive feedback from those that attended will most certainly result in this being an event not to be missed in the future. 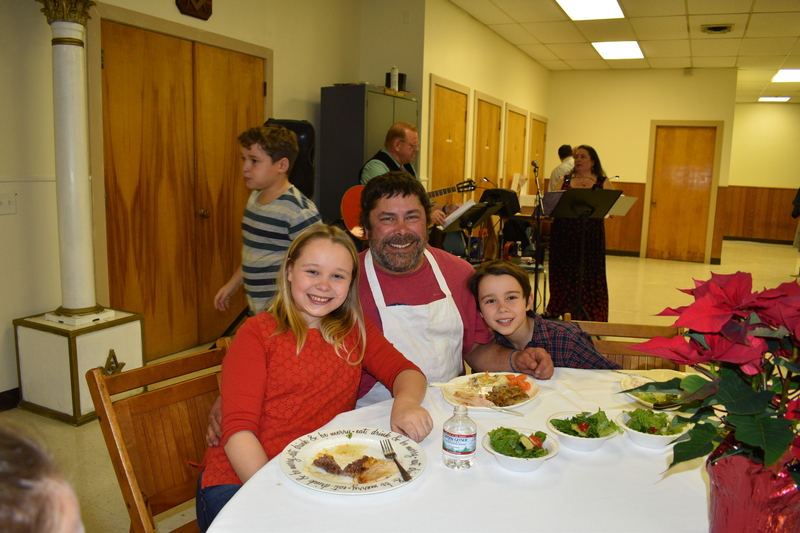 I know I am looking forward to next years dinner. 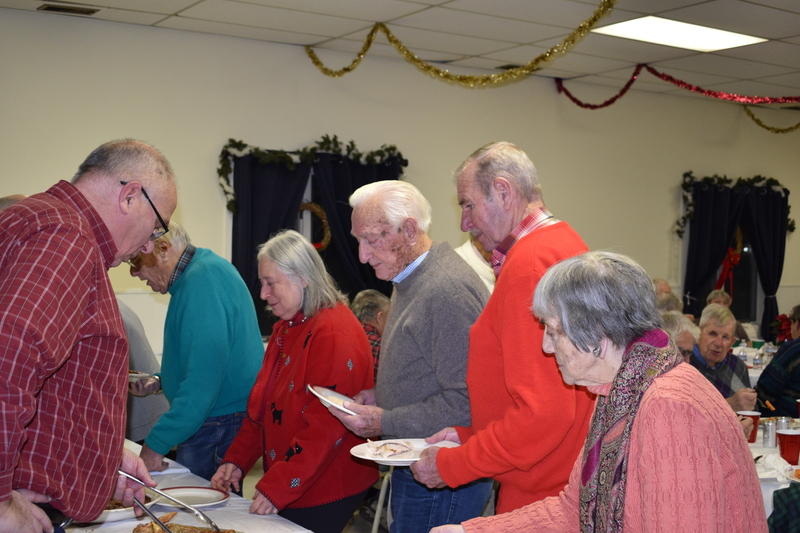 The Manchester Masons hosted dinner for over 60 members of the community on Monday December 11th. 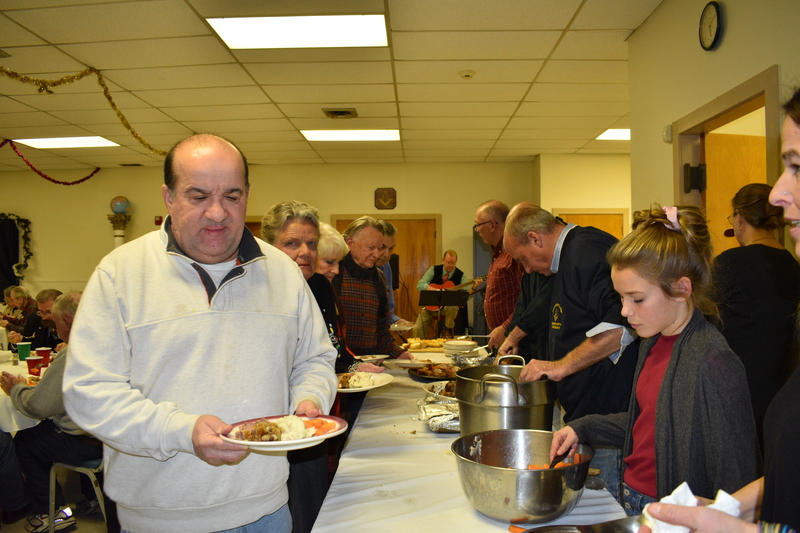 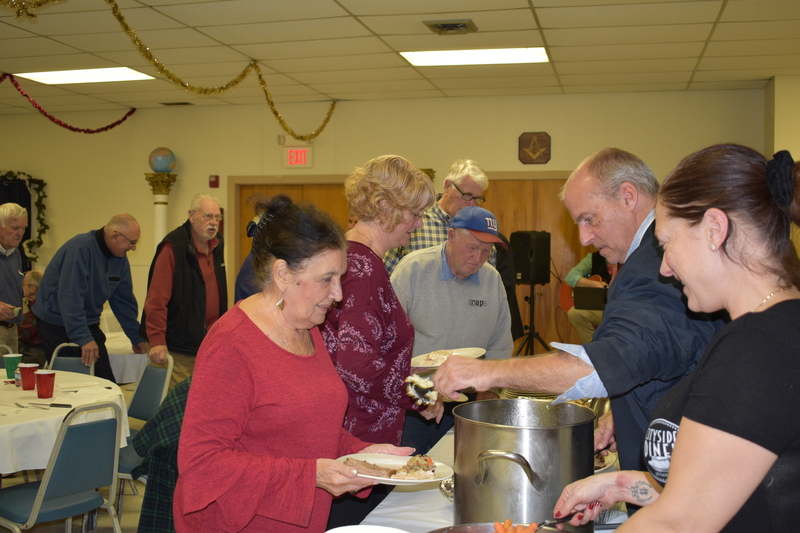 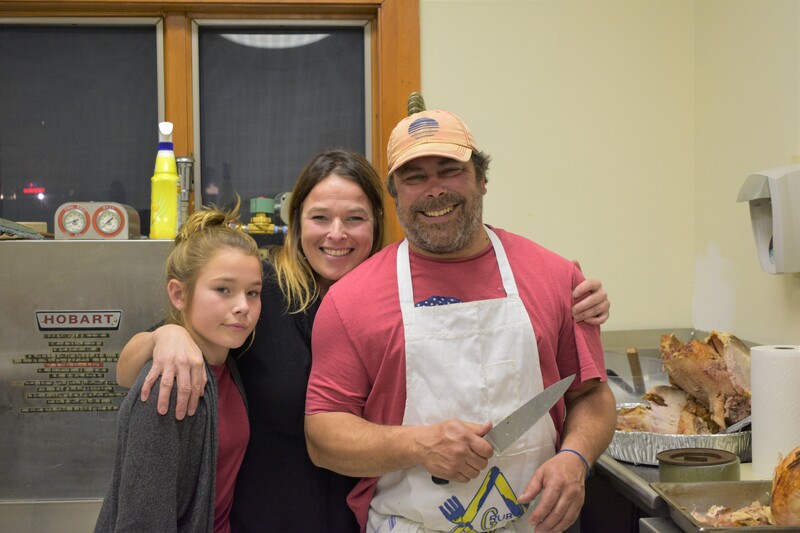 Worshipful Master Todd Crane prepared a spectacular meal consisting of Roast Beef and Roast Turkey accompanied by “all the fix’ns”. 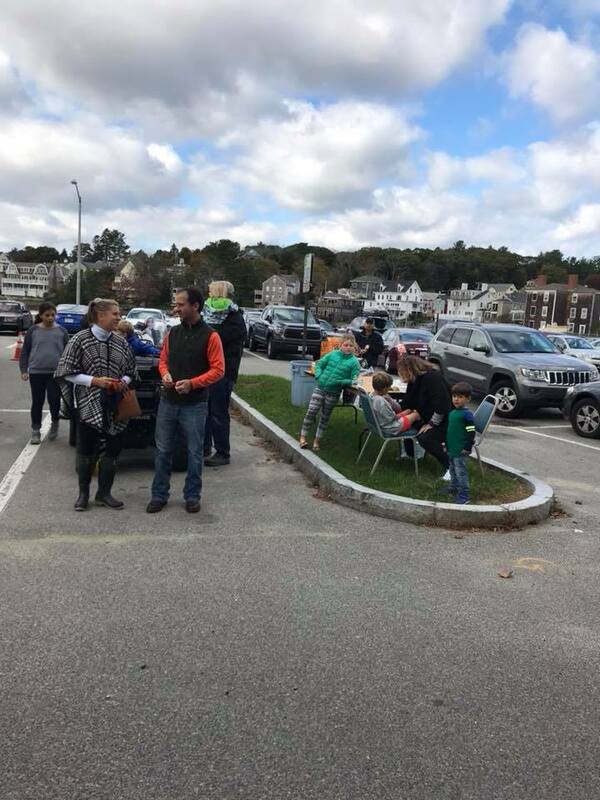 Thank you to those of you that dropped by to donate or to assist the American Red Cross team. 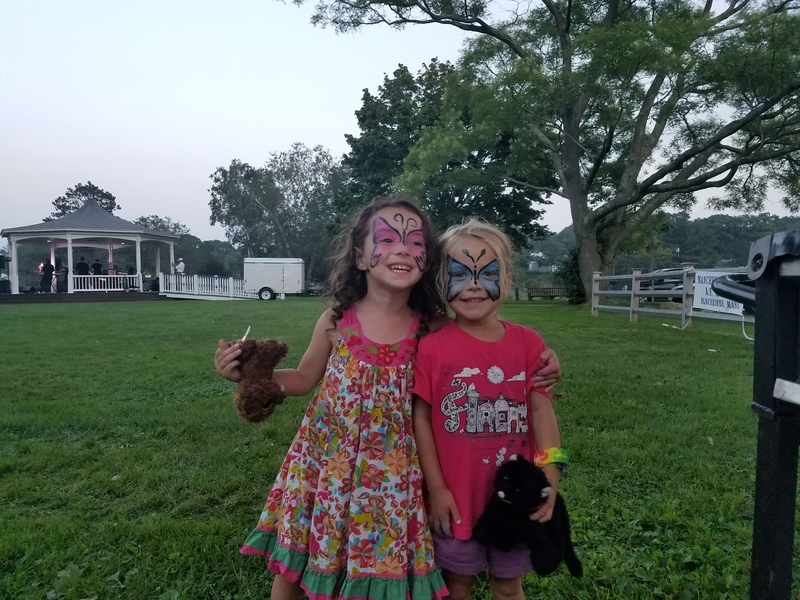 Your help is greatly appreciated! 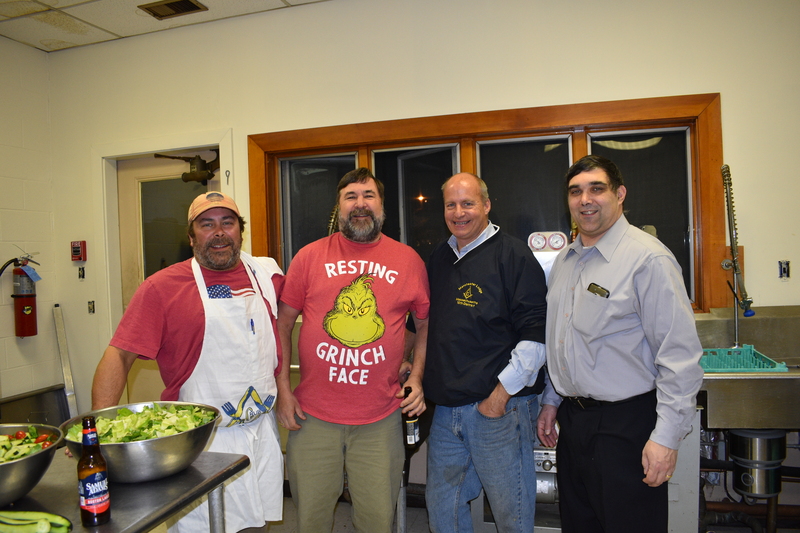 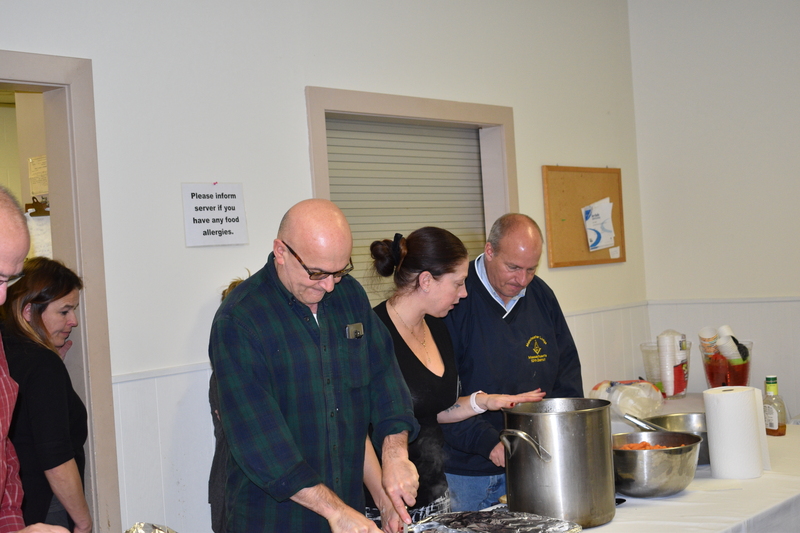 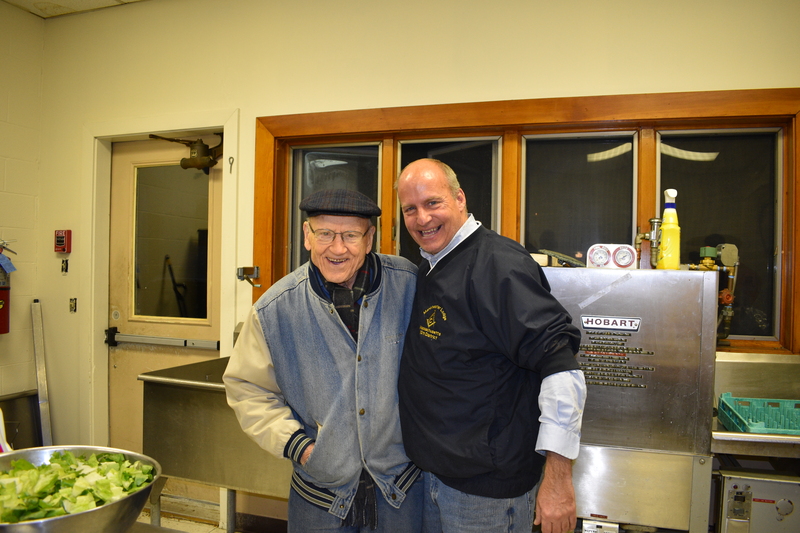 Cape Ann Masons volunteer at The Open Door Community Meals in Gloucester. 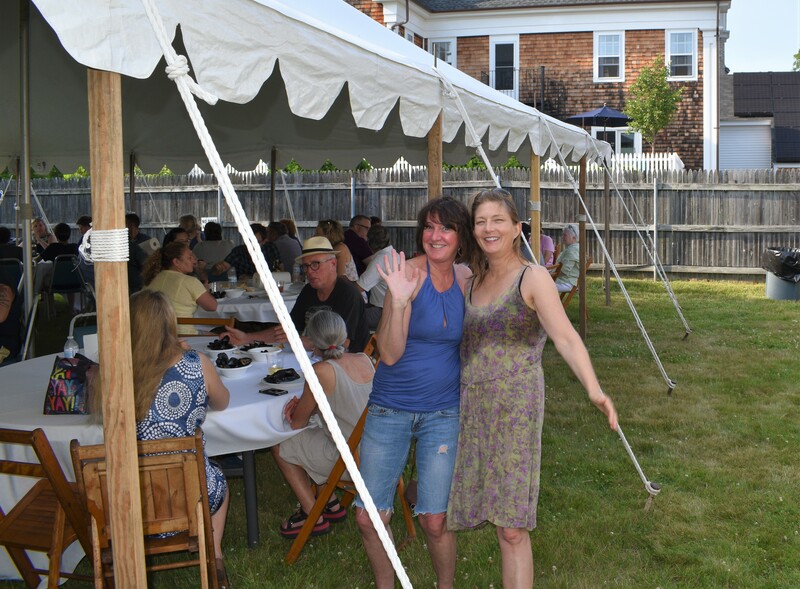 Amazing home baked pies courtesy of Julie Geary of Classic Cooks catering. 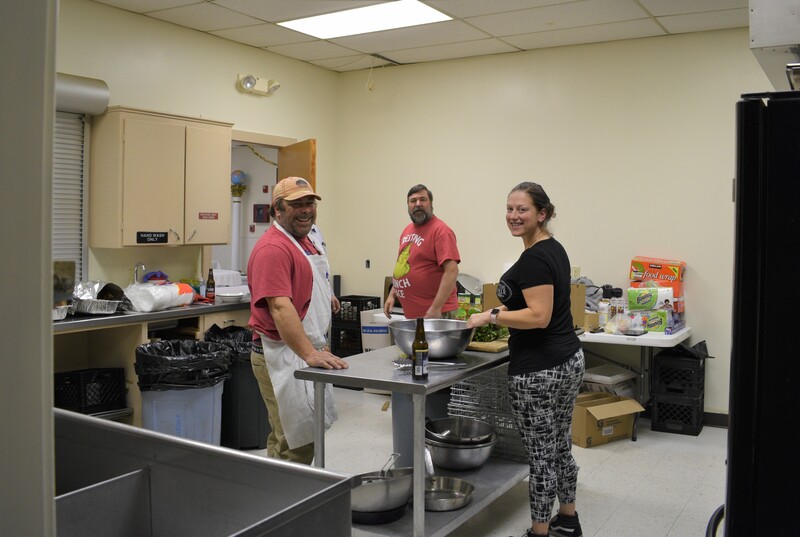 The Open Door Community Meals. 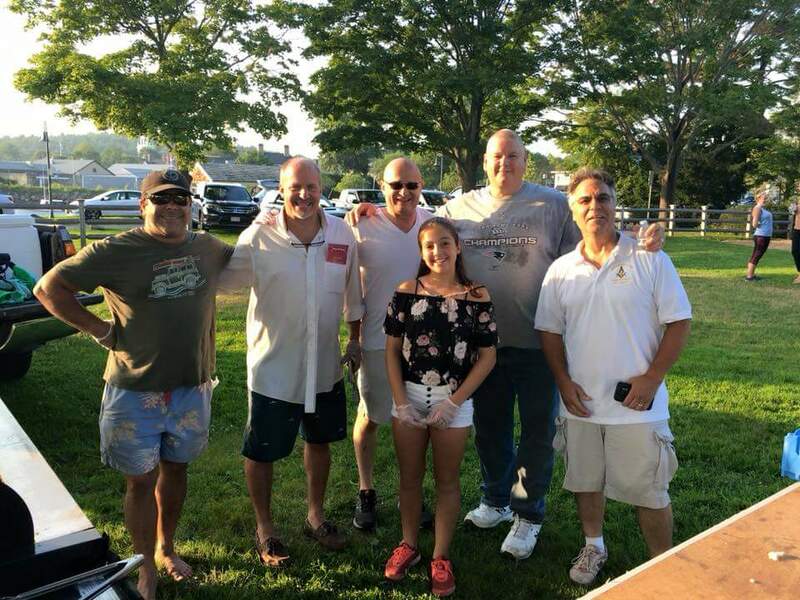 Left to right: Todd Howland, Eric Bergengren, Ray Fisher, Chris Nulty, Joe Cicci, Jim Brown. 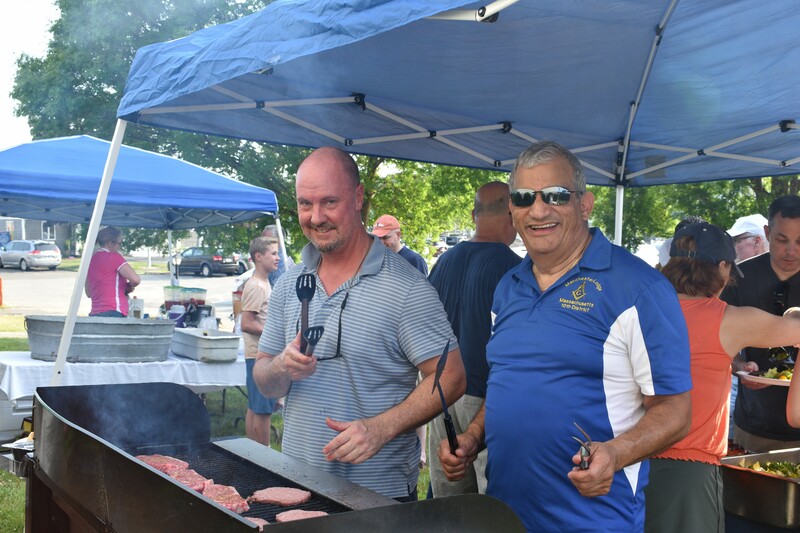 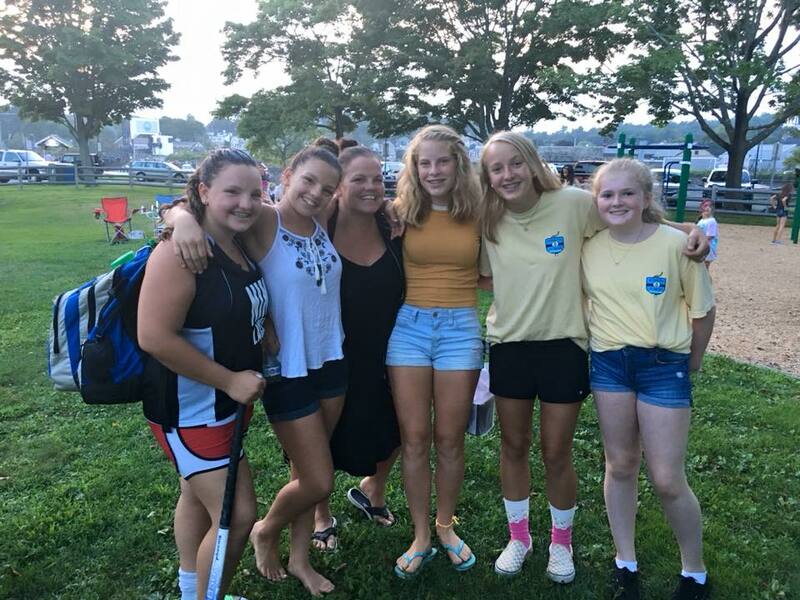 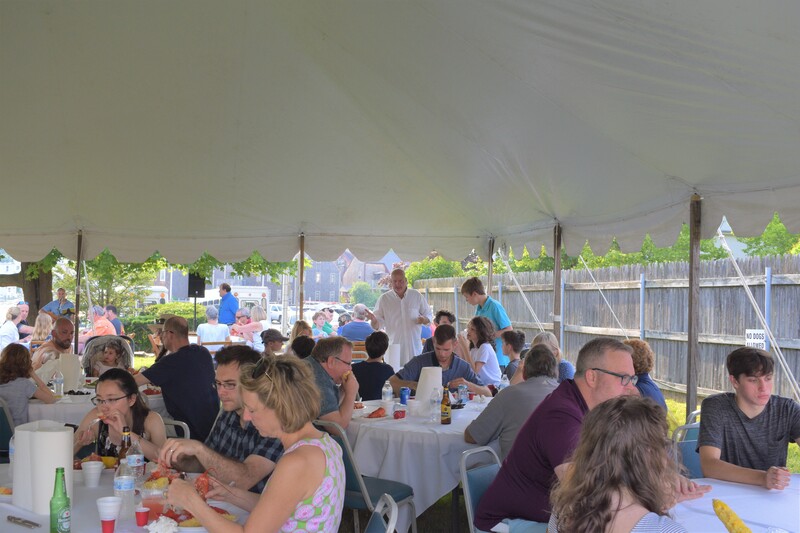 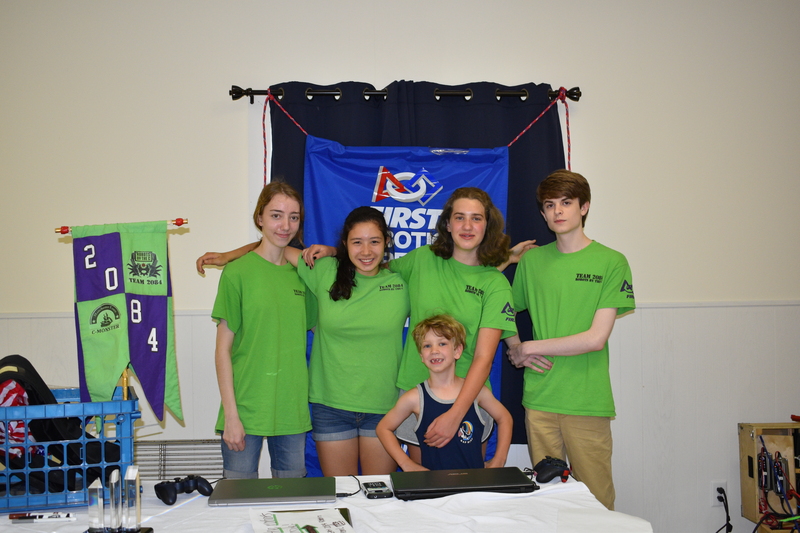 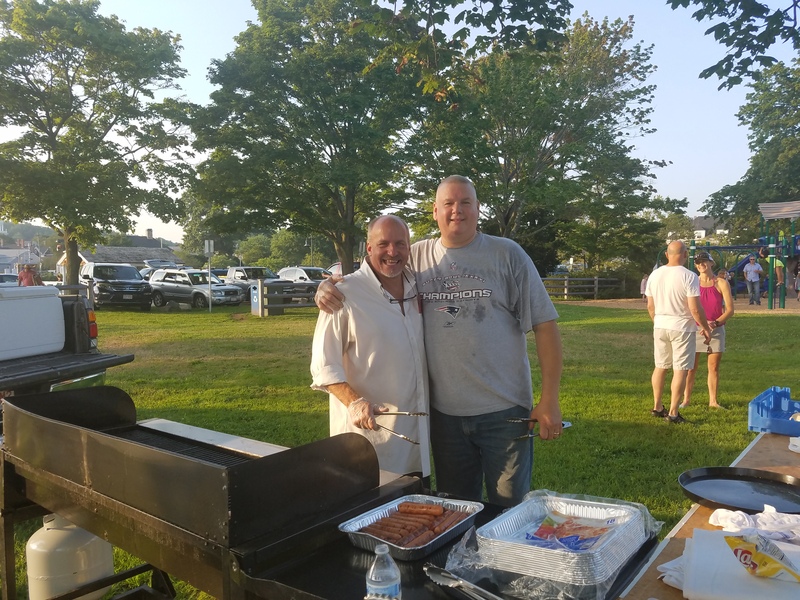 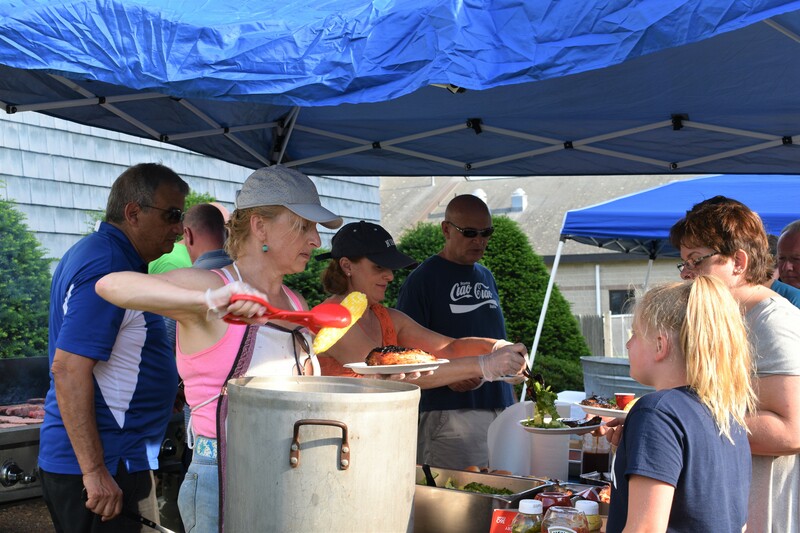 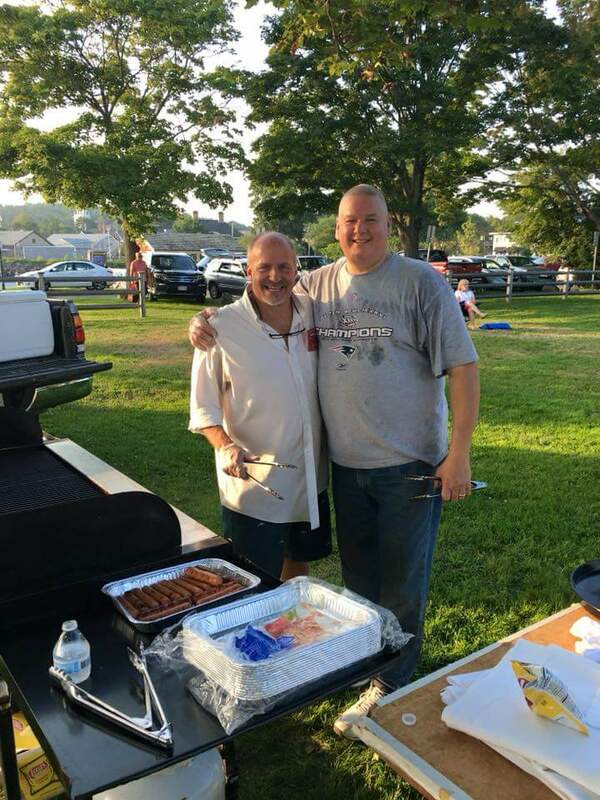 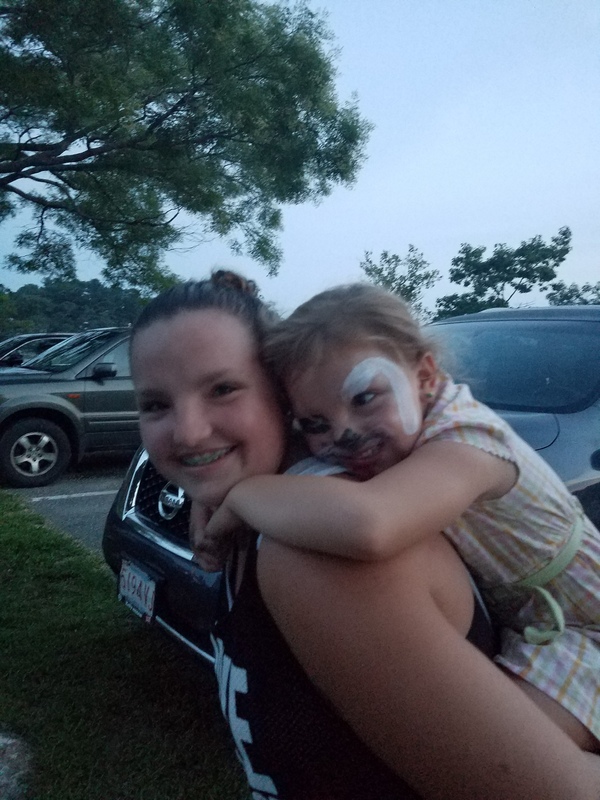 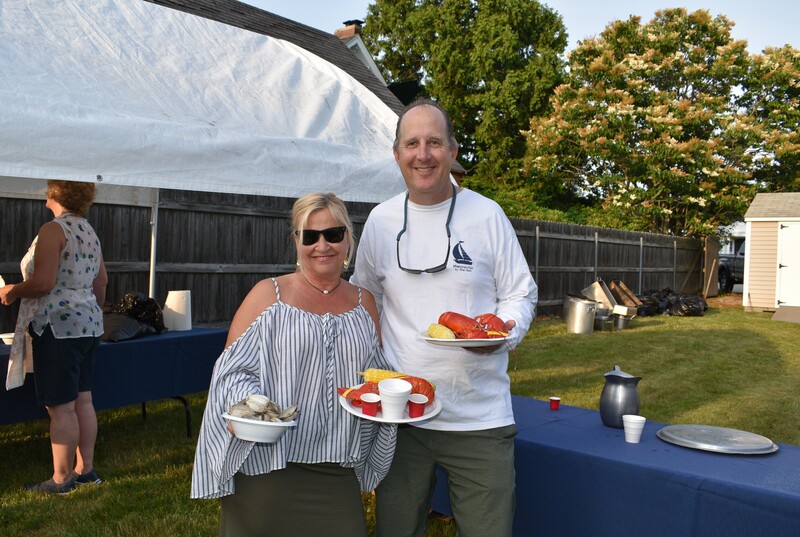 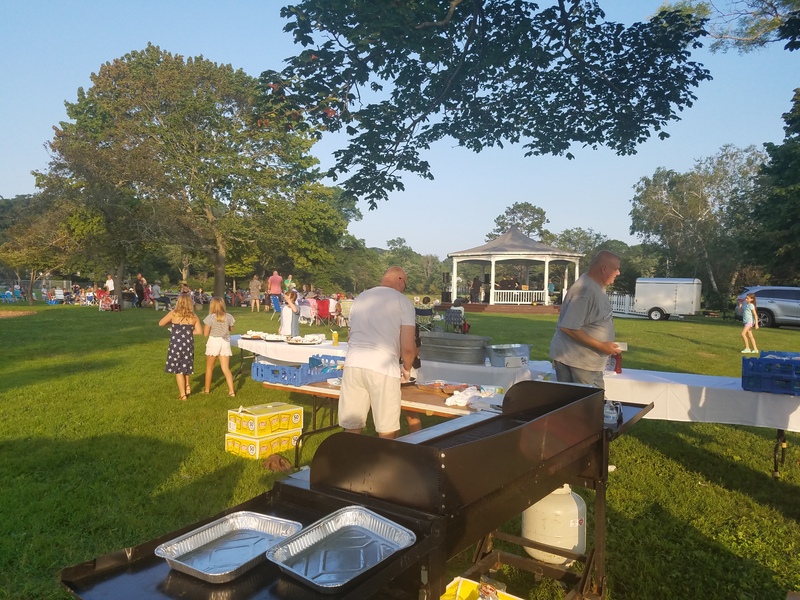 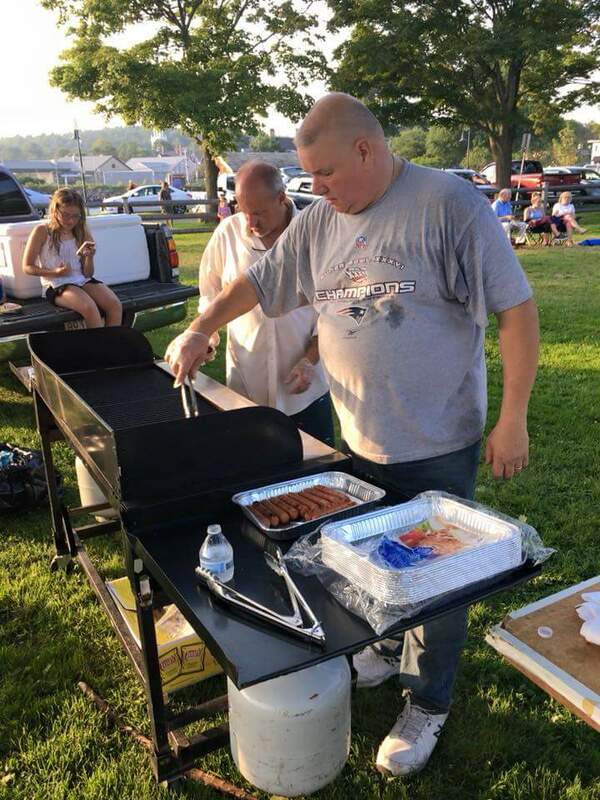 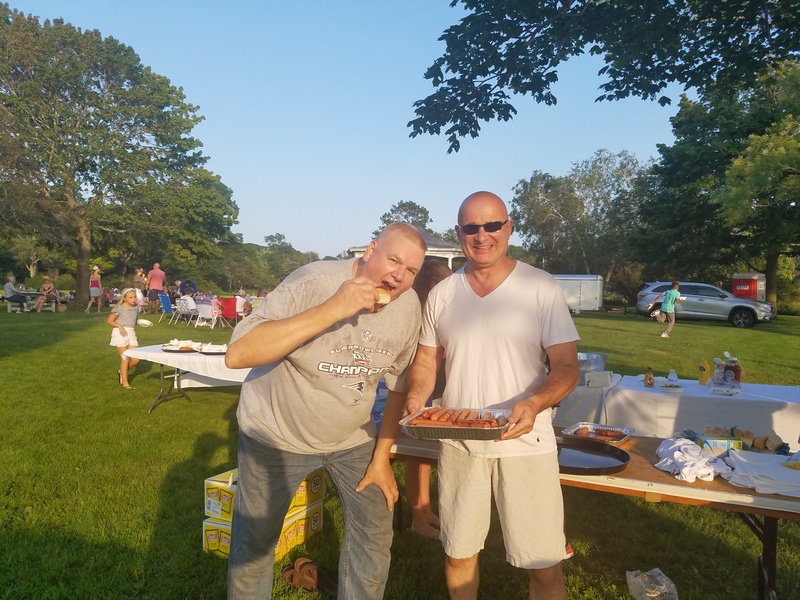 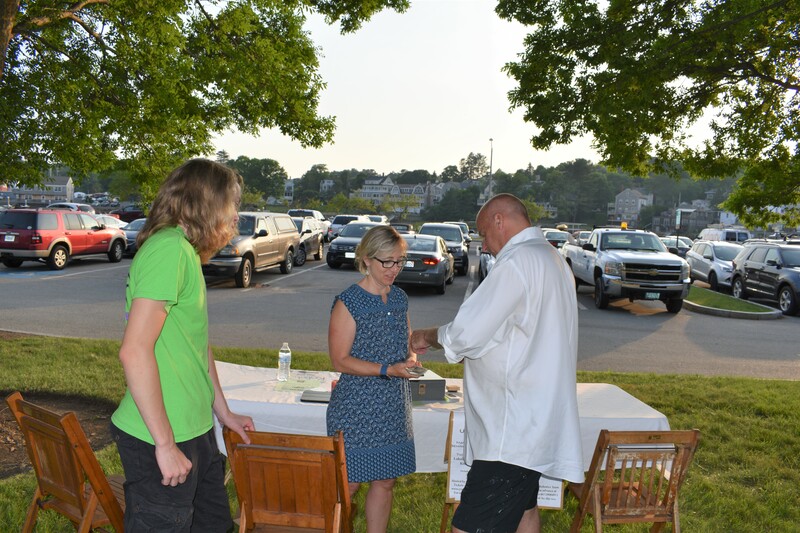 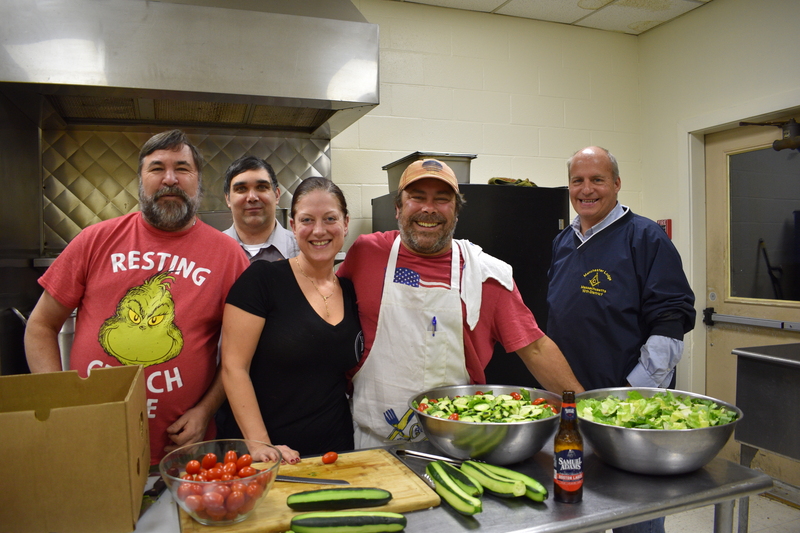 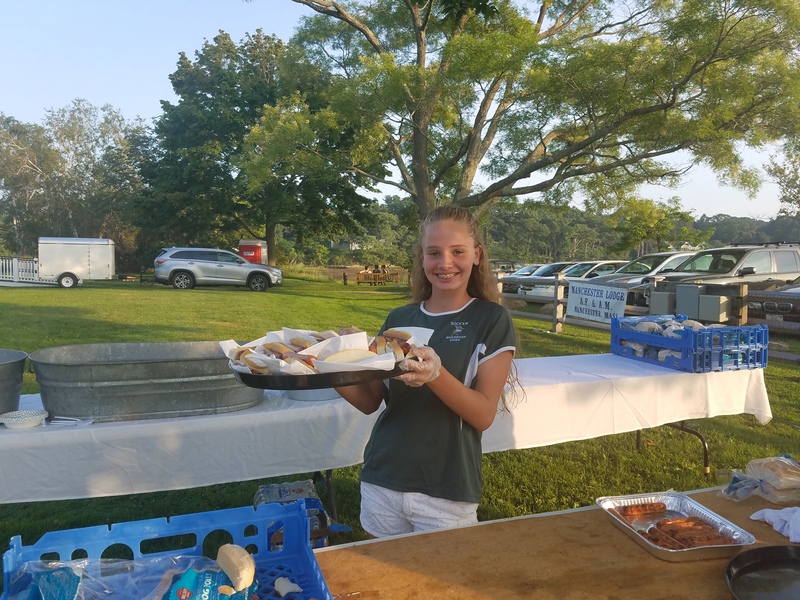 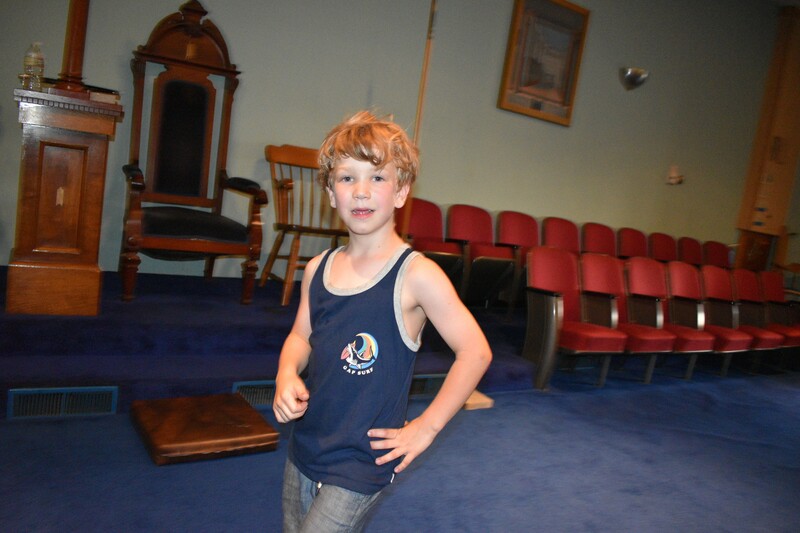 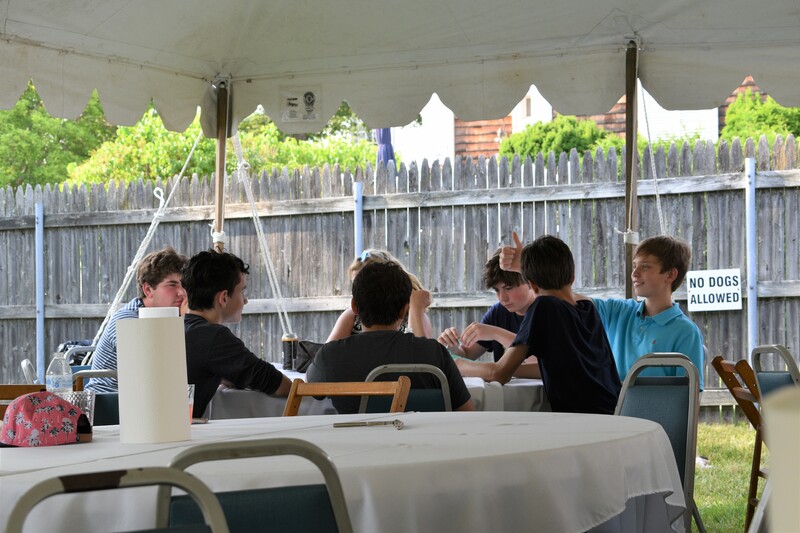 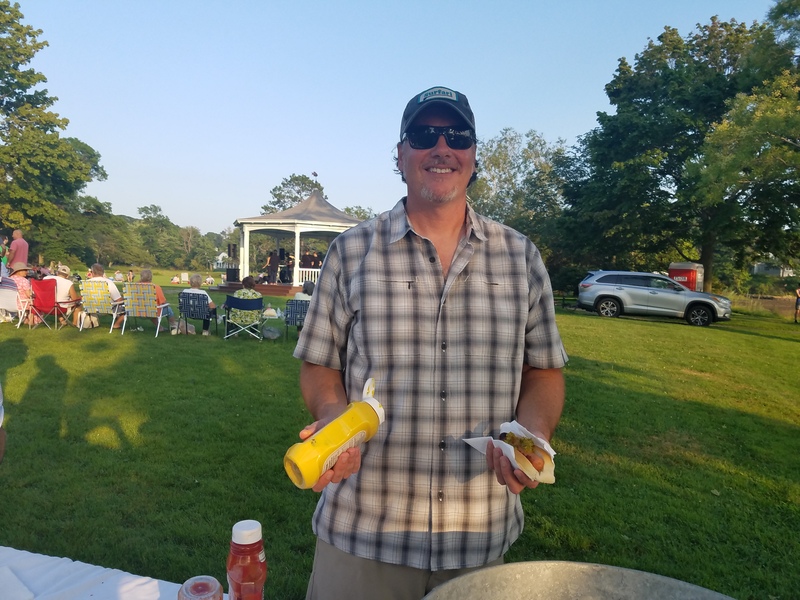 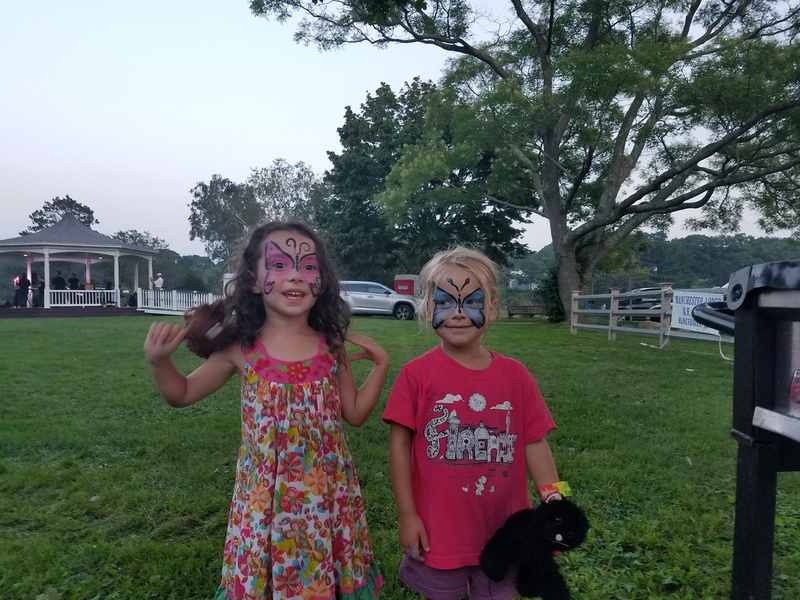 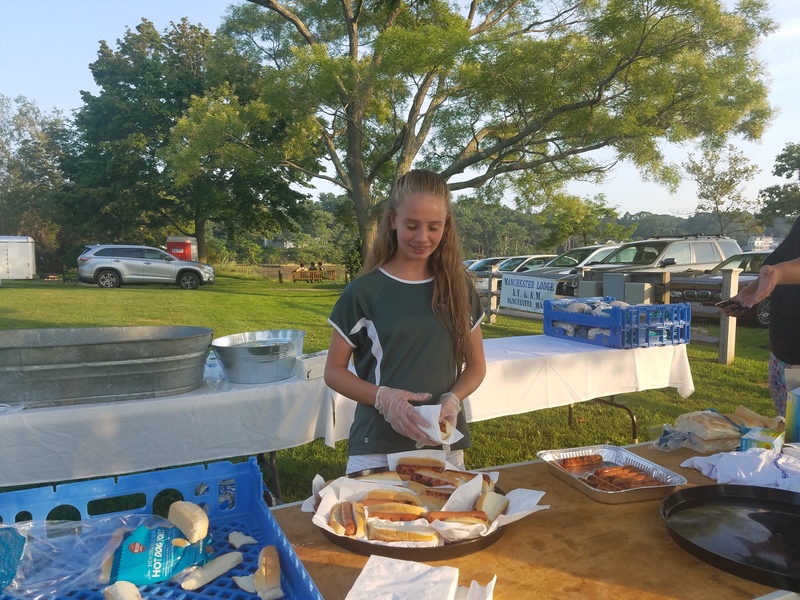 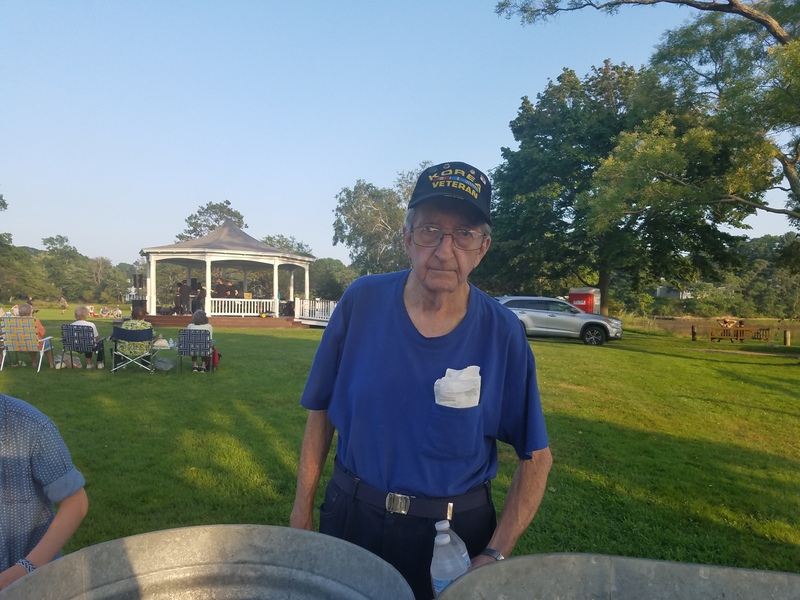 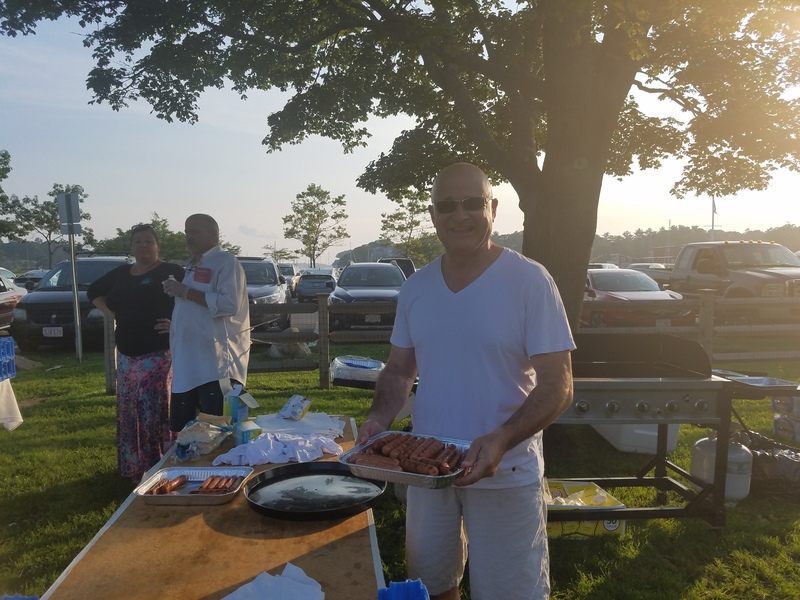 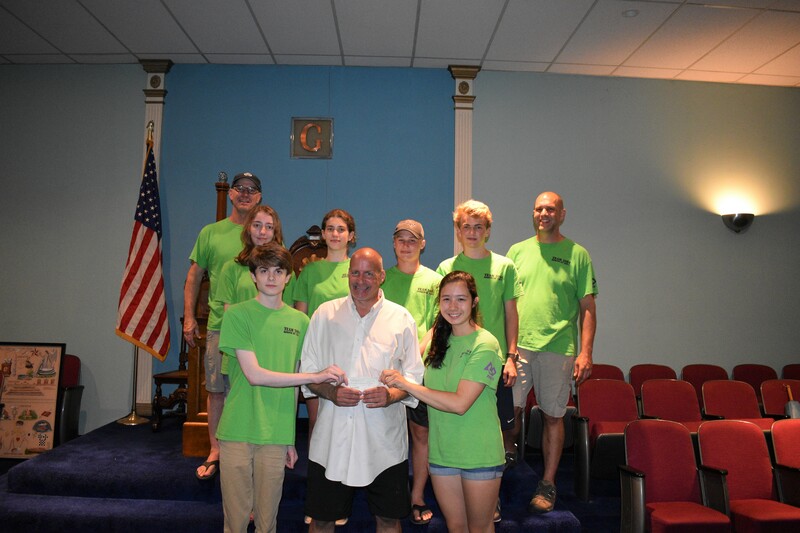 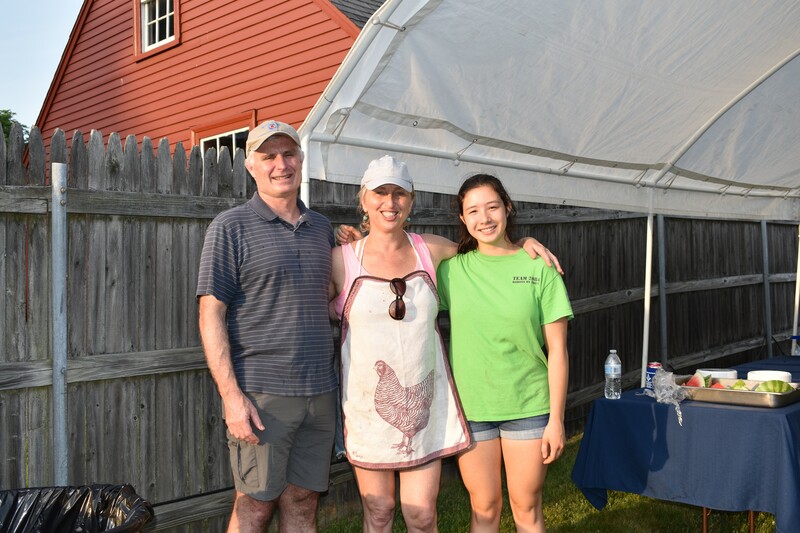 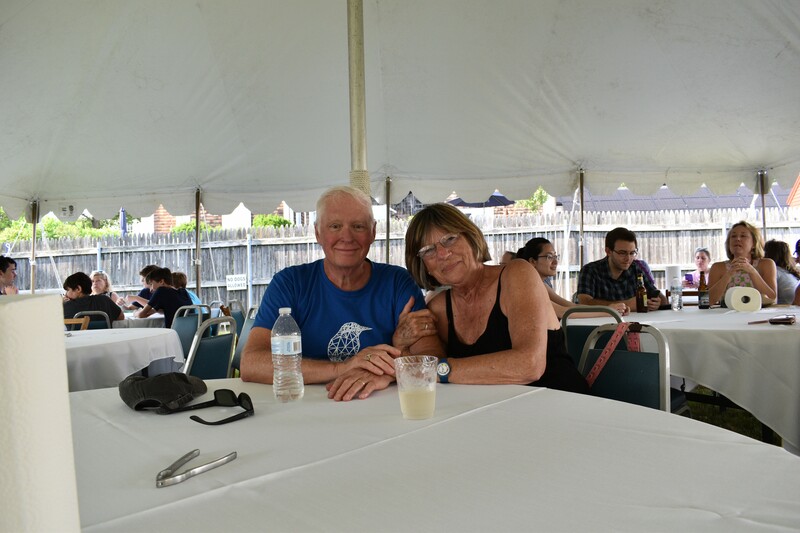 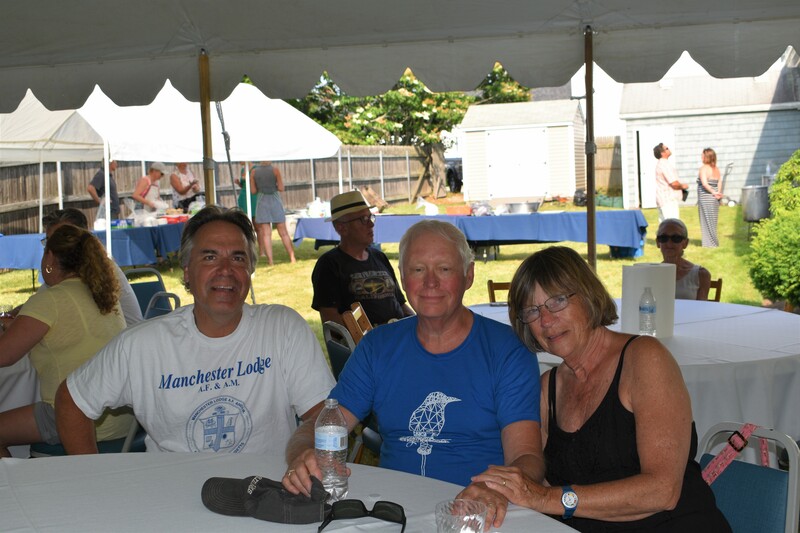 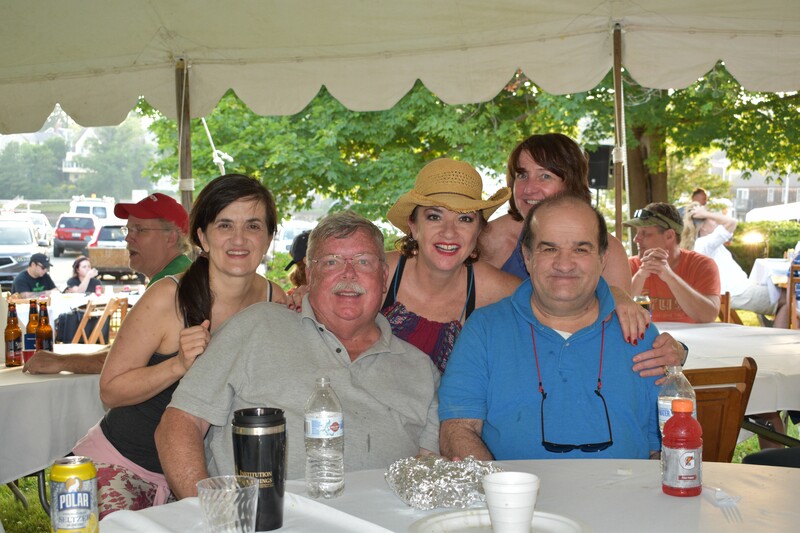 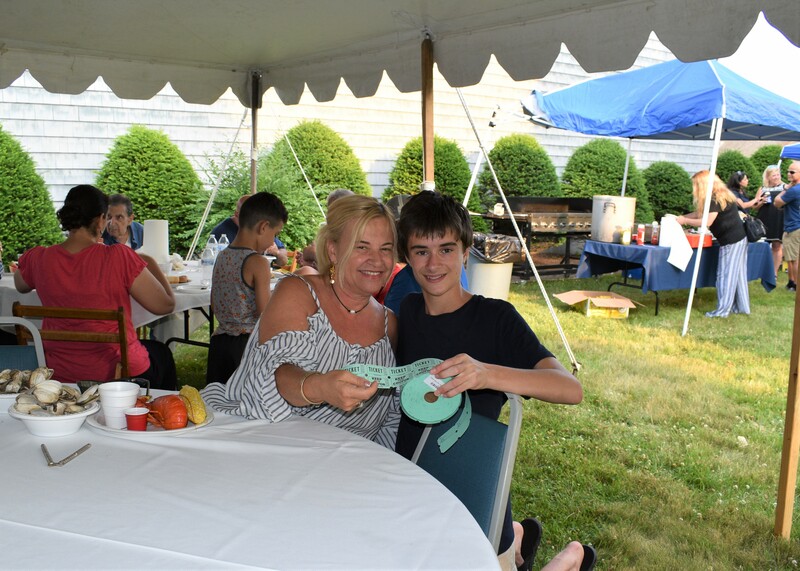 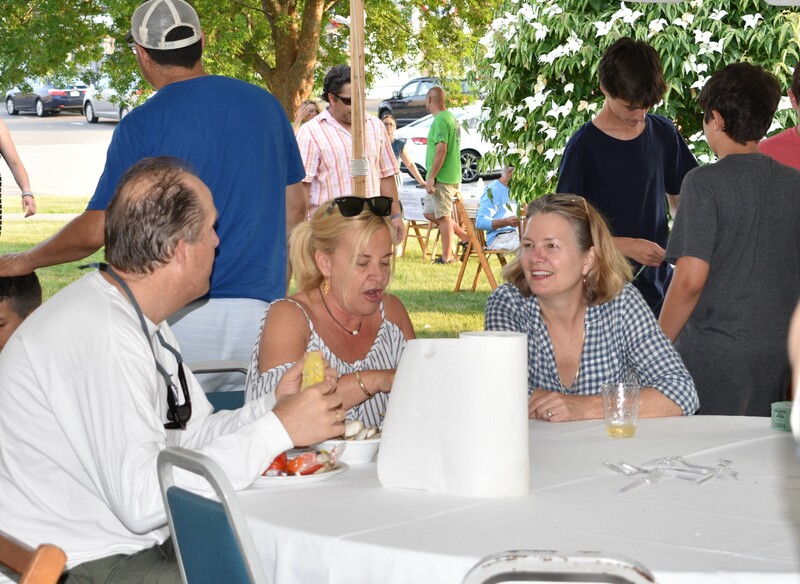 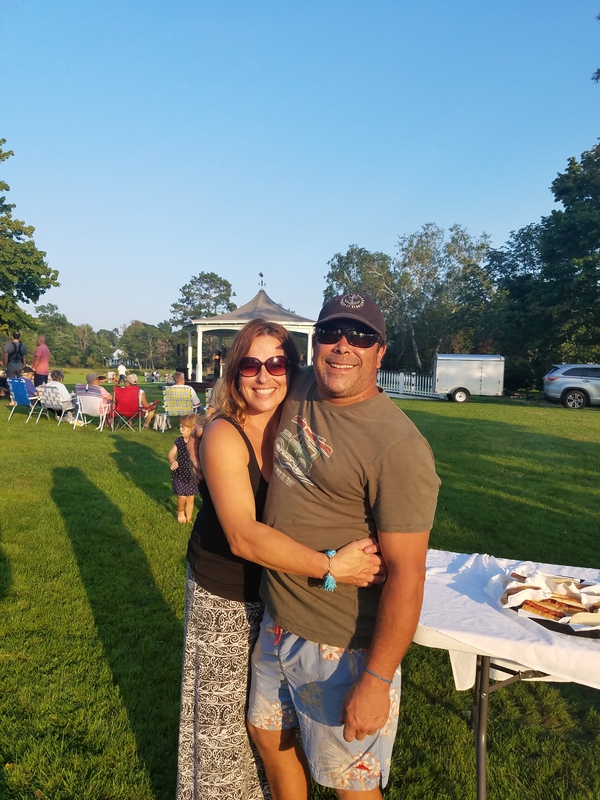 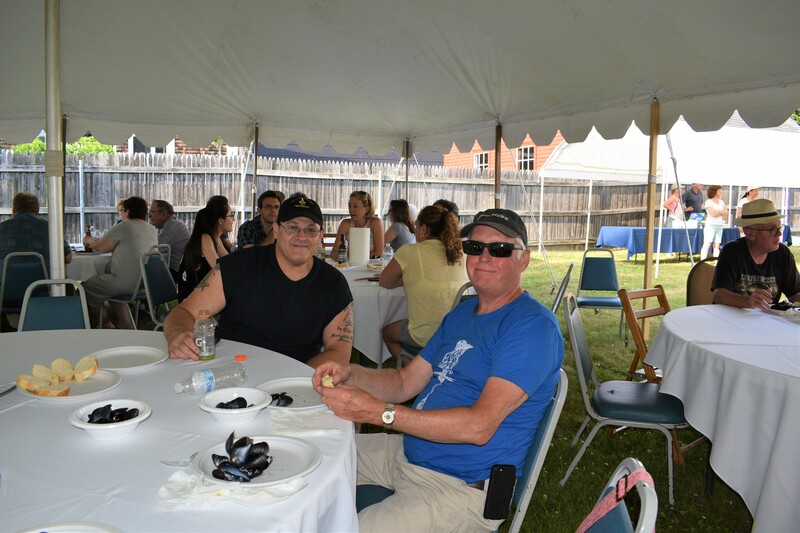 The Manchester Masonic Lodge, a major supporter of The Manchester-Essex Robotics Team “Team 2084”, invited the team, their families and the Manchester Essex community to a Lobster and Clambake on July 2nd. 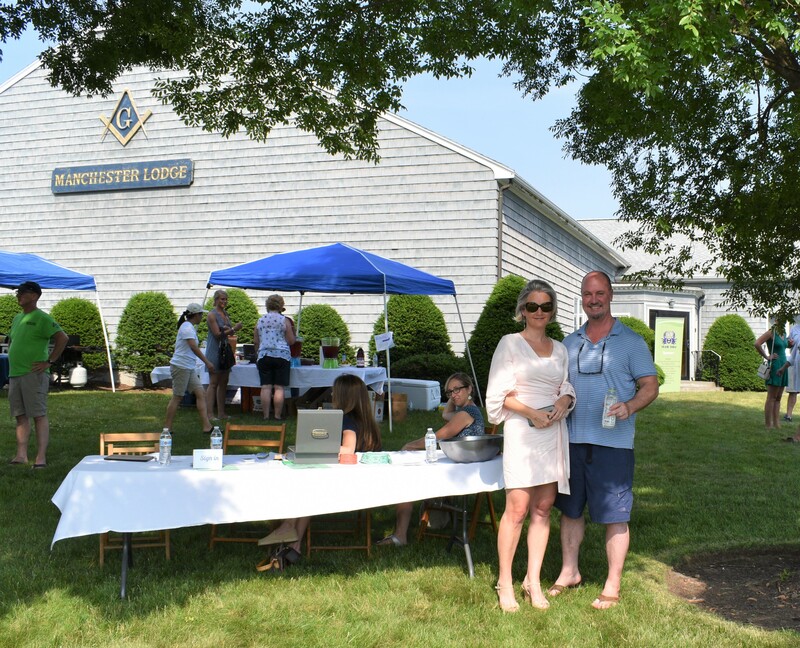 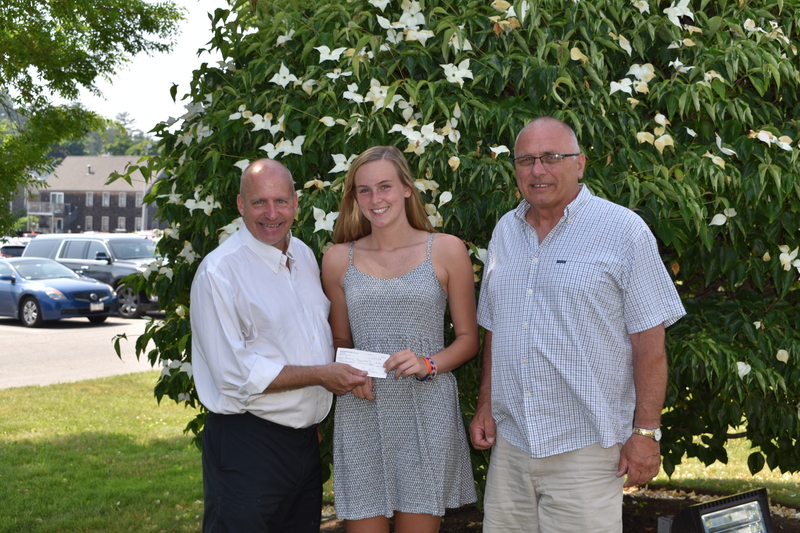 The Masons sponsored the event held at the Manchester Lodge on 10 Church Street and donated net proceeds to the team. 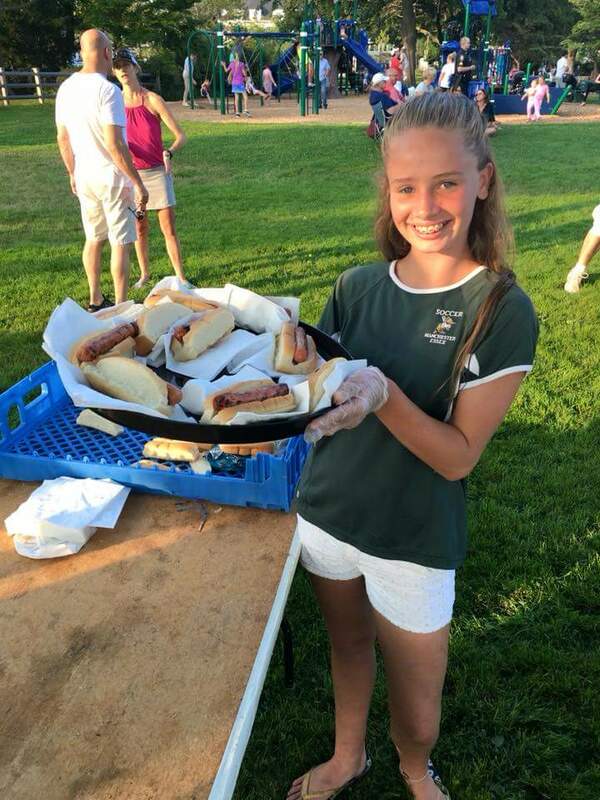 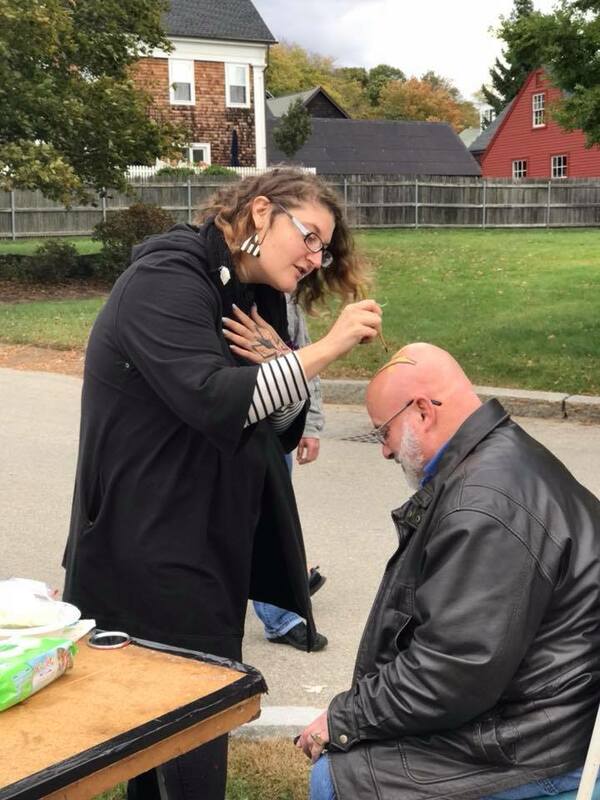 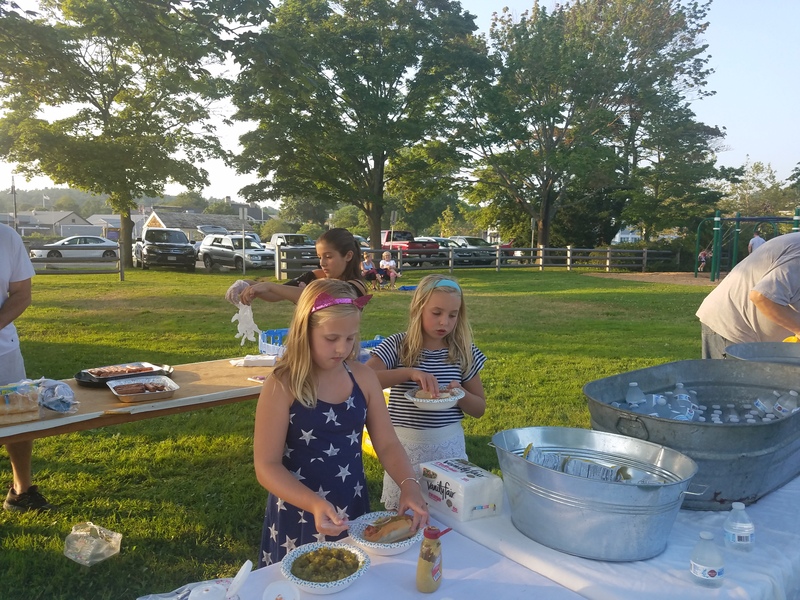 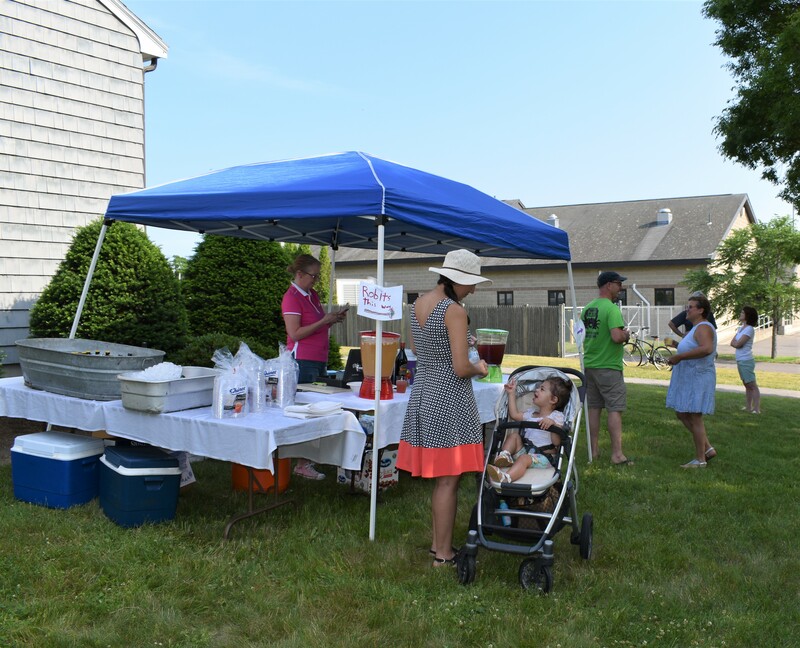 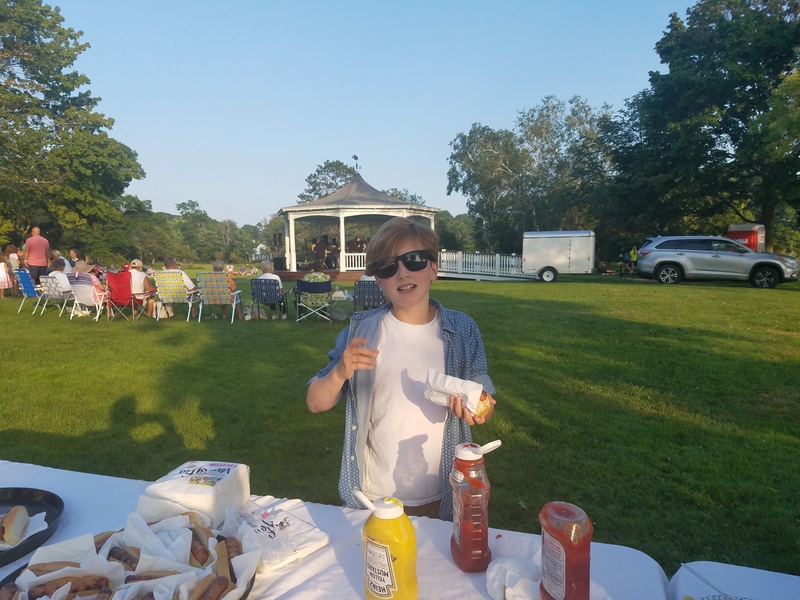 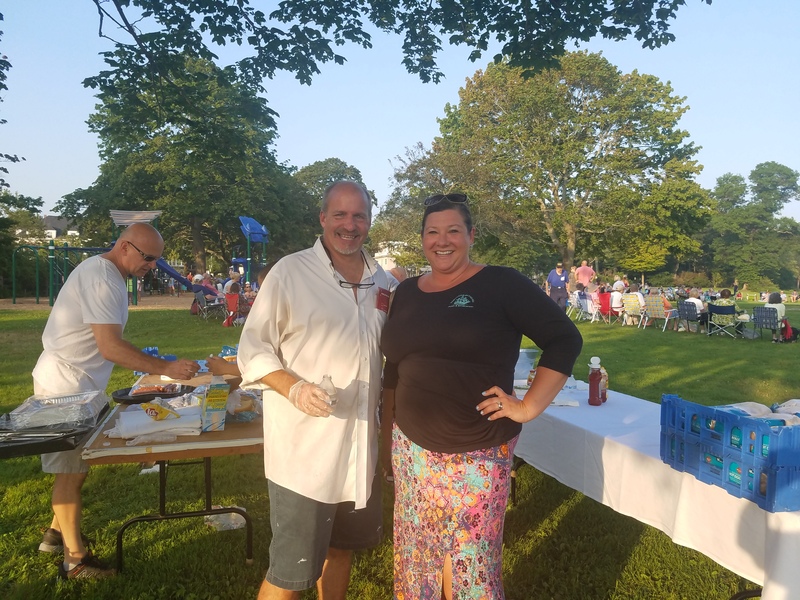 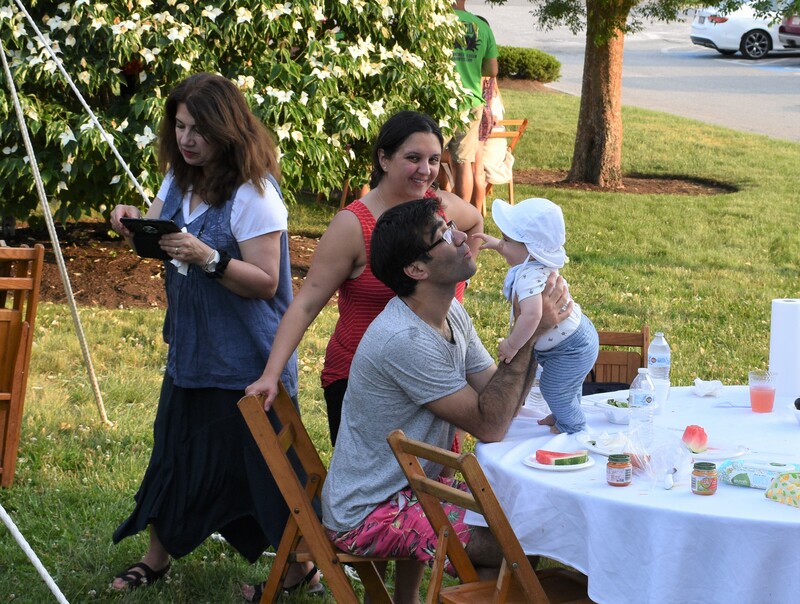 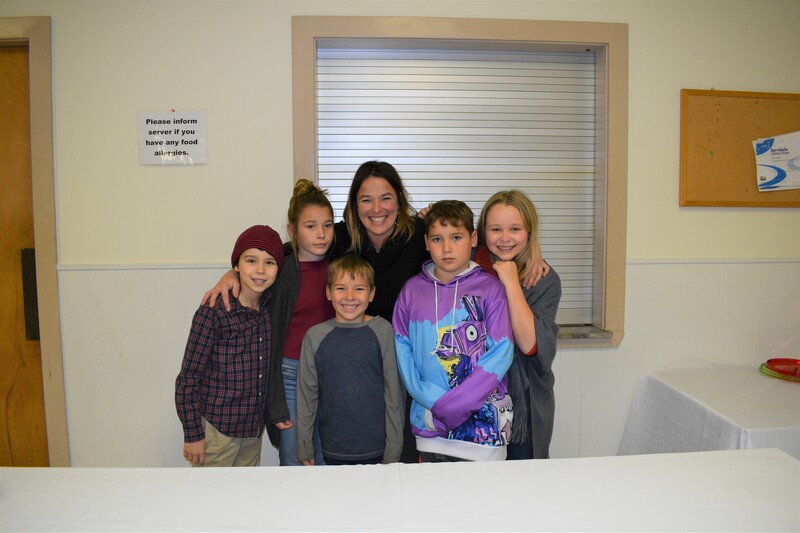 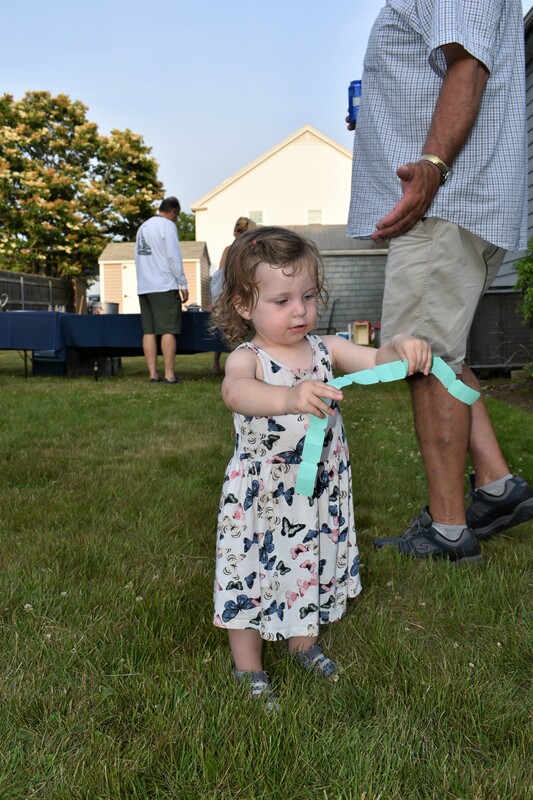 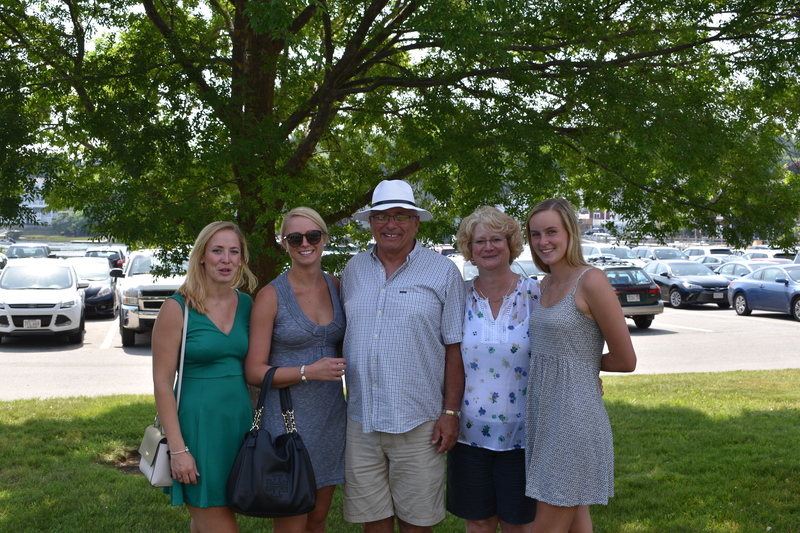 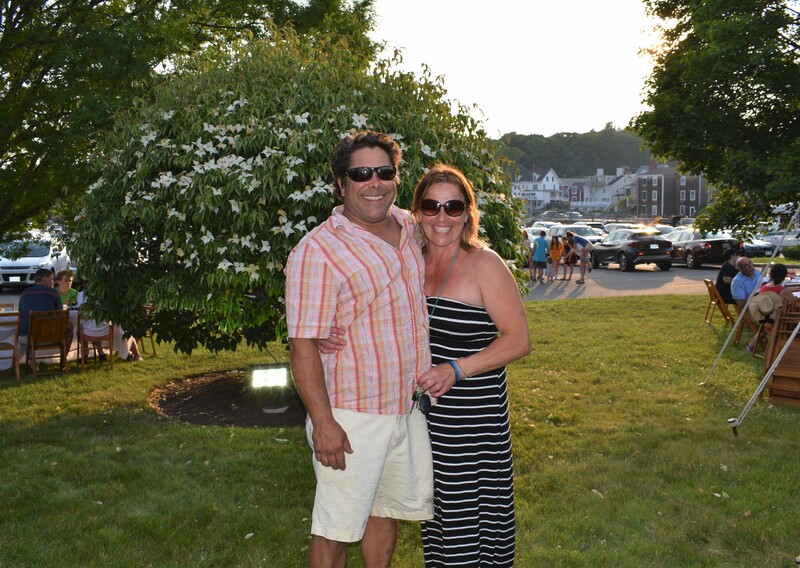 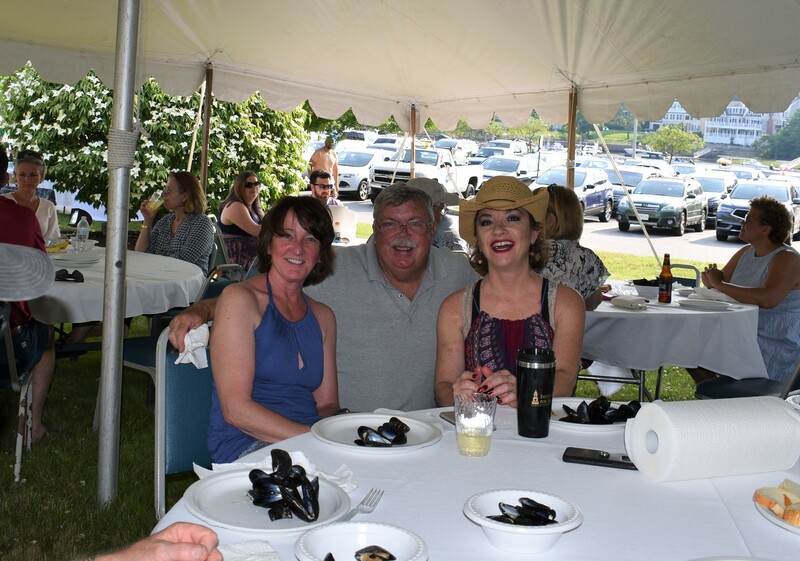 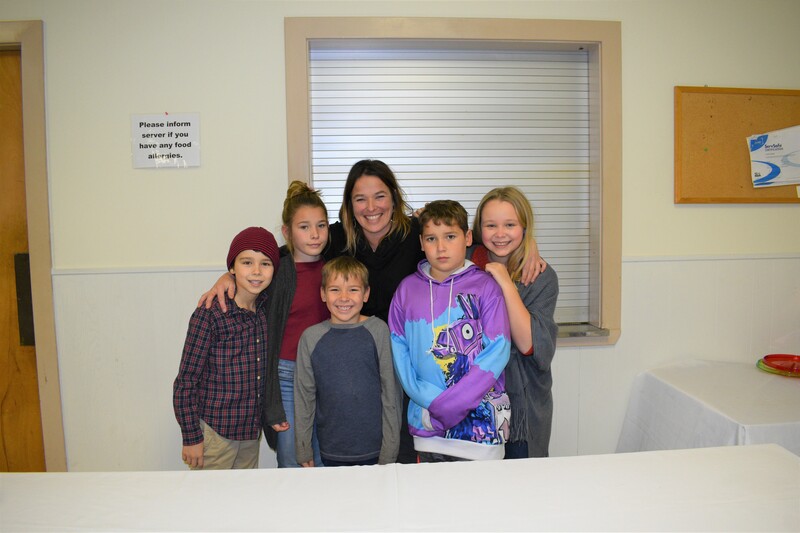 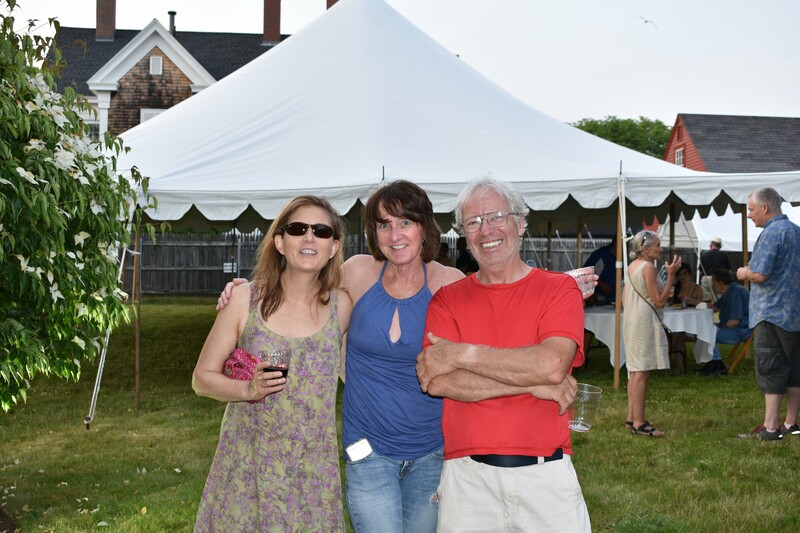 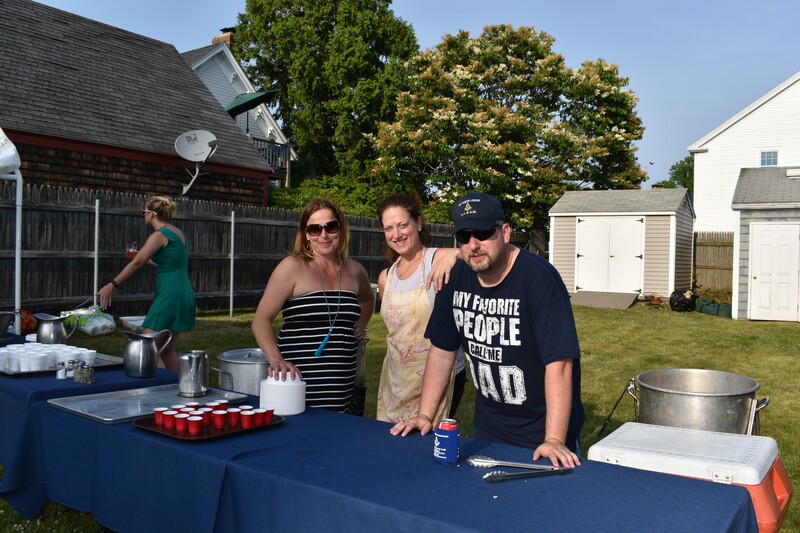 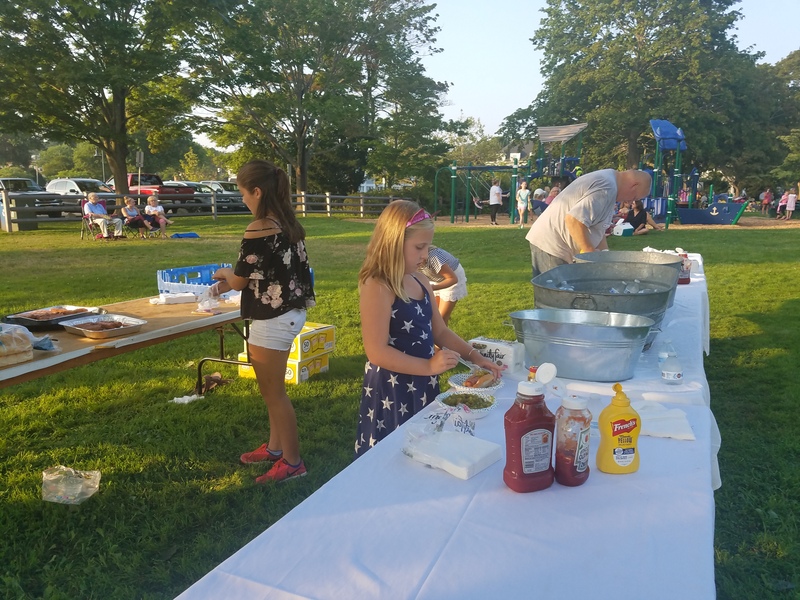 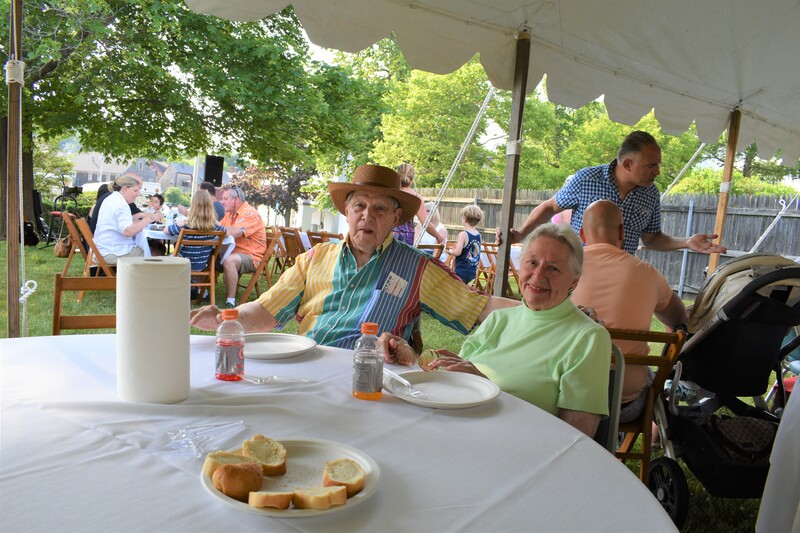 The 2017 event included a choice of lobster, chicken or steak, served with steamers, corn on the cob, salad and dessert and a children’s menu with a choice of hamburgers and hot dogs. 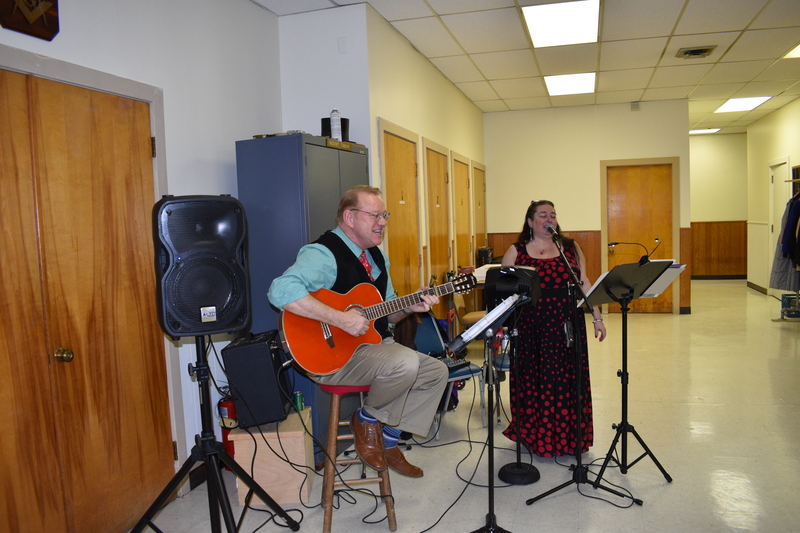 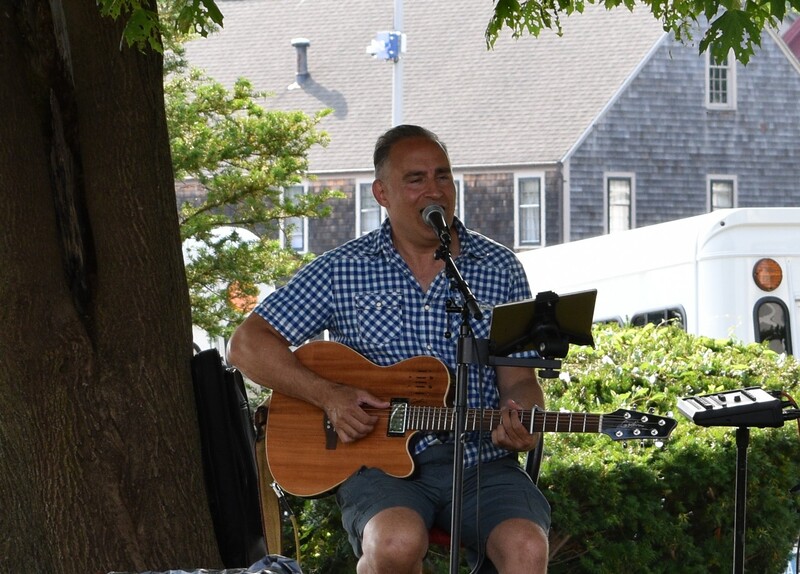 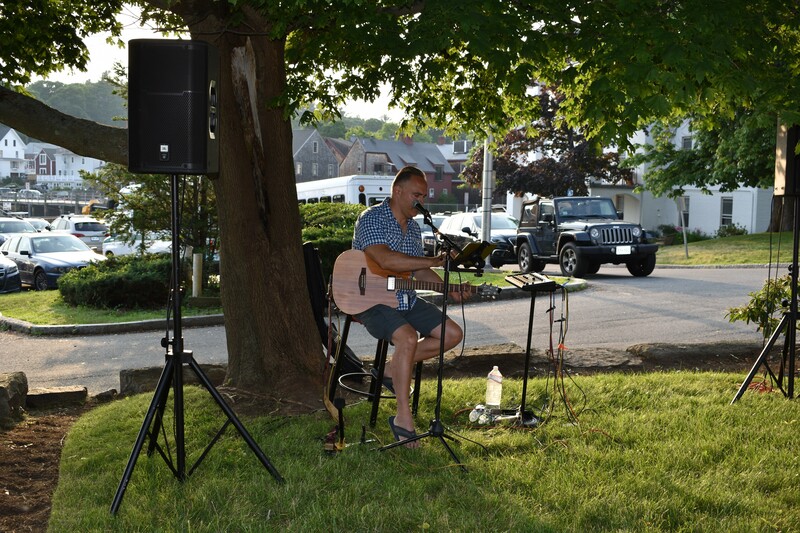 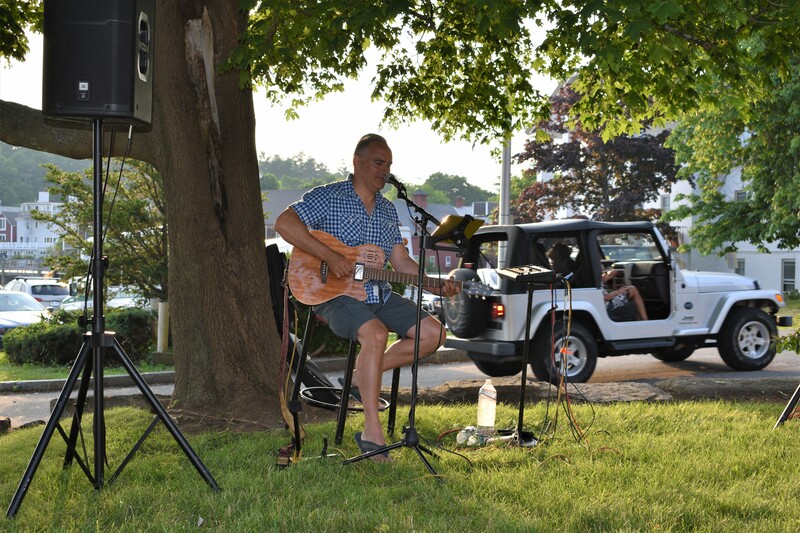 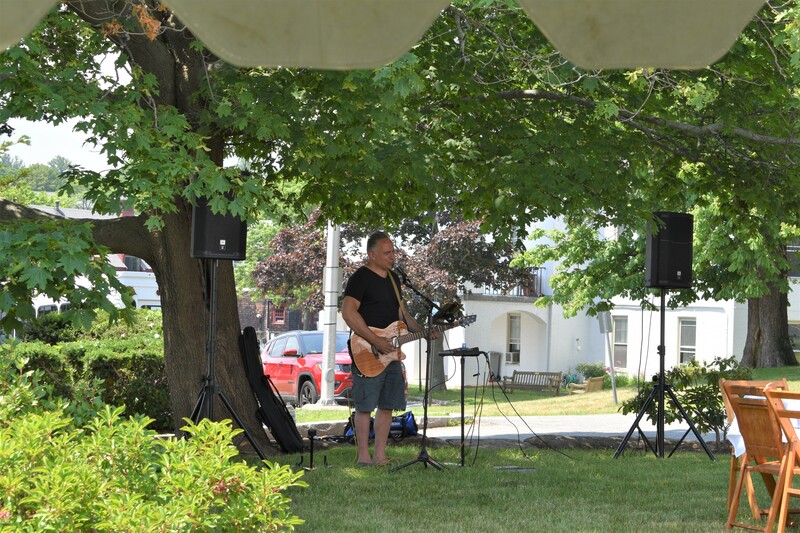 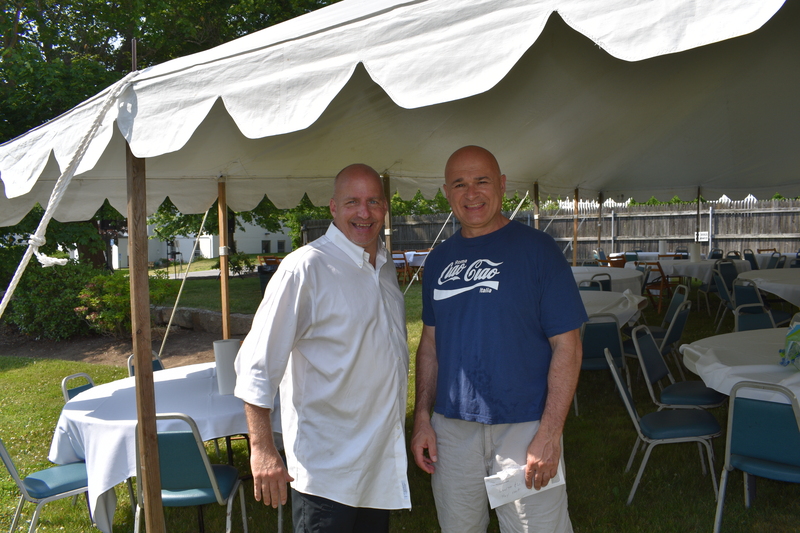 In addition, entertainment was provided by Brian Alex, singer/songwriter and guitarist of Entrain. 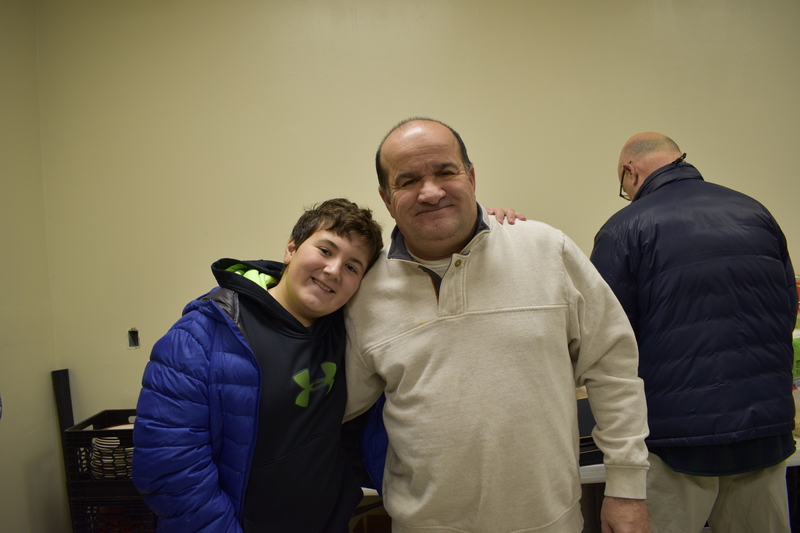 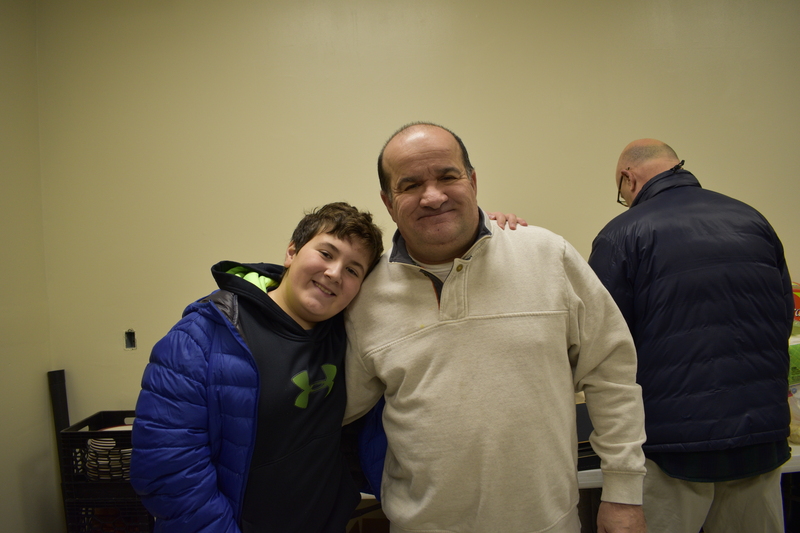 On Saturday, December 10, the Mount Tabor and Manchester Masons teamed up to host a community blood drive at the Manchester Lodge. 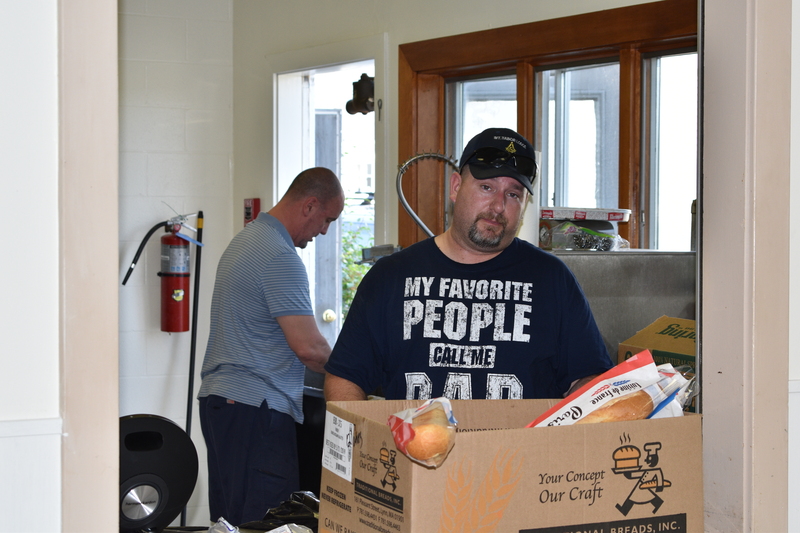 As an added bonus, they served up a tremendous breakfast to those that dropped by to donate or provide assistance to this important cause. 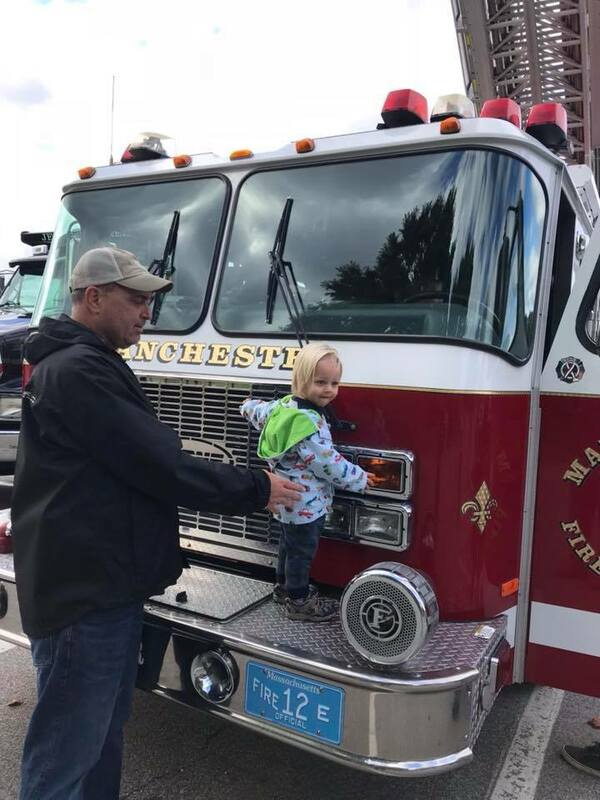 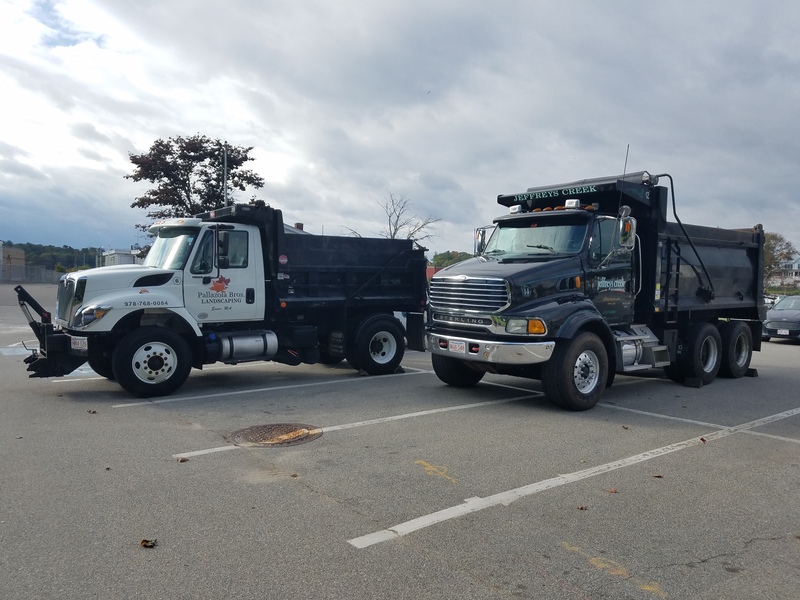 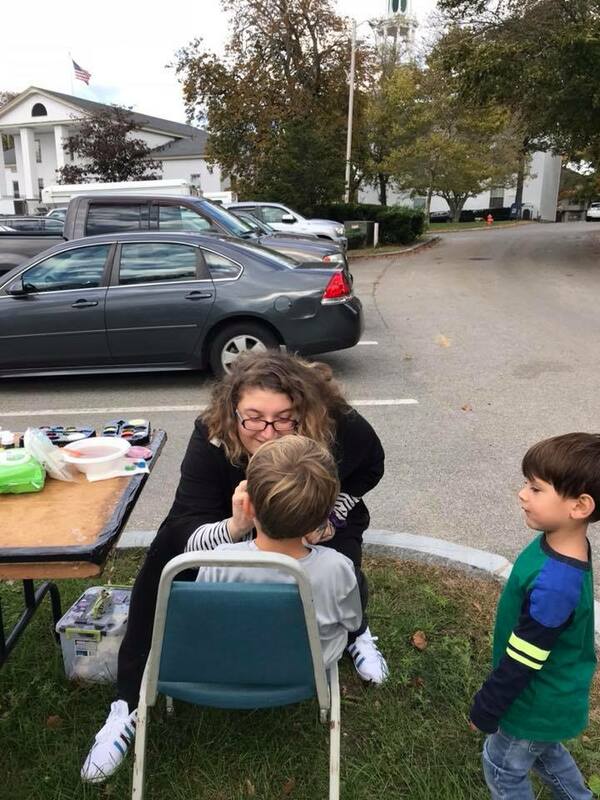 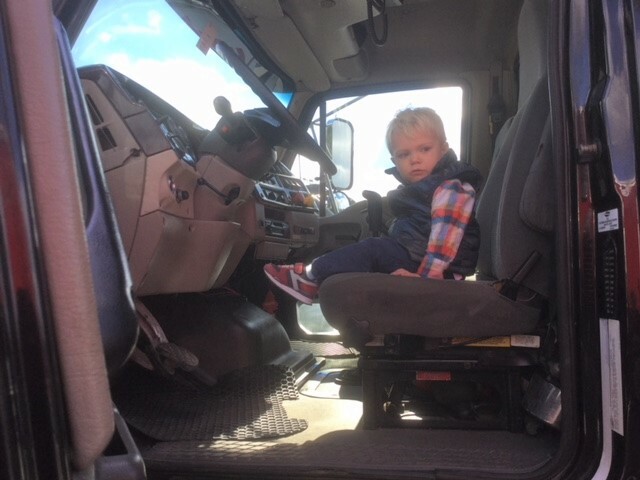 The Manchester Touch a Truck is going strong after more than a decade! 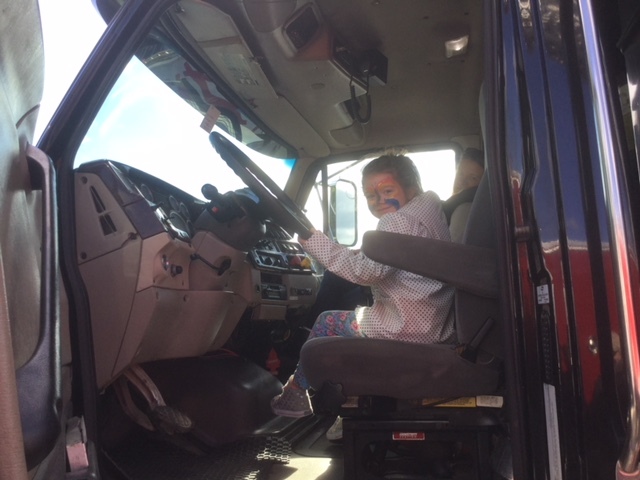 The trucks are fabulous, the crew and officers even more so as they chat with children, allow the children to get on an din the vehicles, see different emergency vehicles in a safe and calm setting (not how most children experience them) and provide a wonderful photo opportunity for parents and grandparents as well as a great community spirit! 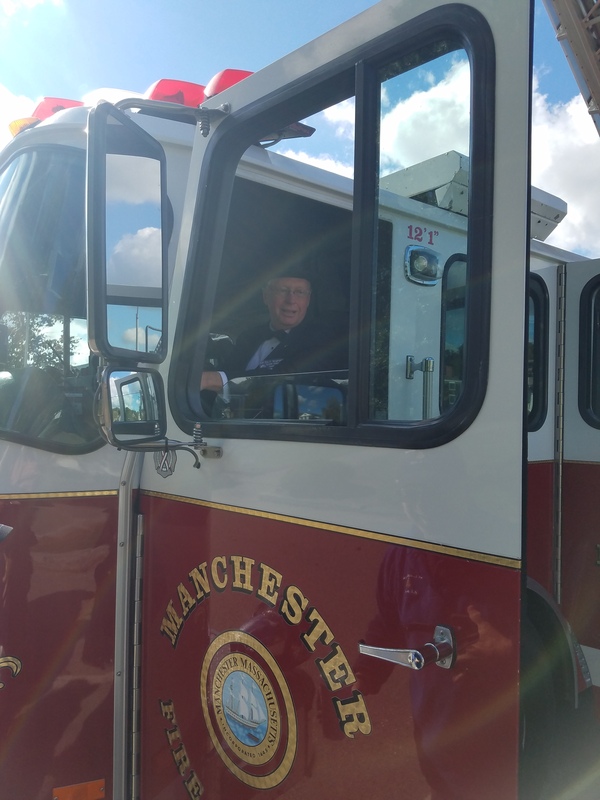 The Manchester Fire Department usually provides an ambulance, an extensive hook and ladder (which is a thrill to see the ladder go up to a third story height!) 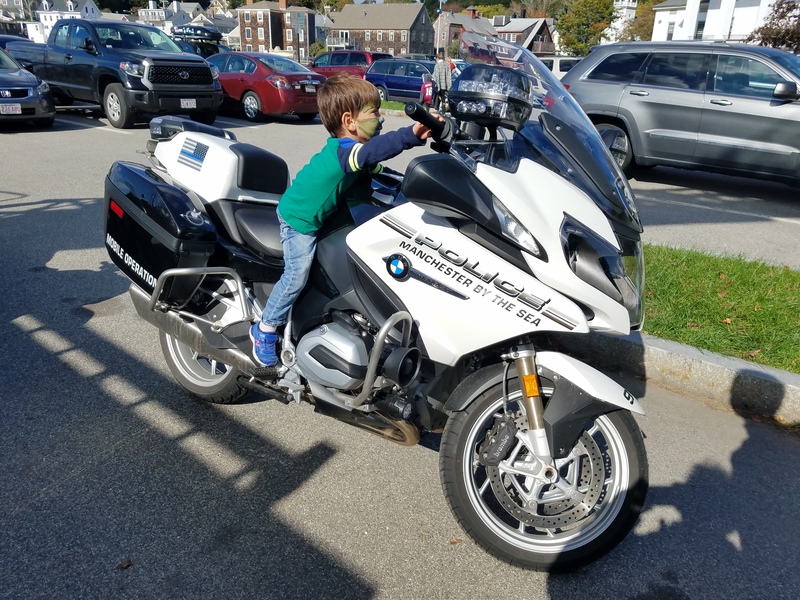 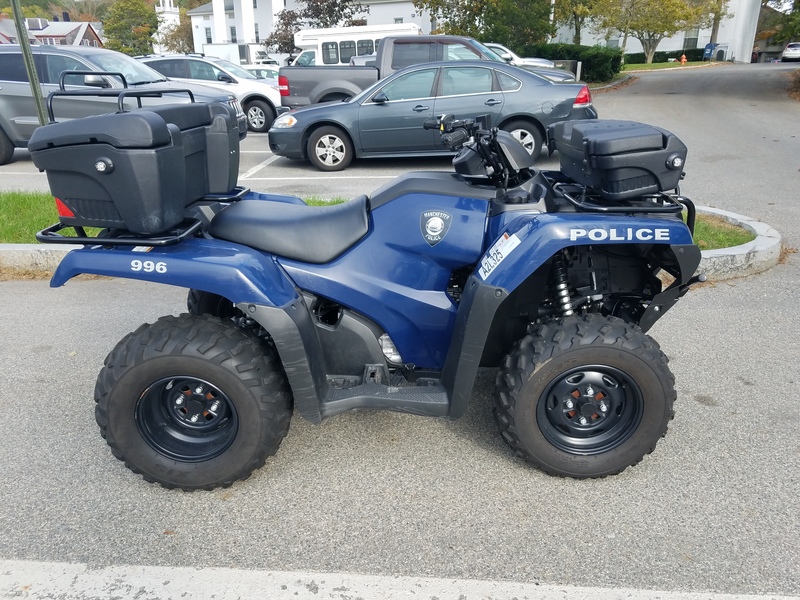 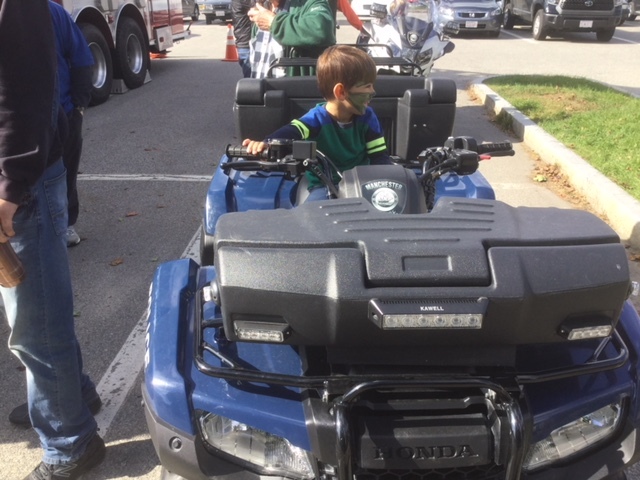 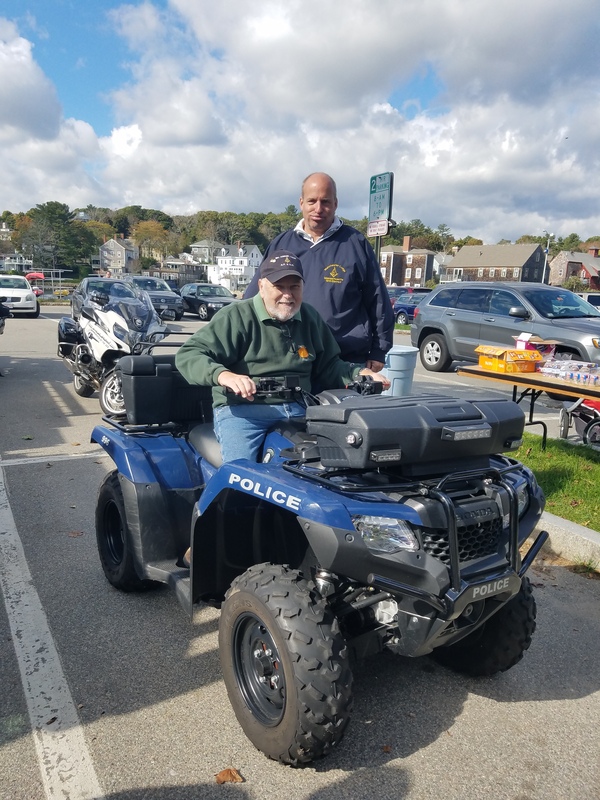 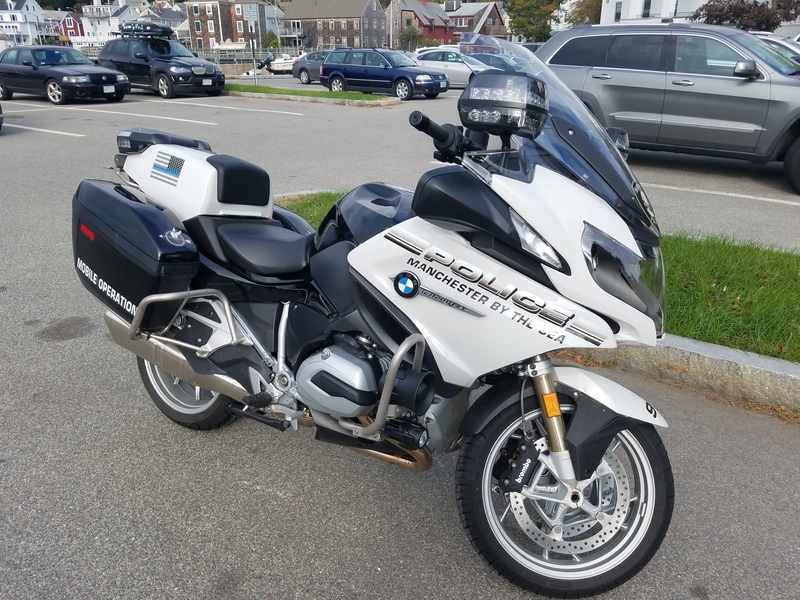 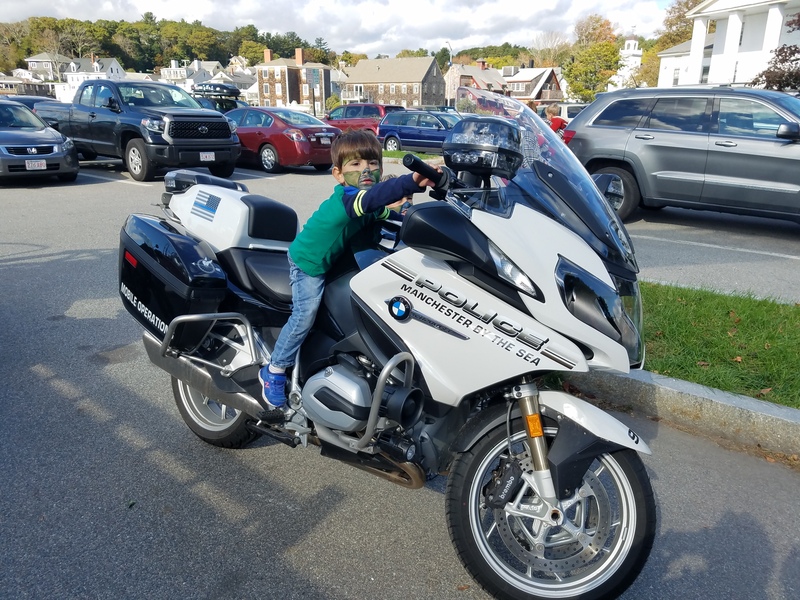 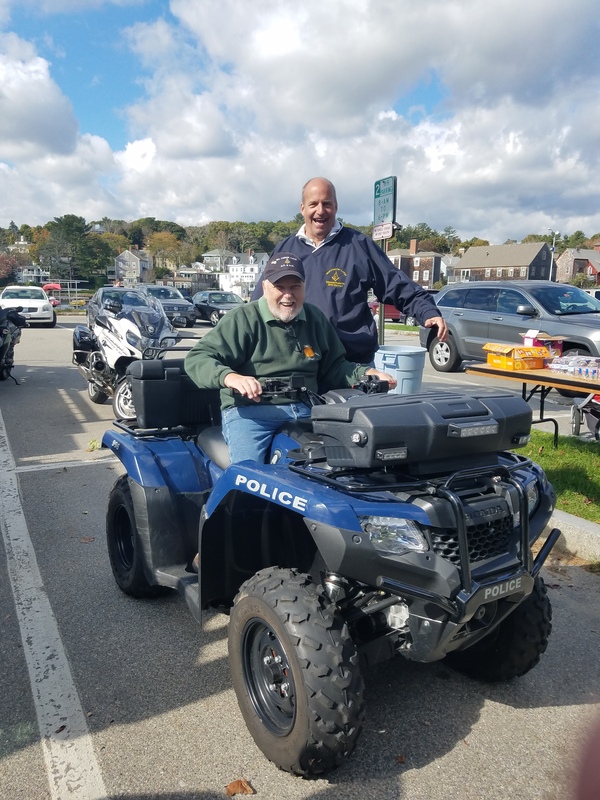 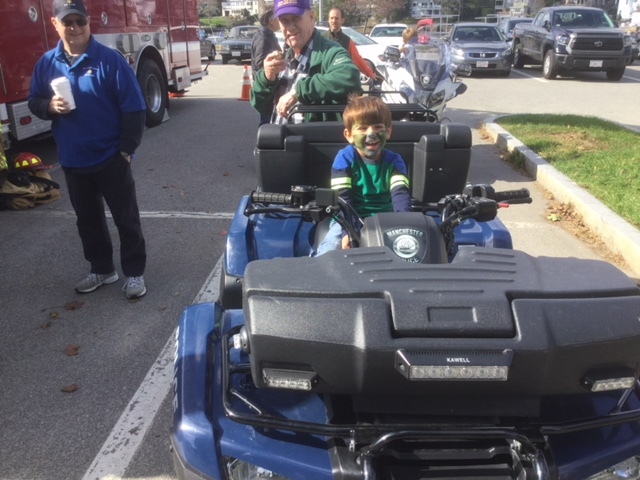 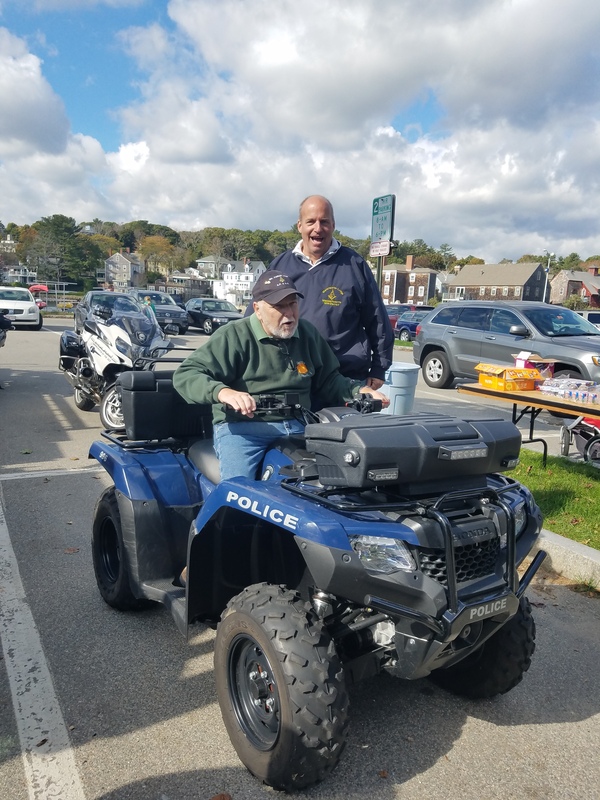 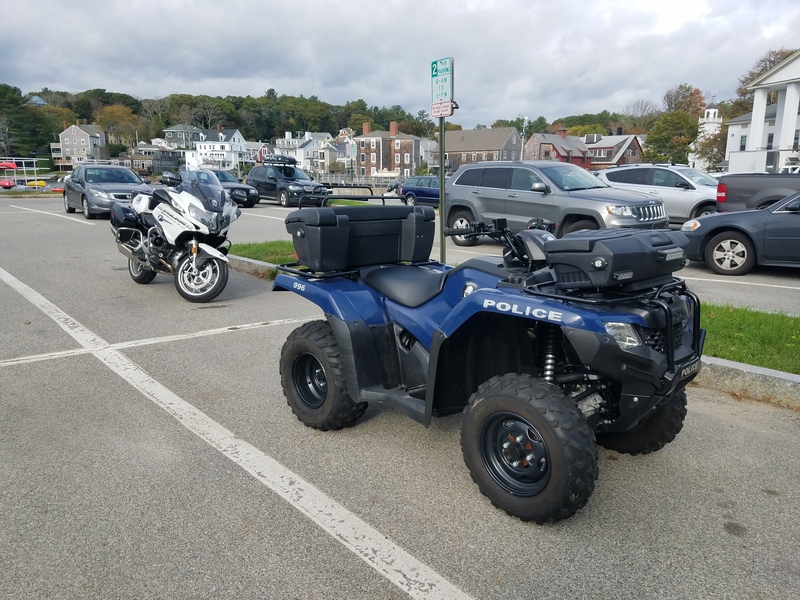 Police often provide a cruiser, an ATV beach vehicle, and a motorcycle and the DPW will be sending the sidewalk tractor, a Dump Truck and Front End Loader! 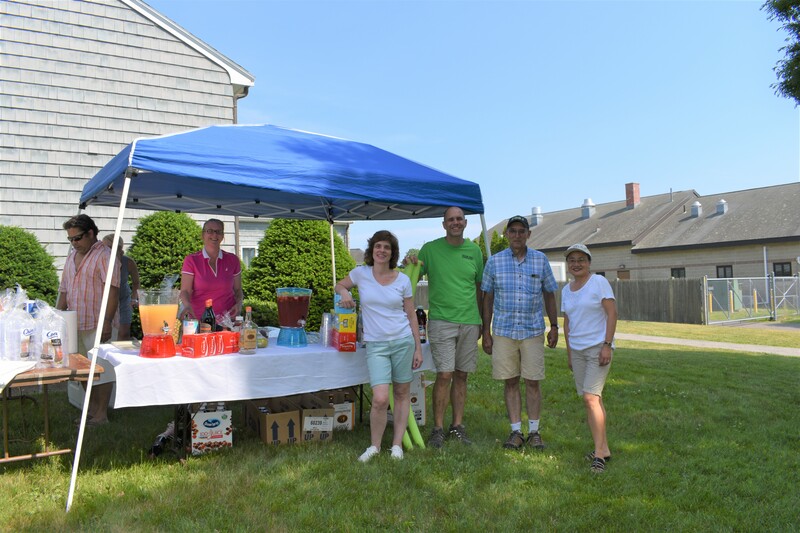 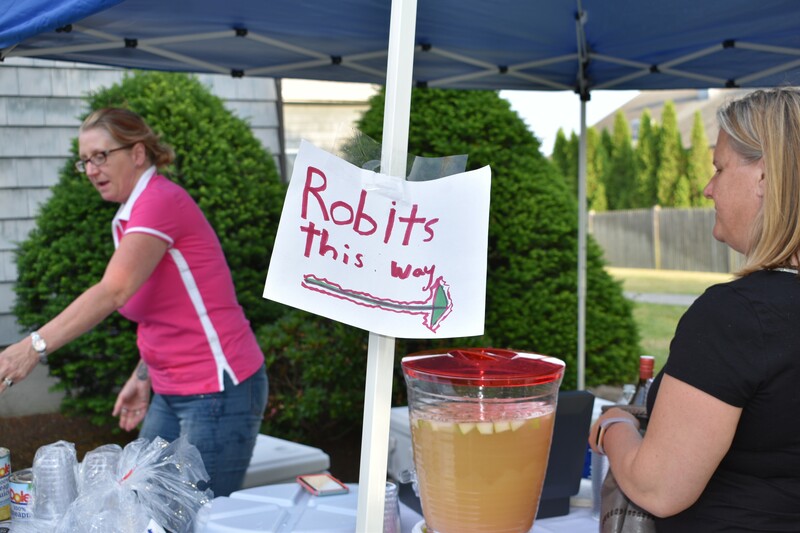 The Children’s Room provides the lemonade and cookies, as well as Volunteens who work the free refreshment table. 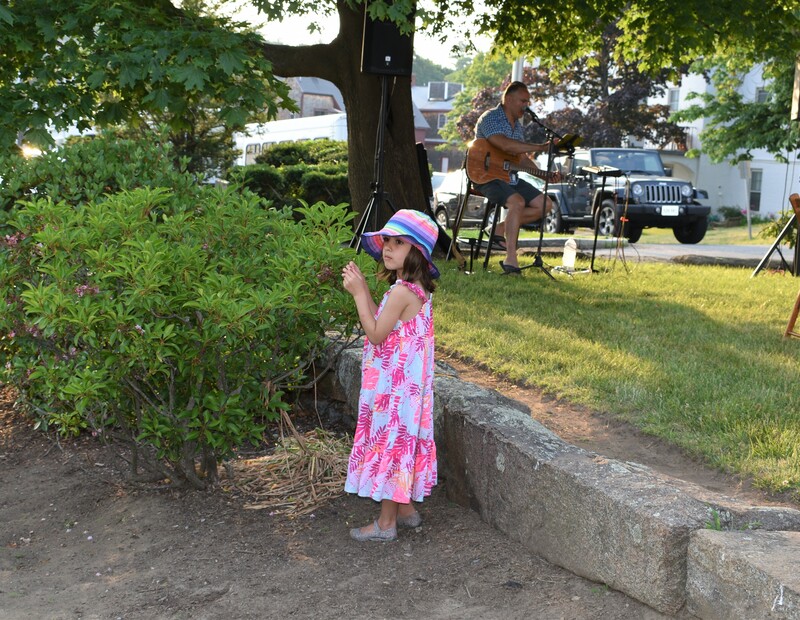 This event kicks off our summer of great fun and ties in beautifully with the Summer Reading Theme: Dig into Reading!